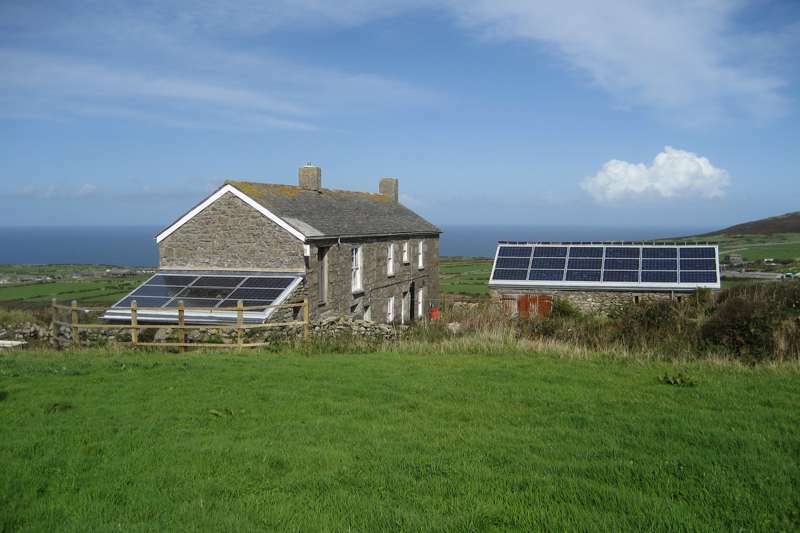 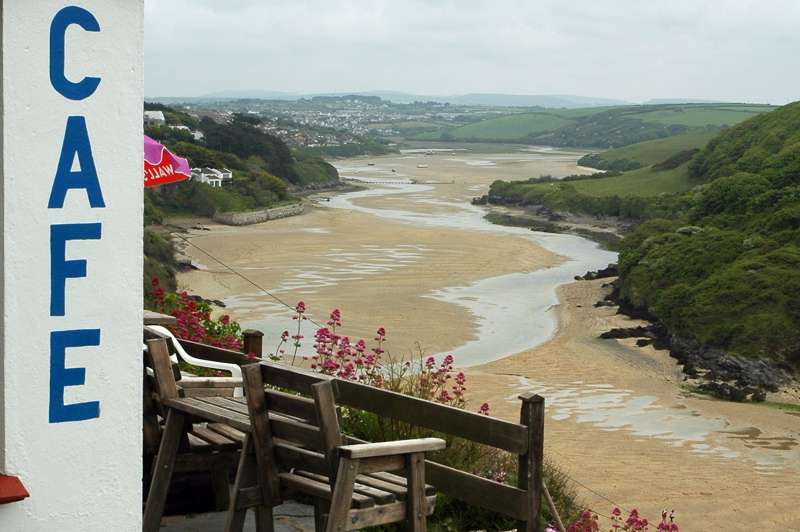 Forget the stereotypical bucket-and-spade image of yesteryear’s Cornwall. 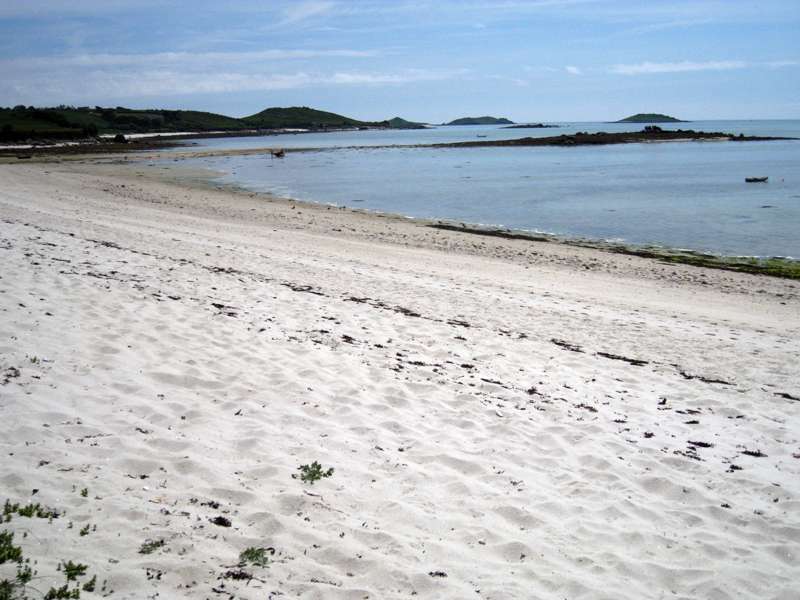 Yes, the pearly beaches still beckon barefoot, spade-bearing families, especially when the sun doth shine. 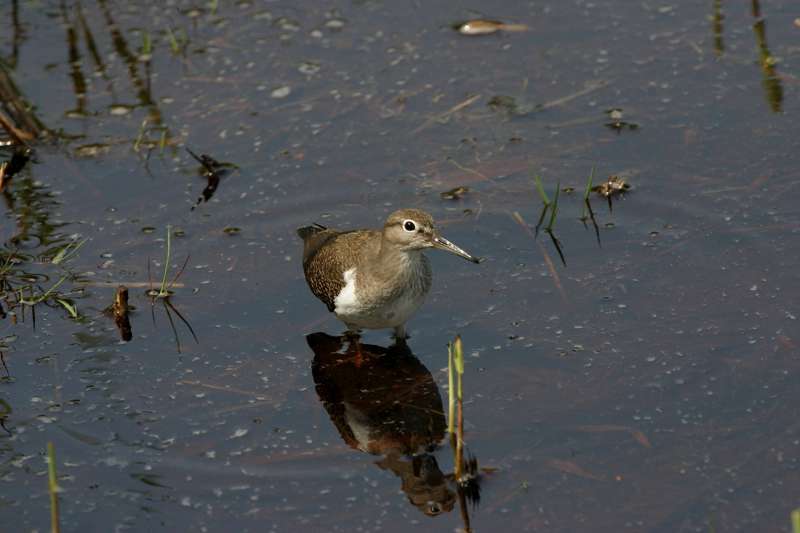 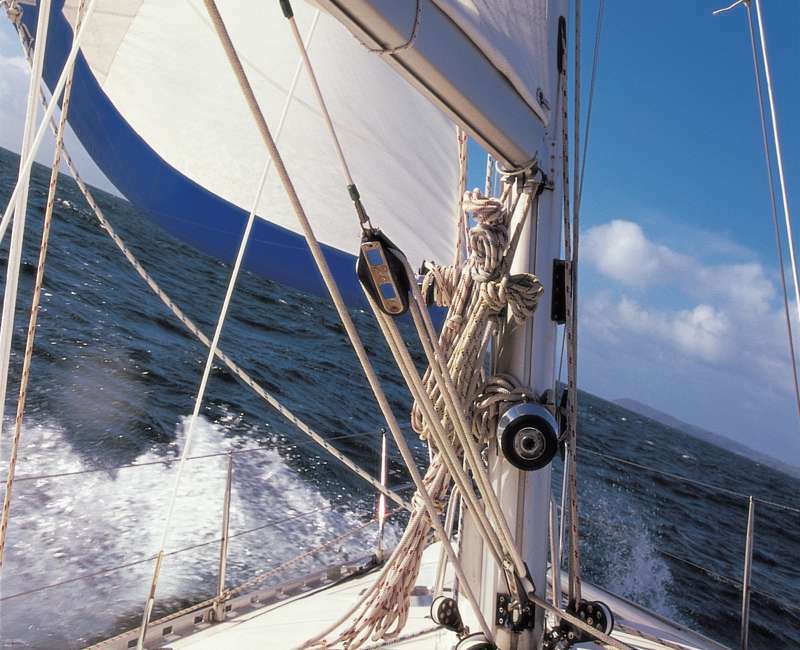 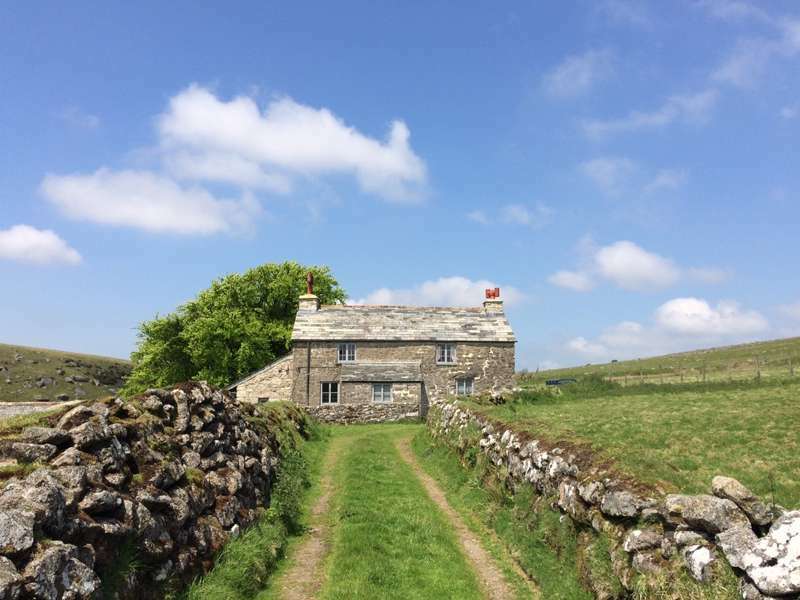 Yet beyond the Caribbean-white sands lies the crashing surf, rugged cliffs, rolling moors and some of the most remote and beguiling landscapes the county has to offer. 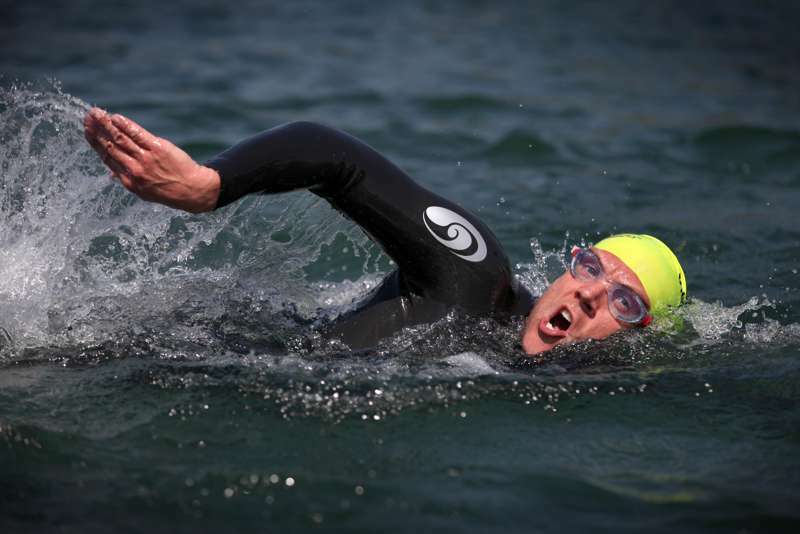 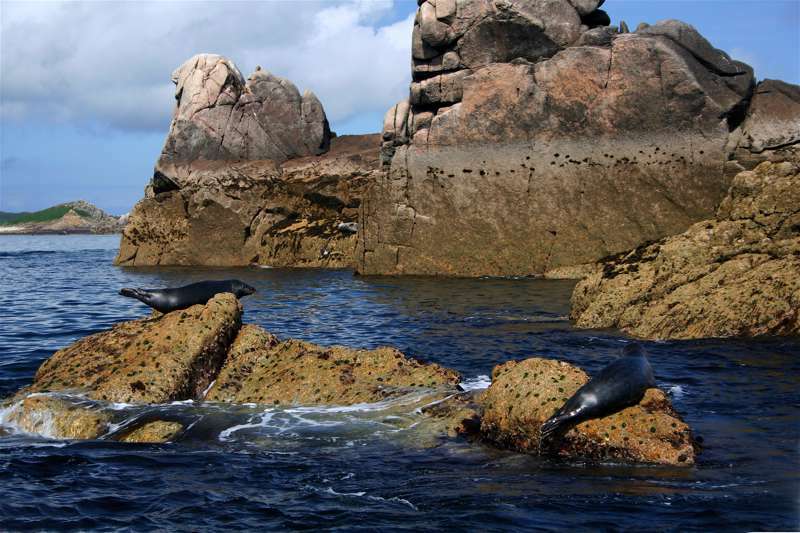 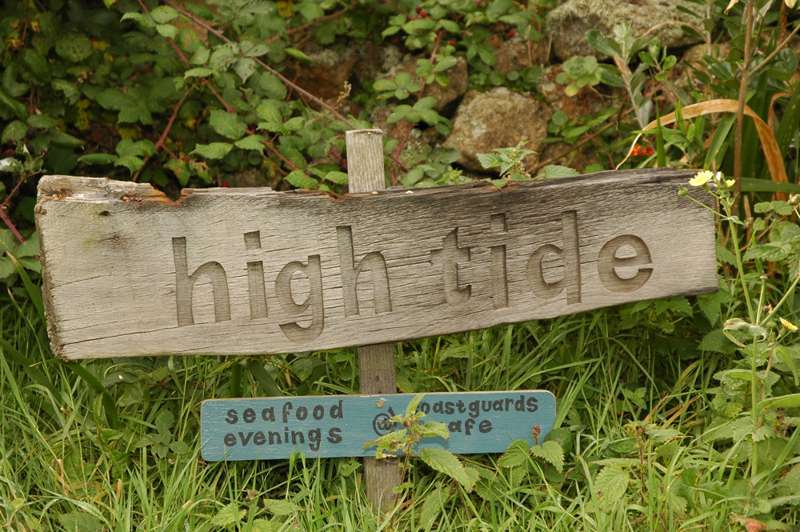 Squeeze into a wetsuit and battle the waves, don walking boots and trace the rise and fall of the South West Coast Path, or climb awesome granite stacks that jut into the full force of the Atlantic. 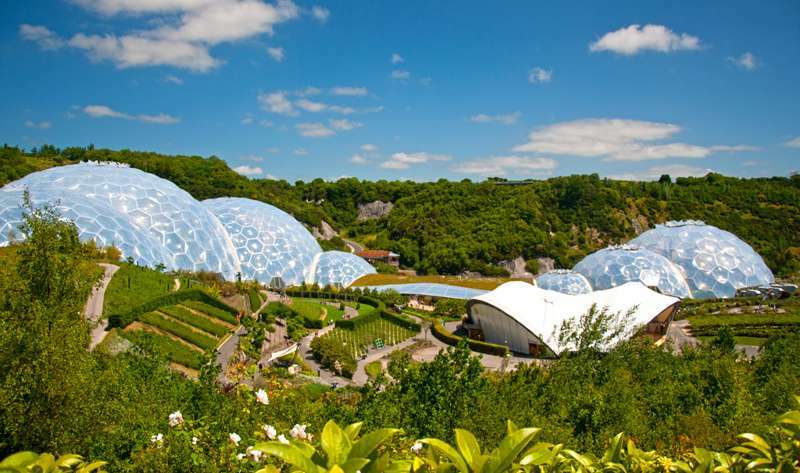 Marvel at mega stars like the Eden Project, or be seduced by the maritime ambience in waterside villages littered with trendy shops and cafés. 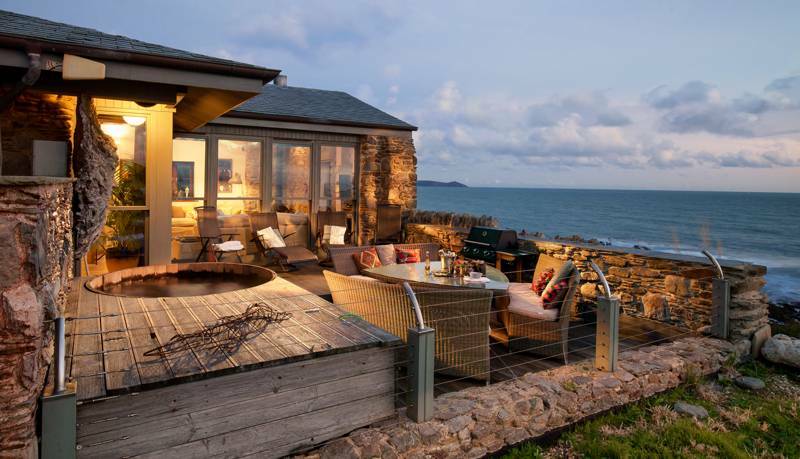 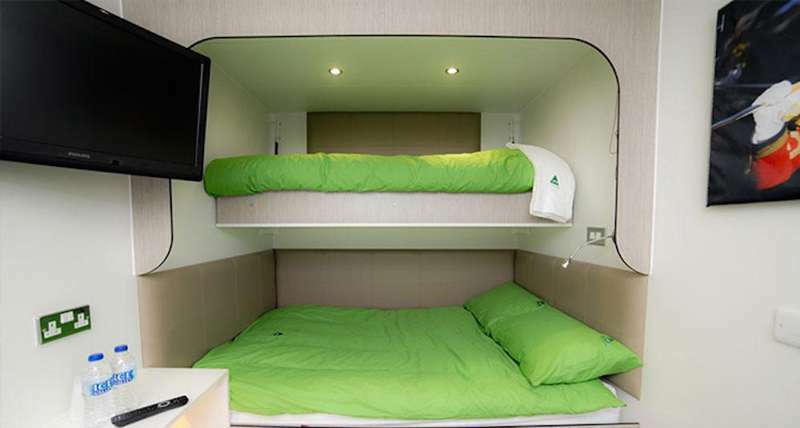 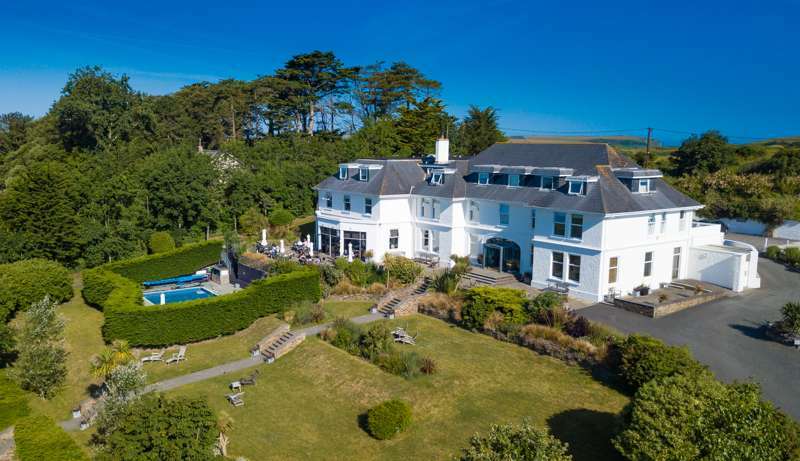 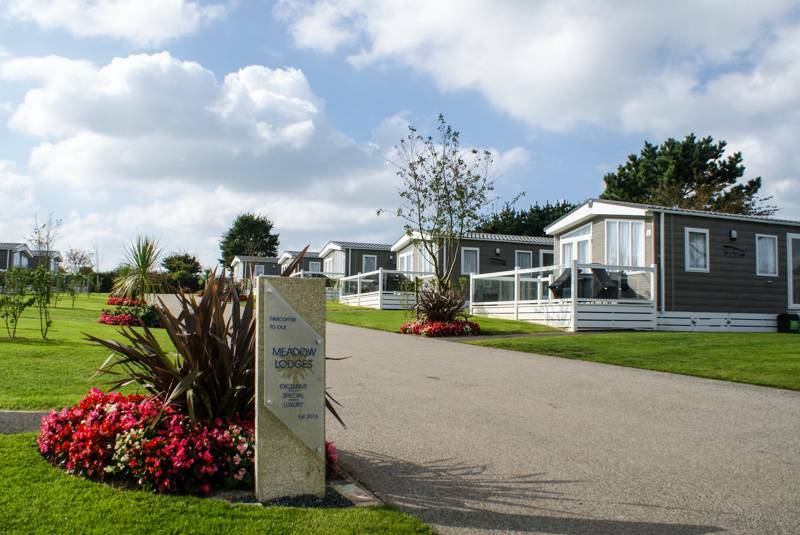 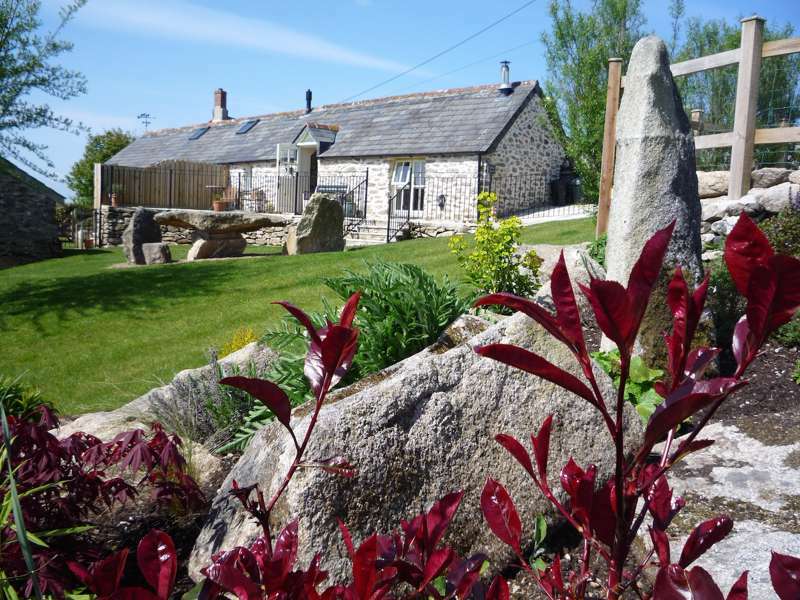 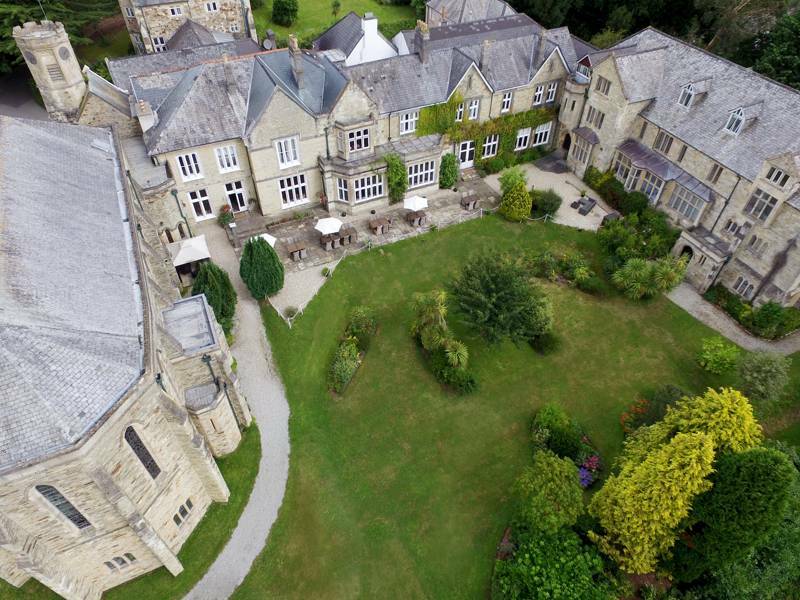 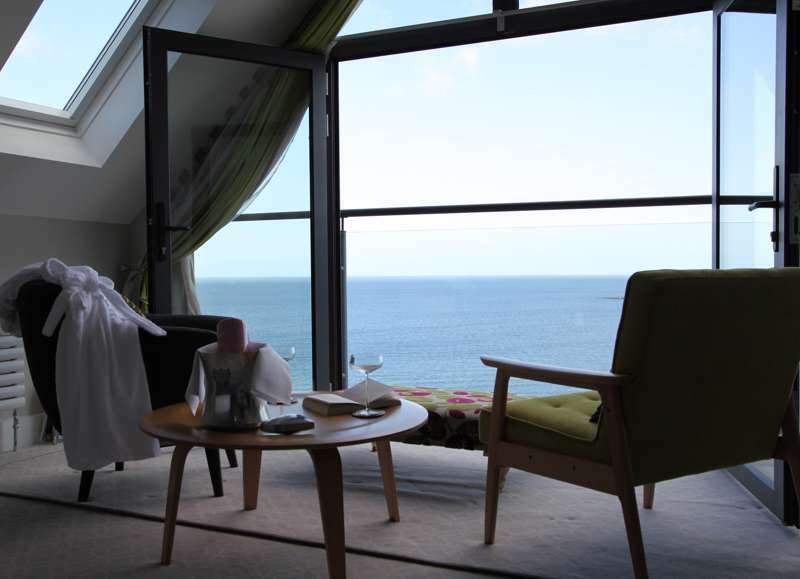 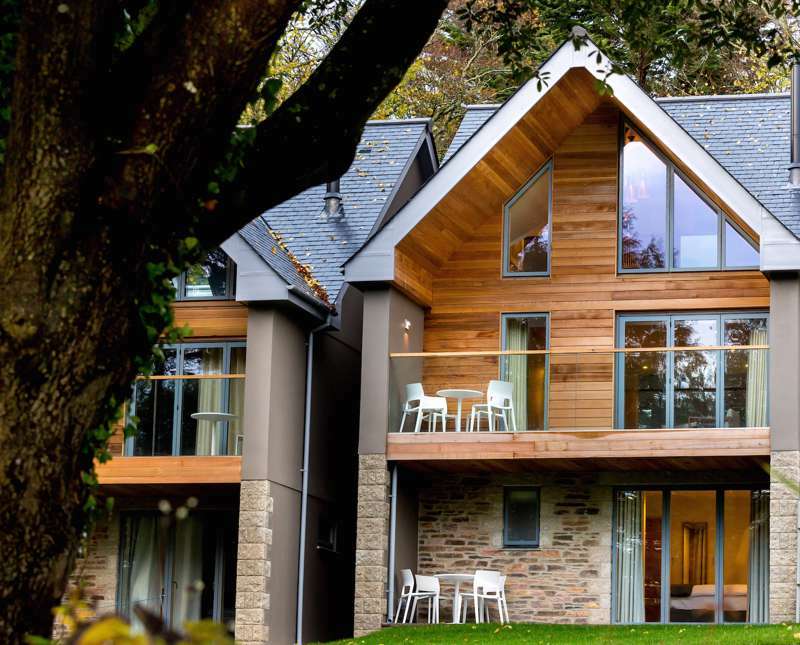 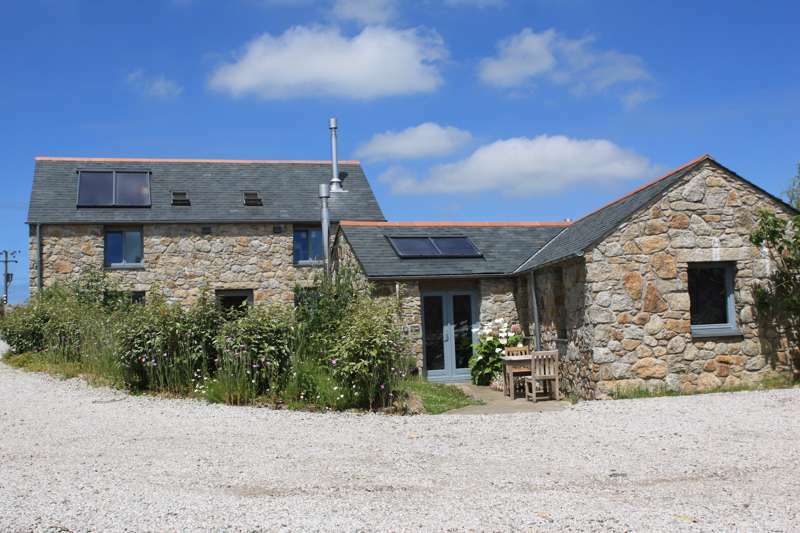 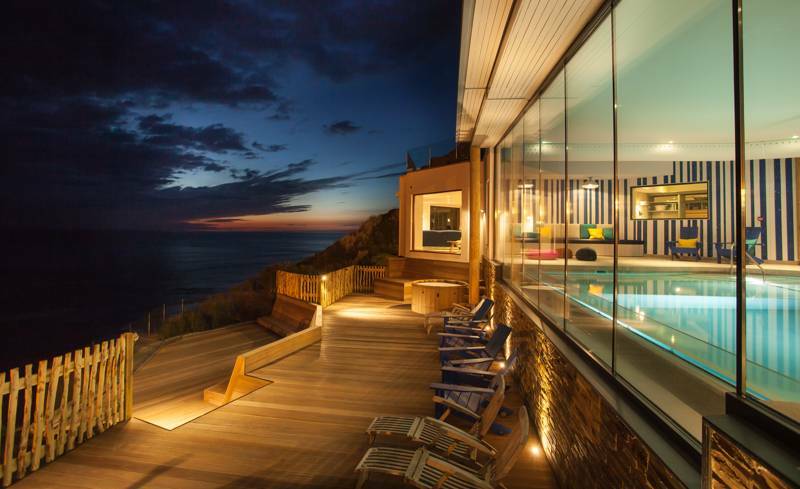 Cornwall also has a fabulous array of places to stay, with heaps of accommodation from luxury boutique hotels to family-friendly self-catering and beachfront hostels. 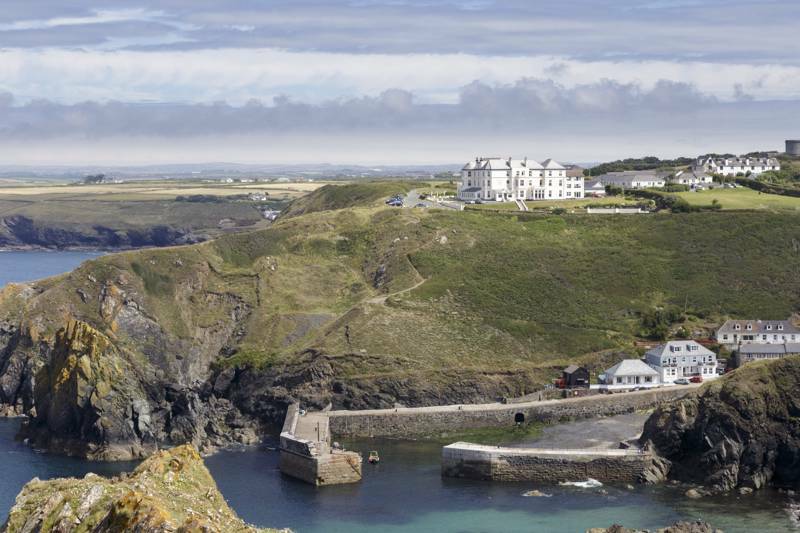 Many Cornwall hotels are boutique boltholes and classic country inns with some of the county's finest foodie gems – whether you fancy Michelin-starred dining or fish and chips on the beach. 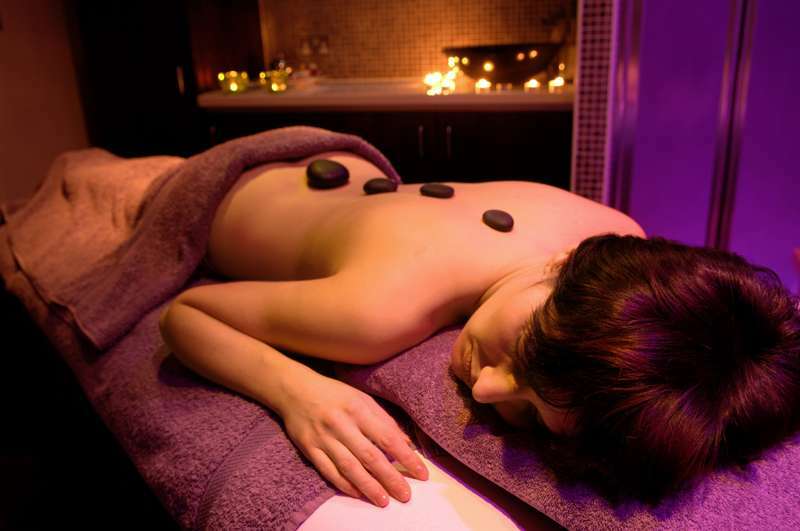 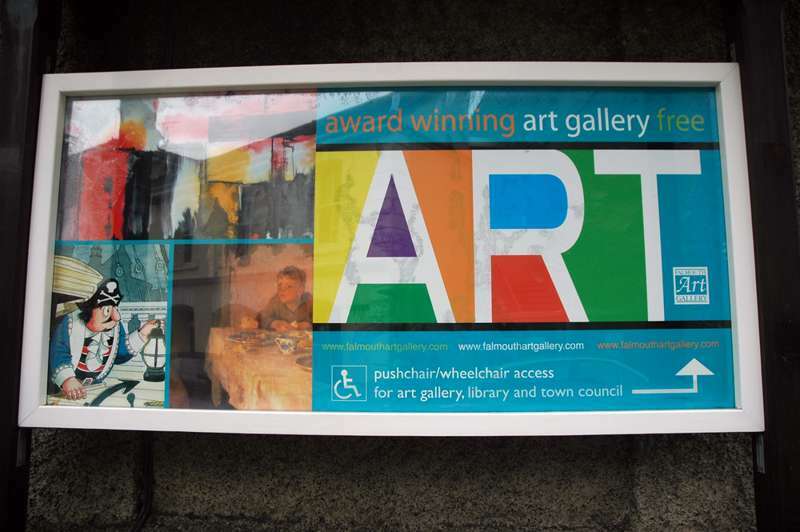 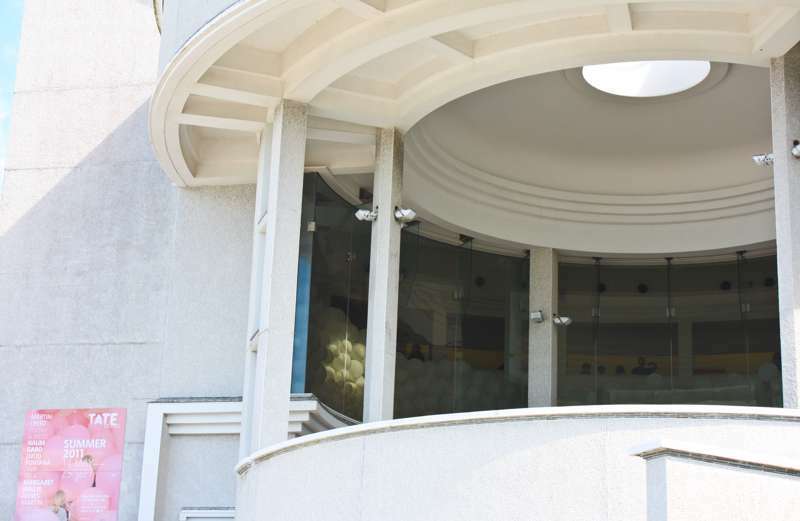 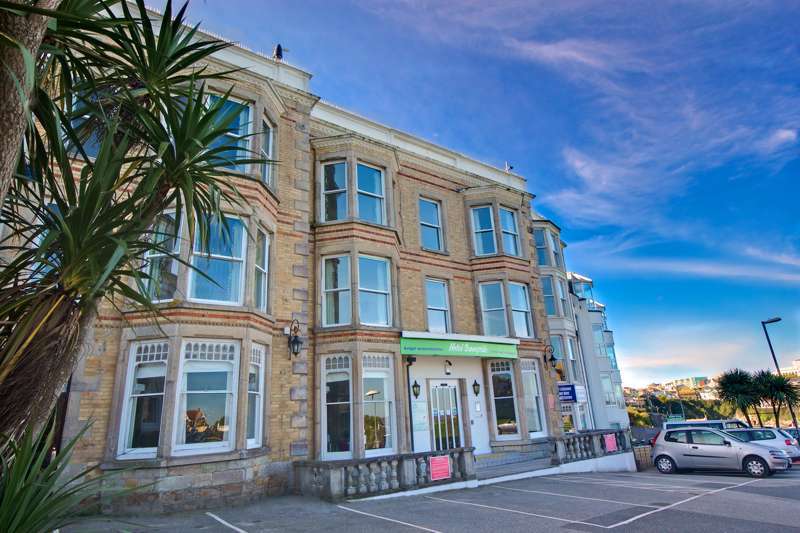 Truro's best hotel – a grand old building with some very cool, contemporary rooms. 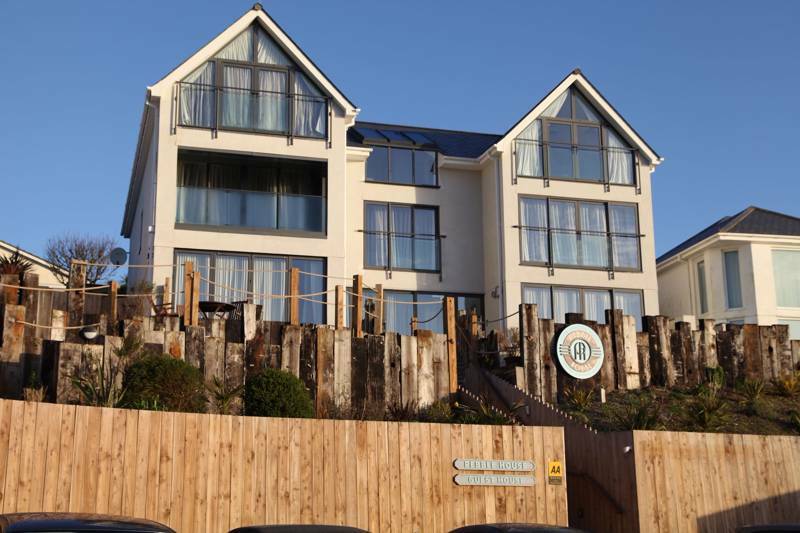 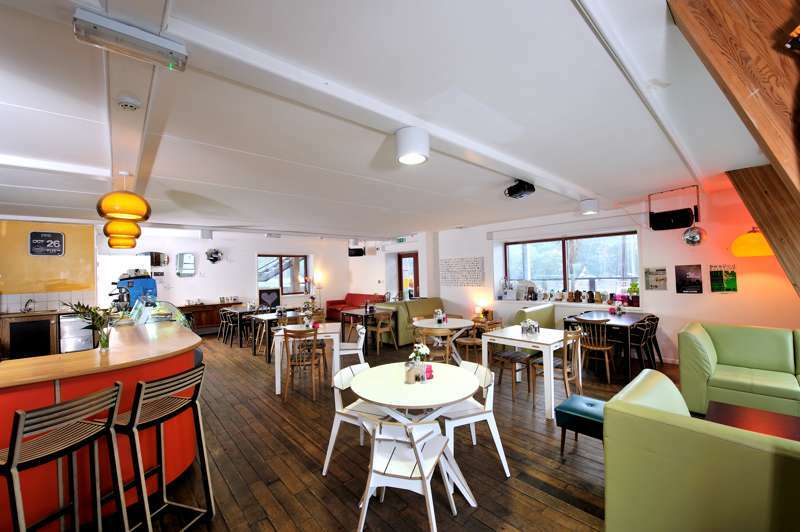 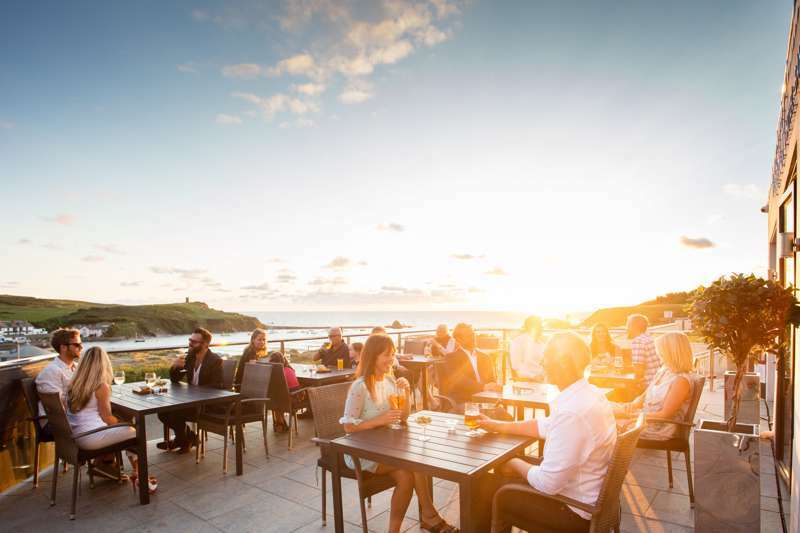 Coastal chic overlooking Bude's coolest beach – plus a vibrant bar-restaurant serving good food and great cocktails. 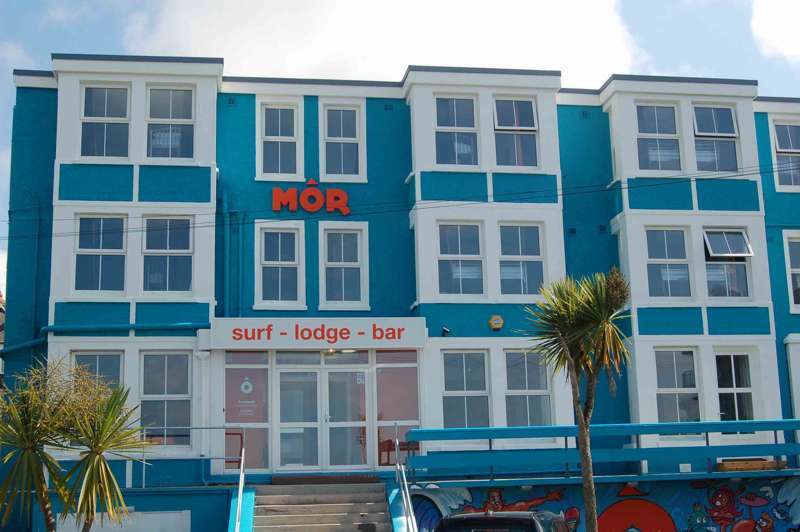 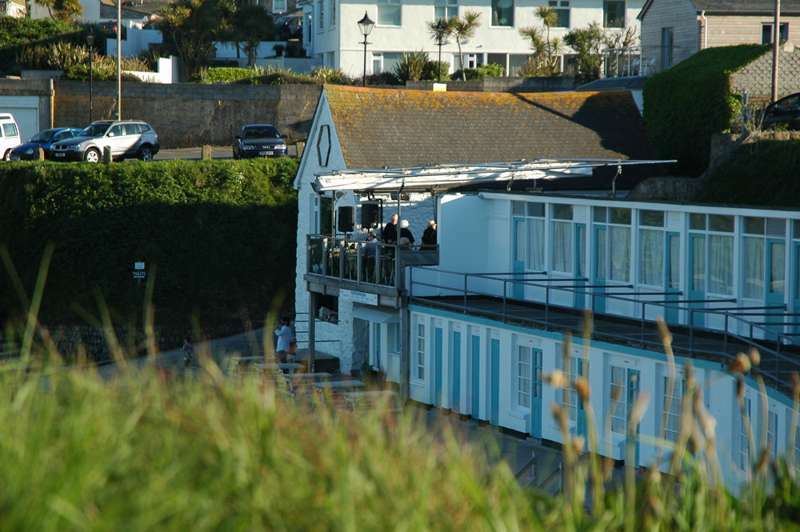 Comfortable rooms above a perfectly placed dining pub overlooking the ocean. 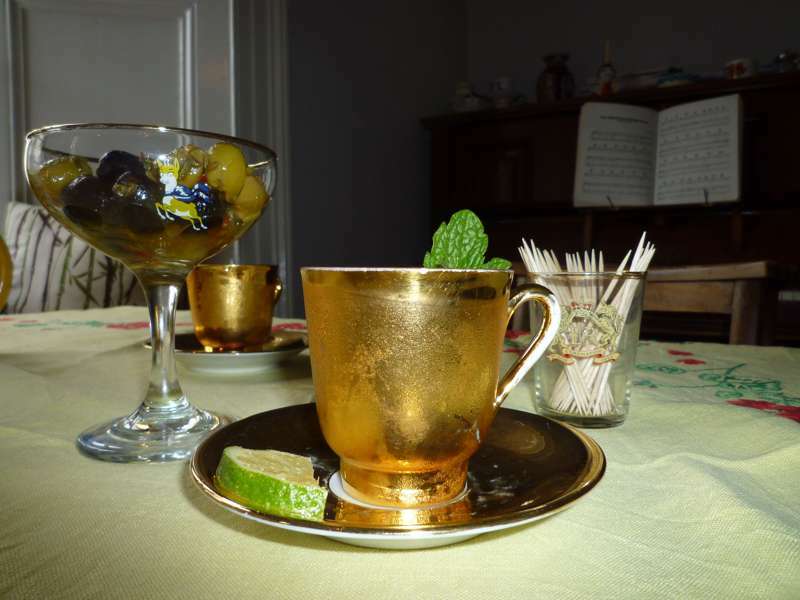 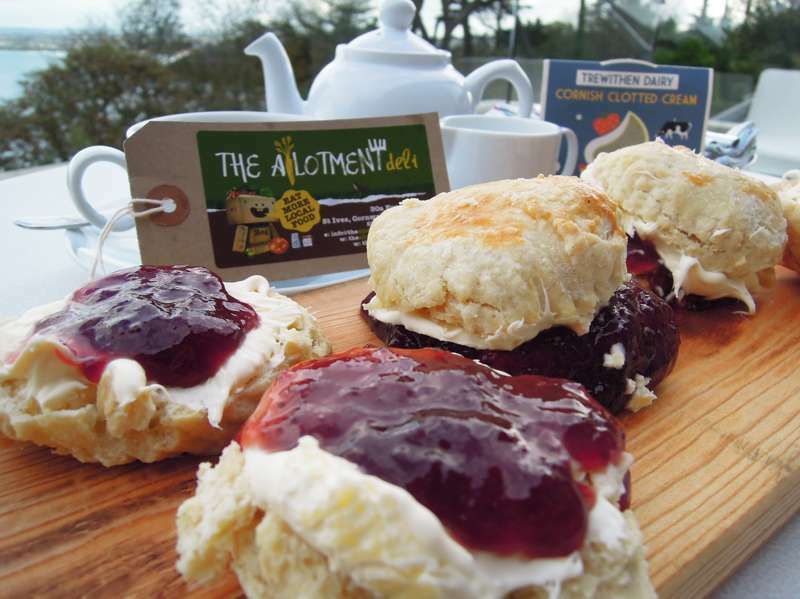 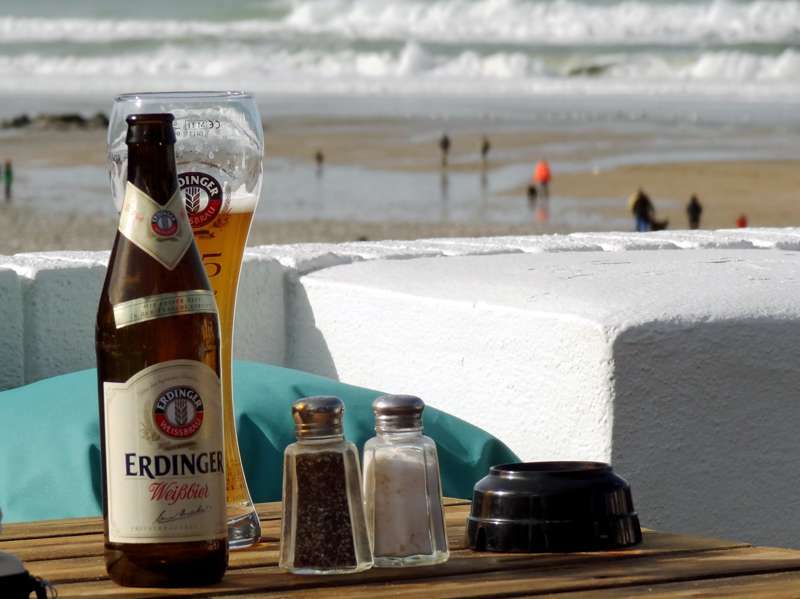 The last word in relaxation and good food, Cornish-style. 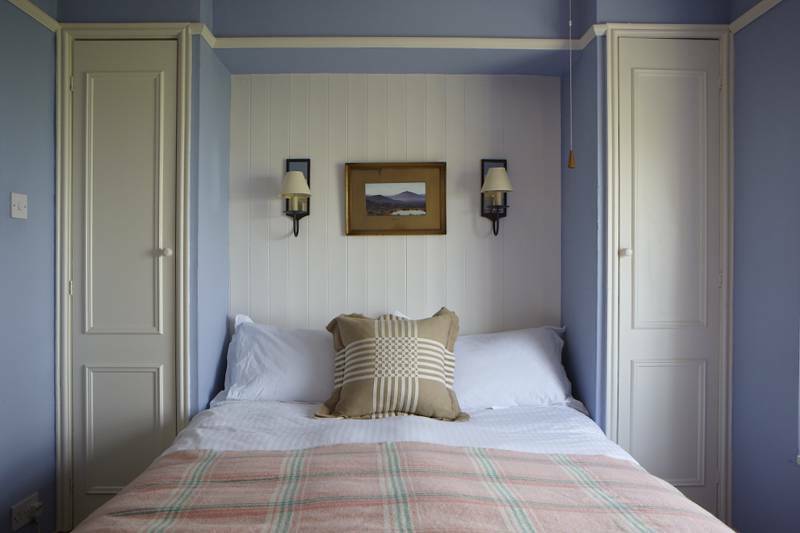 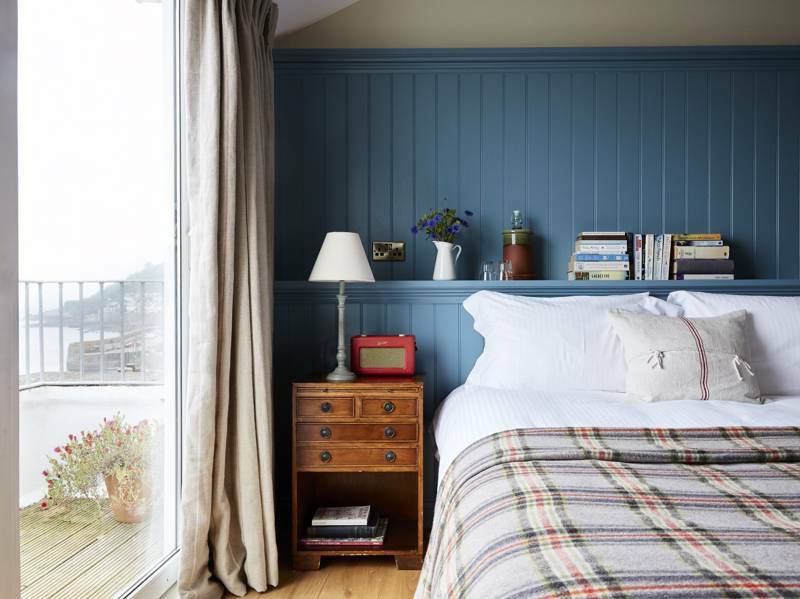 A wonderfully relaxed seaside bolthole, with great views and everything you need for a comfortable, grown-up stay by the sea. 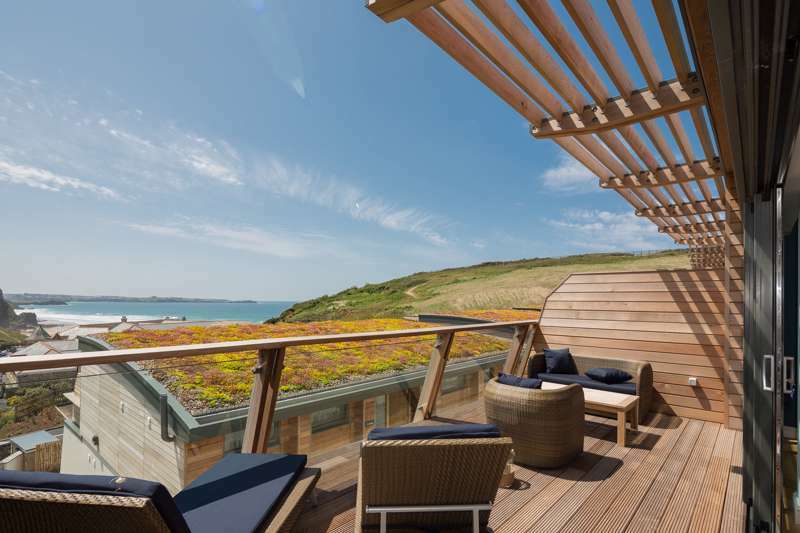 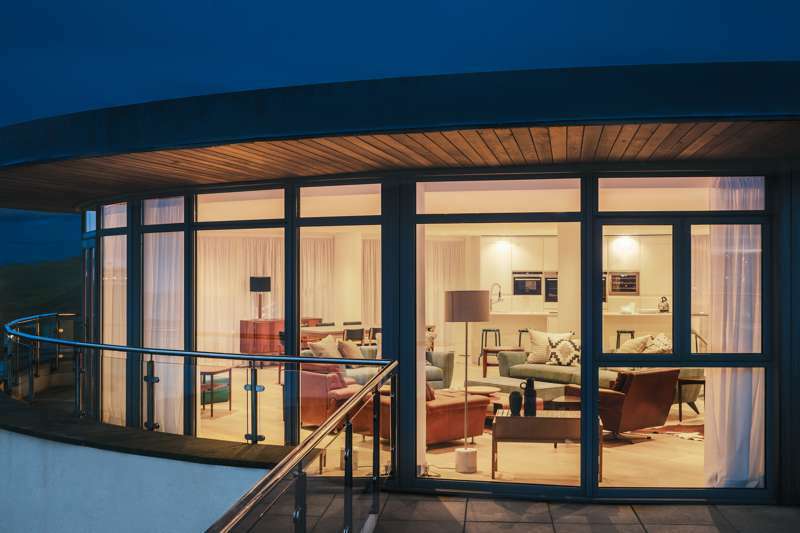 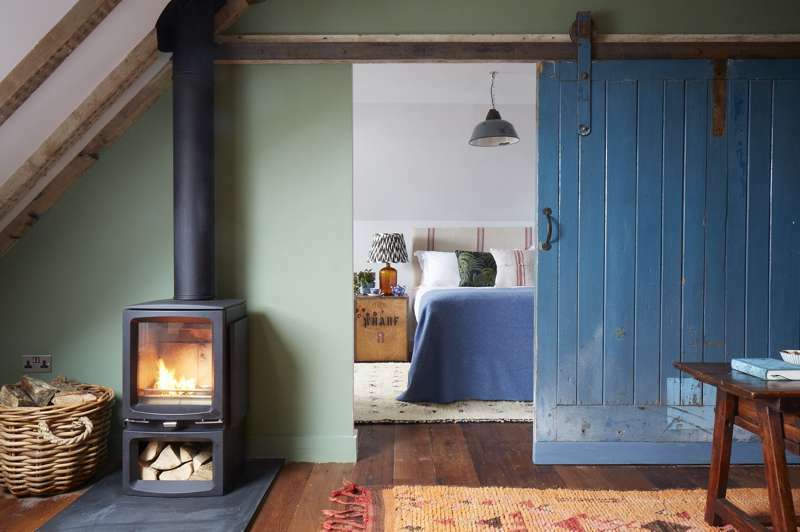 The best boutique places to stay in Cornwall – expertly chosen by Cool Places – ranging from über stylish hotels to beachside hotels. 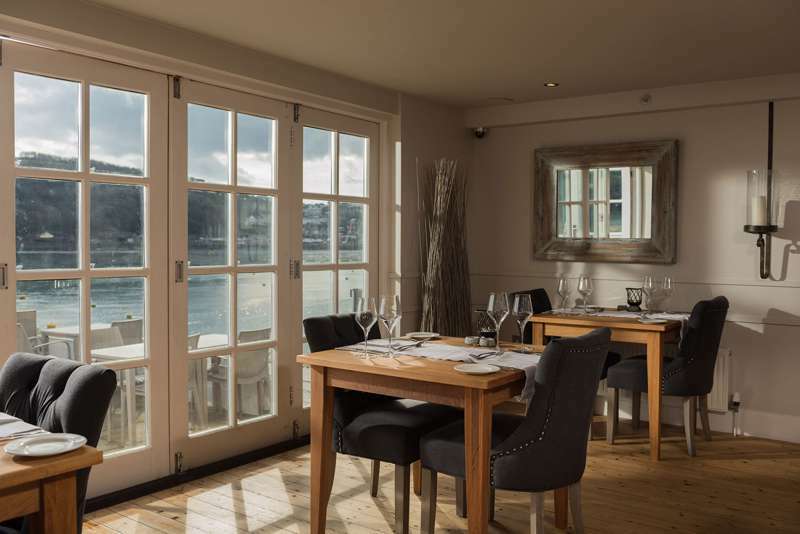 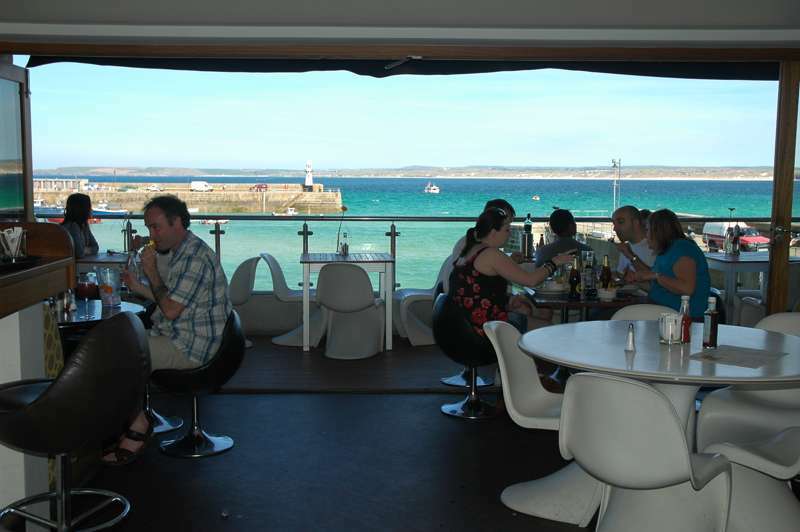 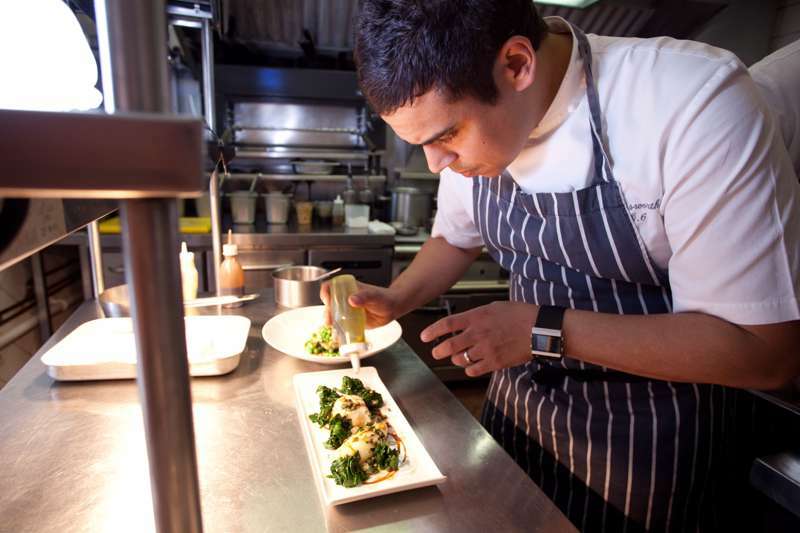 What better way to while away the long summer evenings than with fine Cornish cuisine and stunning sea views? 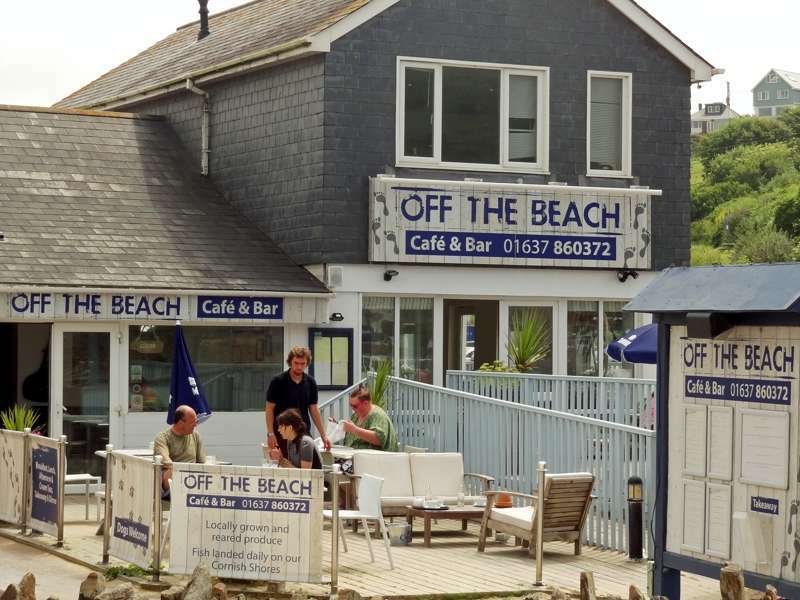 Now a firm fixture on Cornwall's culinary calendar. 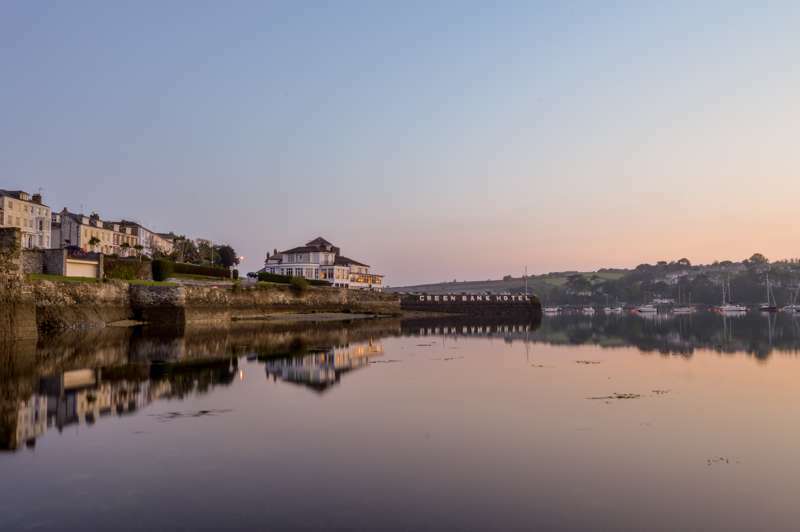 Cornwall isn't all rugged coastlines and pristine beaches, there are also some lovely seaside towns to explore. 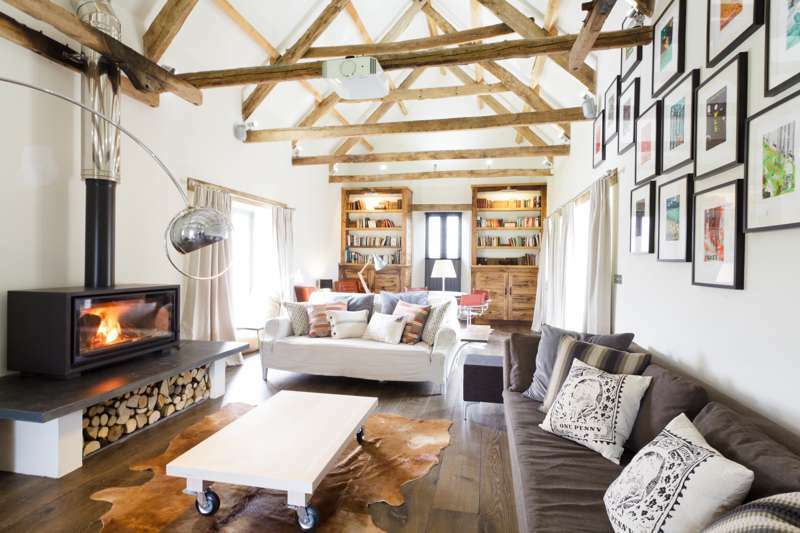 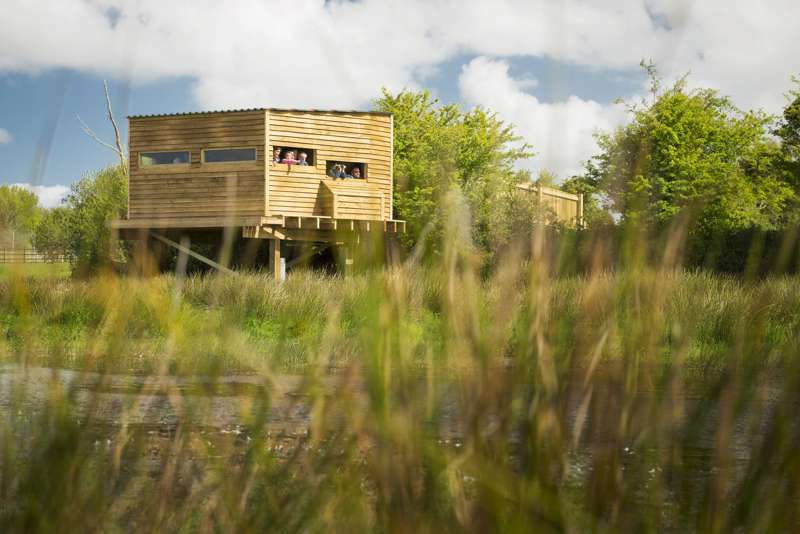 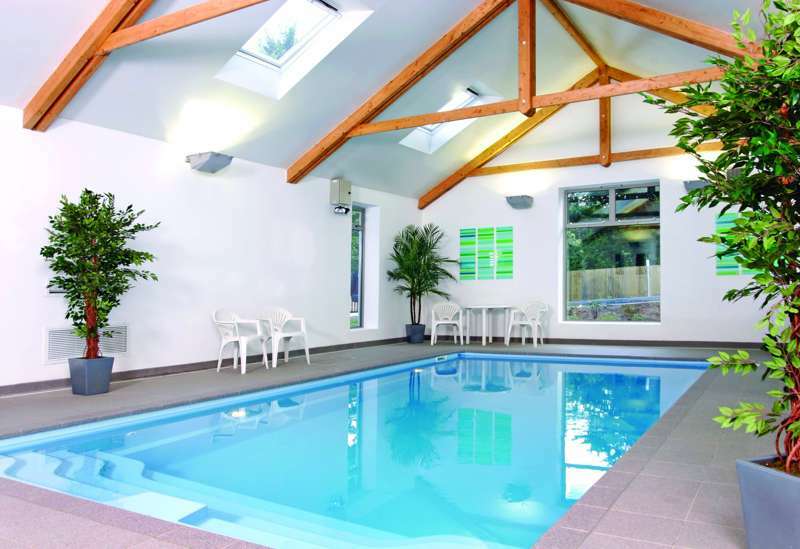 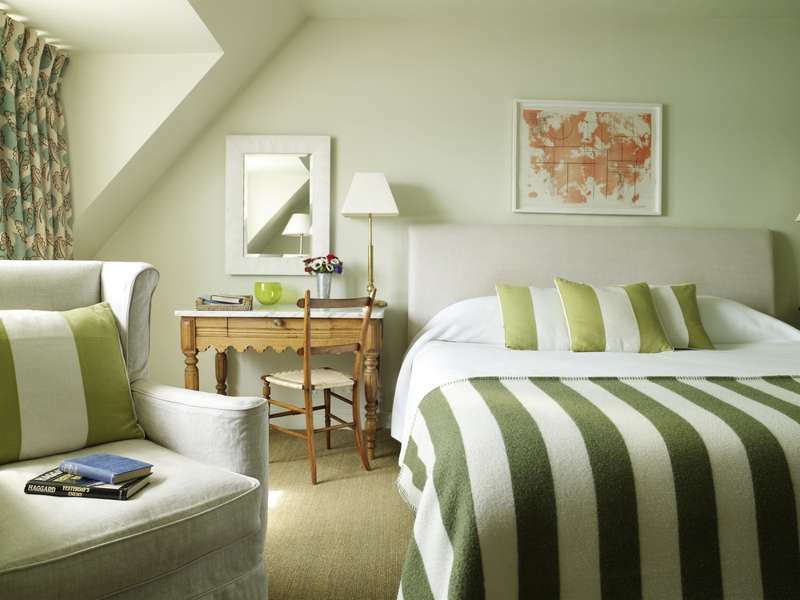 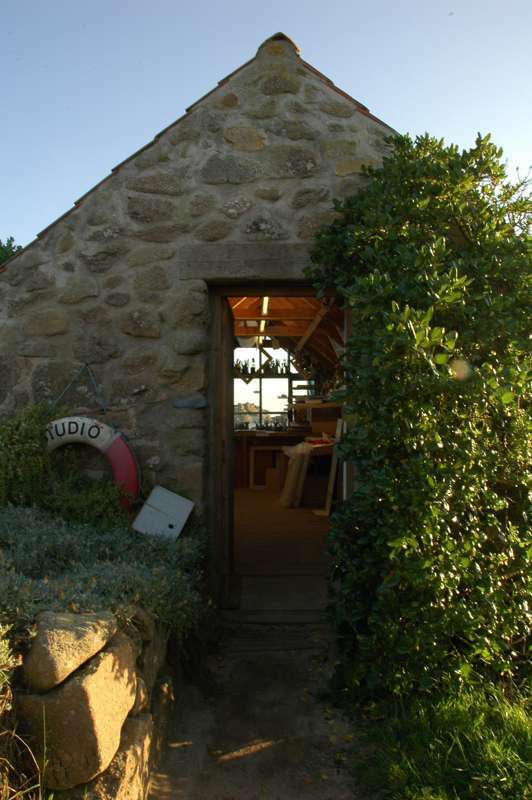 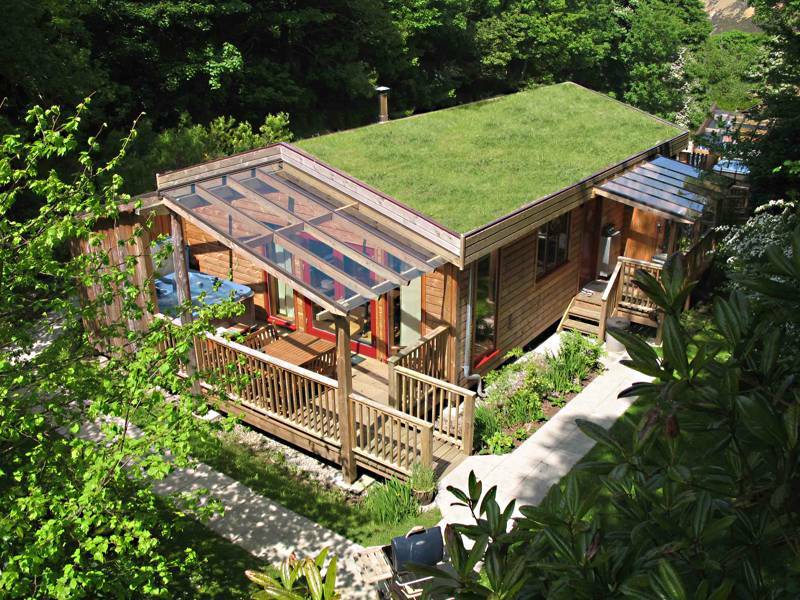 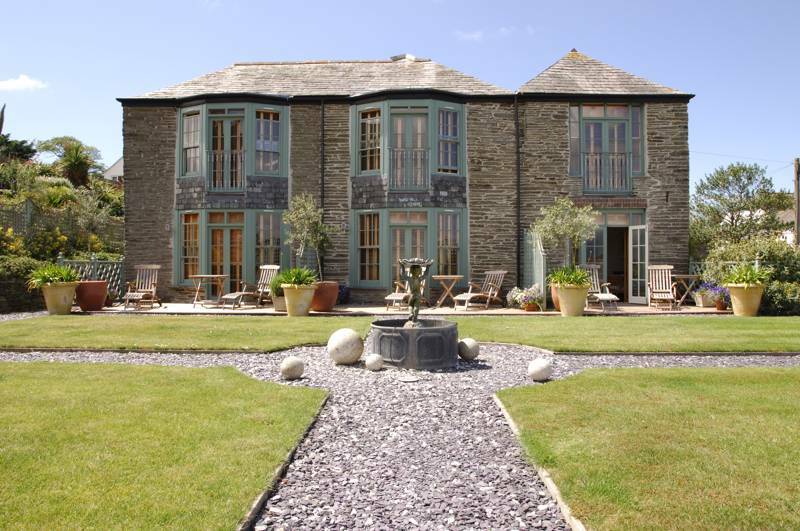 We round up the best places to stay when on holiday in Cornwall below. 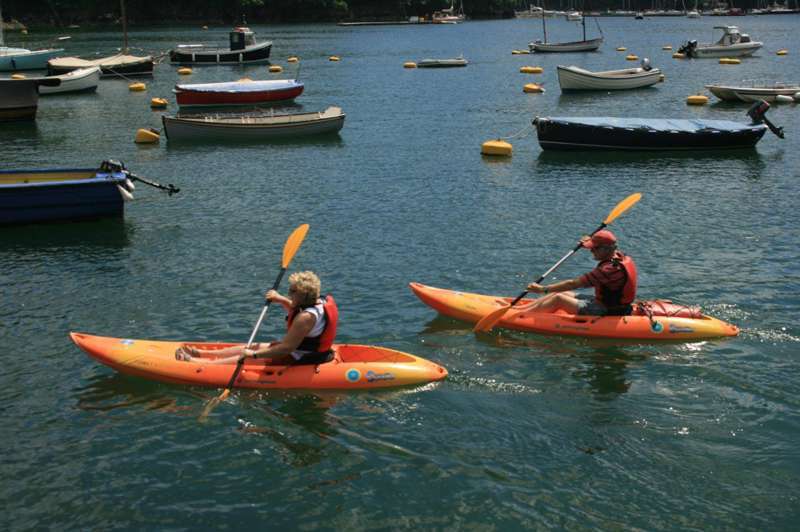 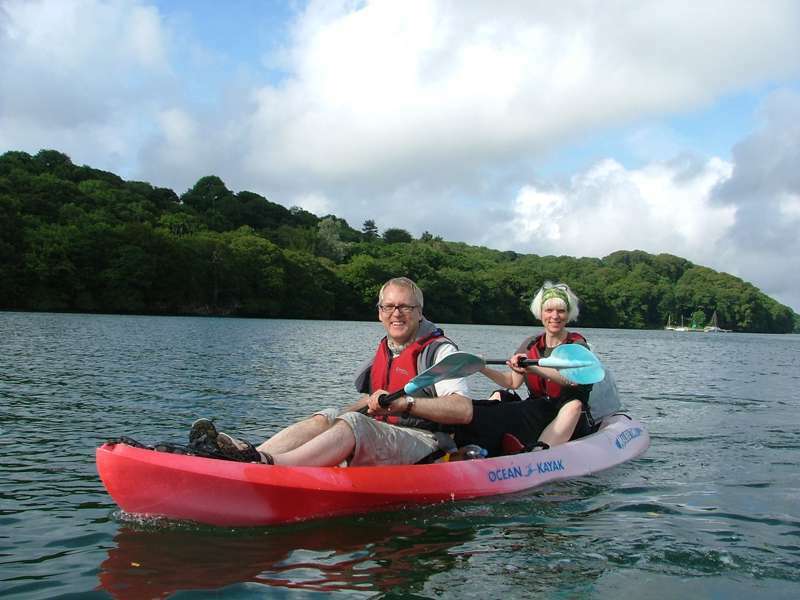 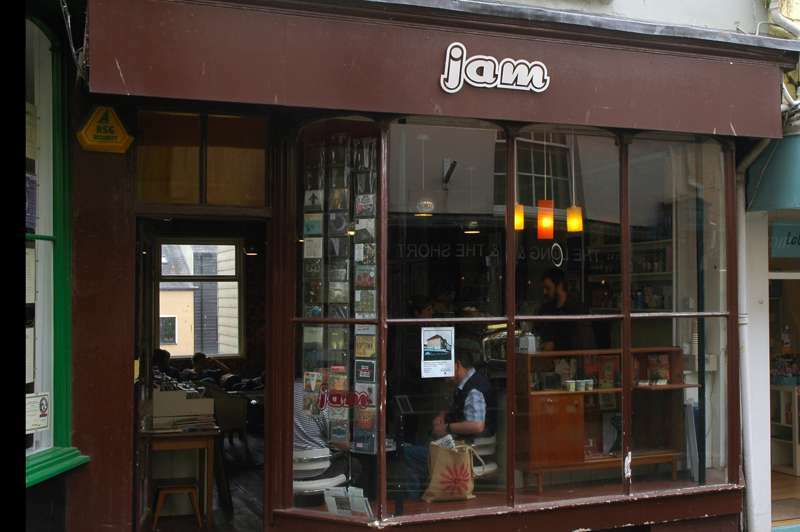 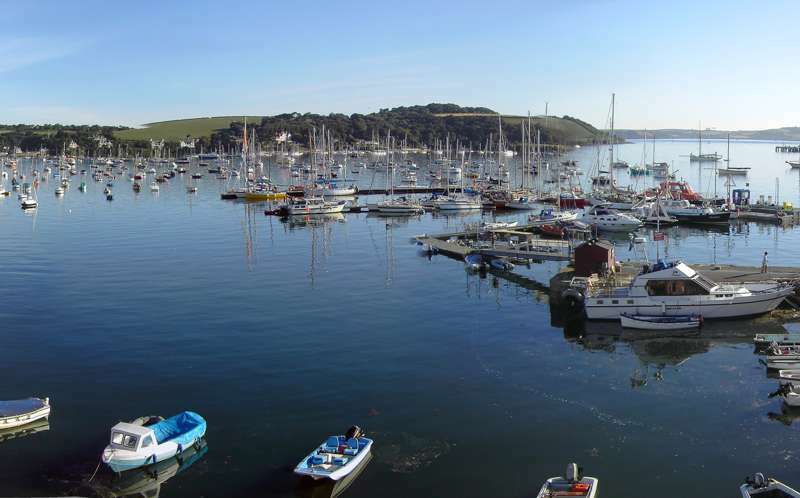 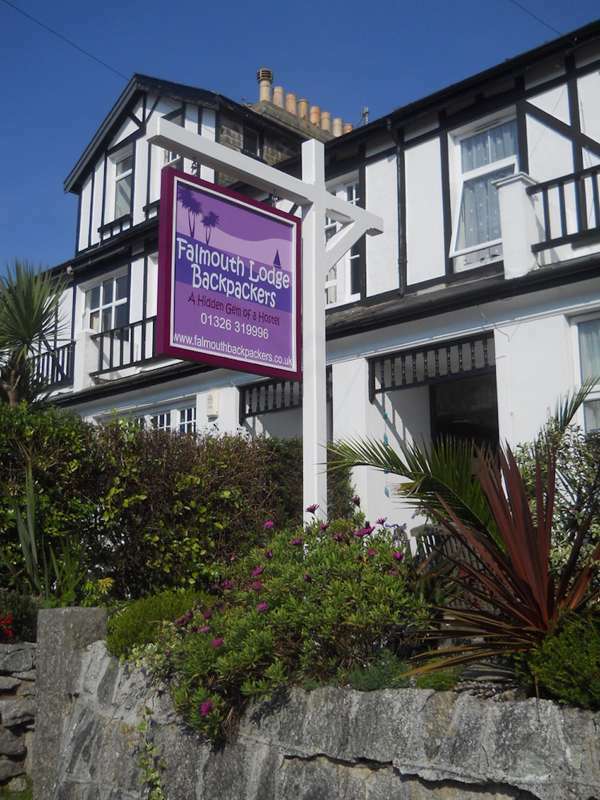 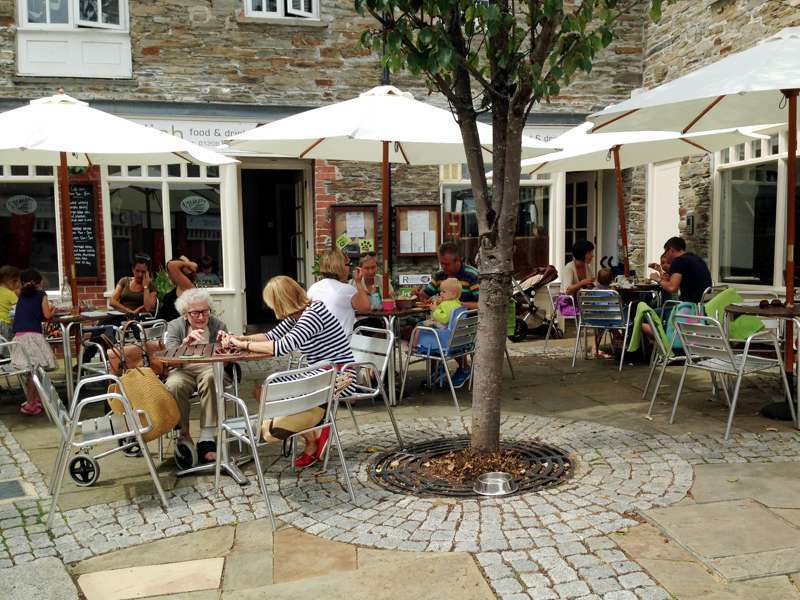 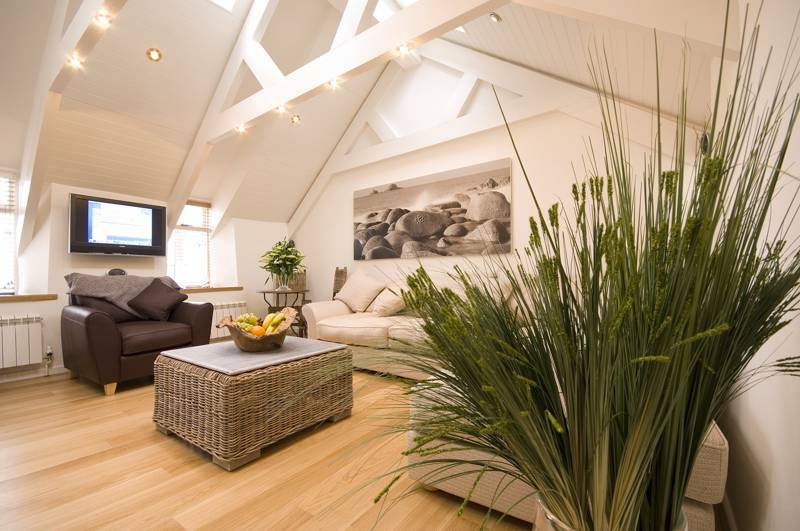 From friendly backpackers hostels and self-catering cottages to boutique hotels and cosy B&Bs, Falmouth has a place to stay to suit everyone. 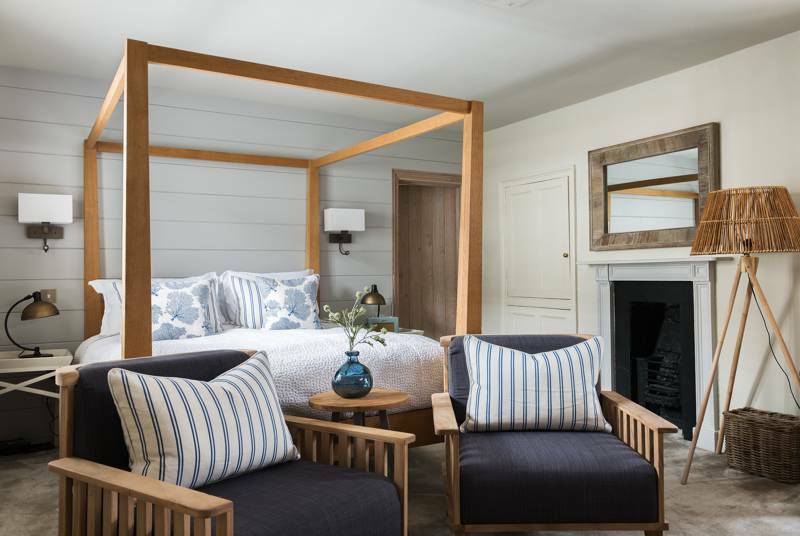 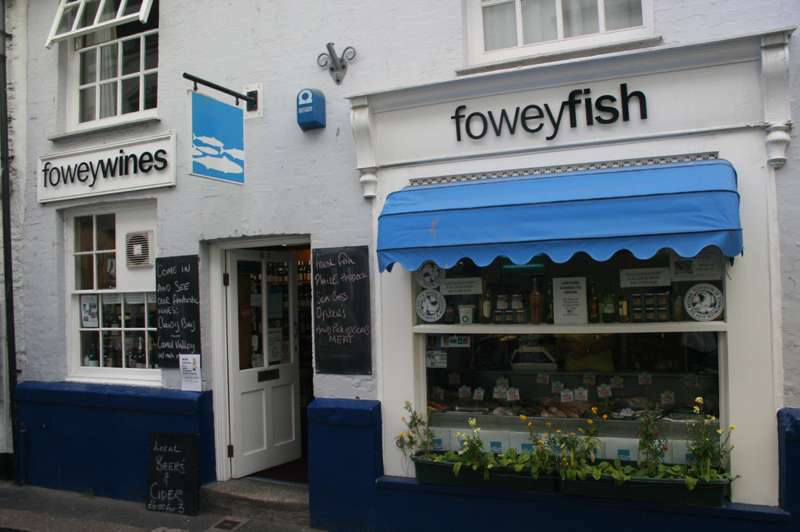 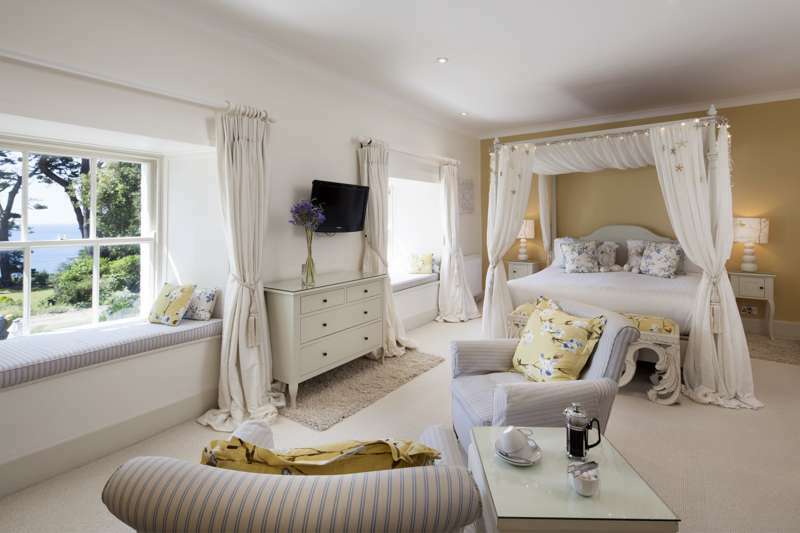 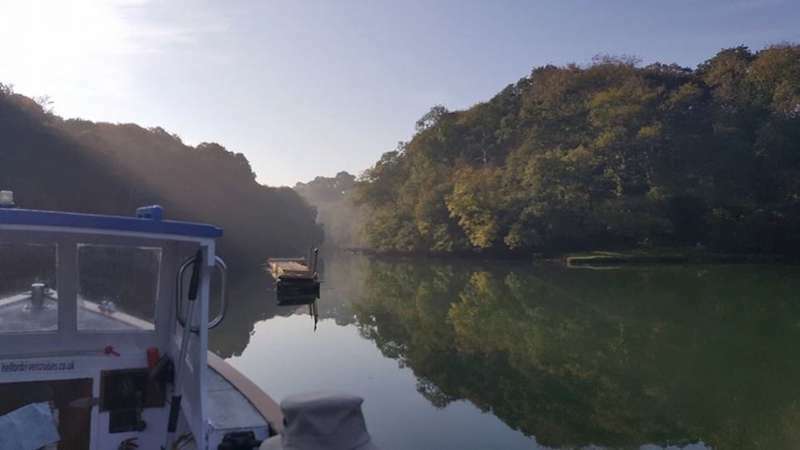 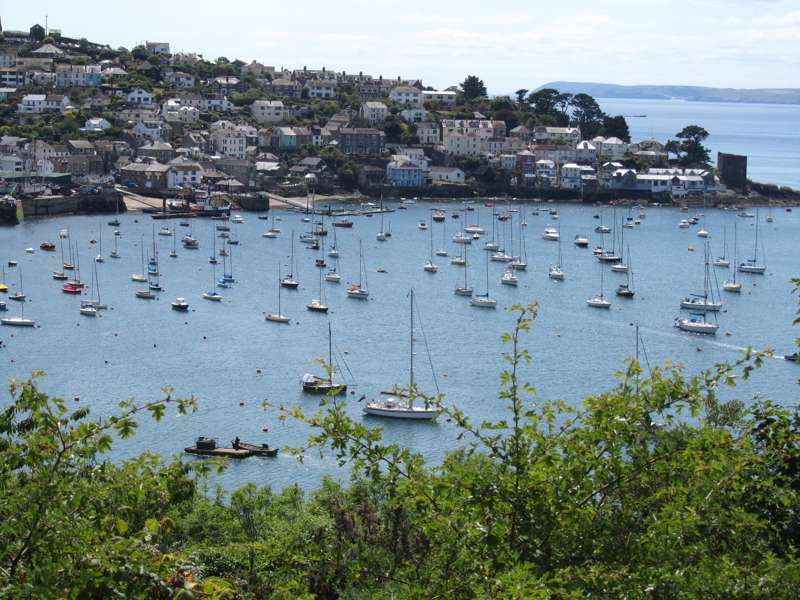 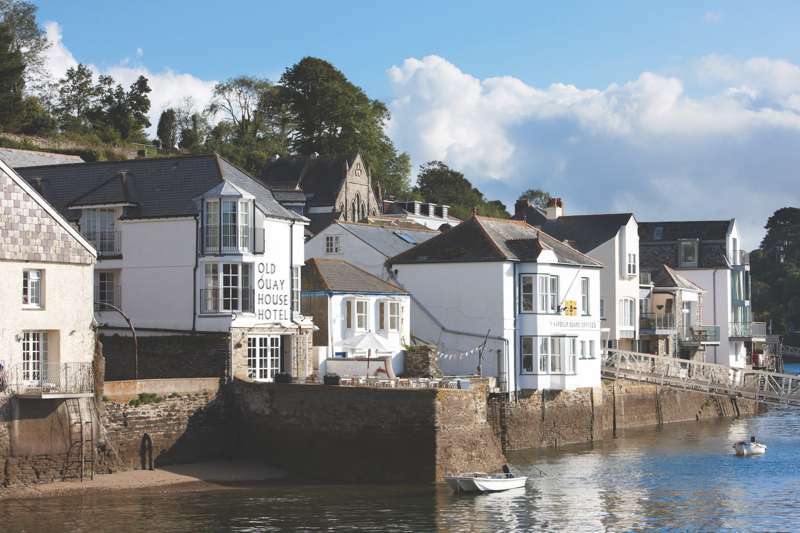 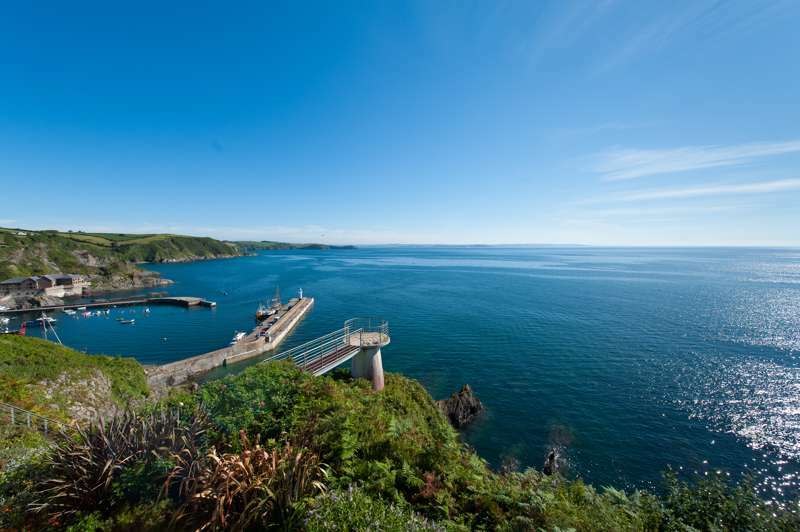 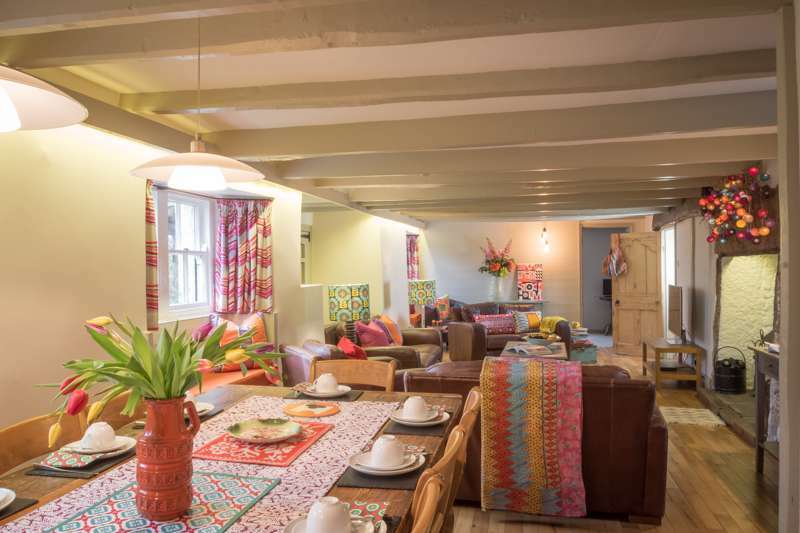 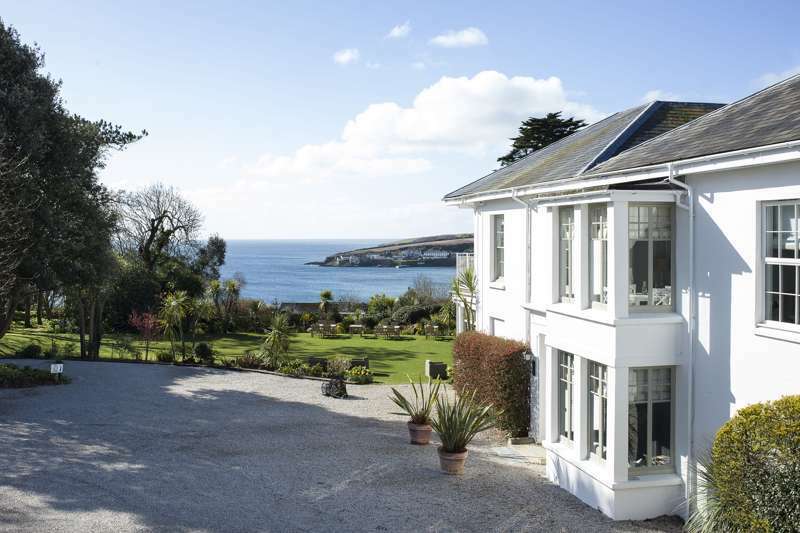 The best places to stay in Cornwall’s Fowey – expertly chosen by Cool Places – including quirky and luxurious hotels, self-catering farm cottages, seaside B&Bs and family-friendly hostels. 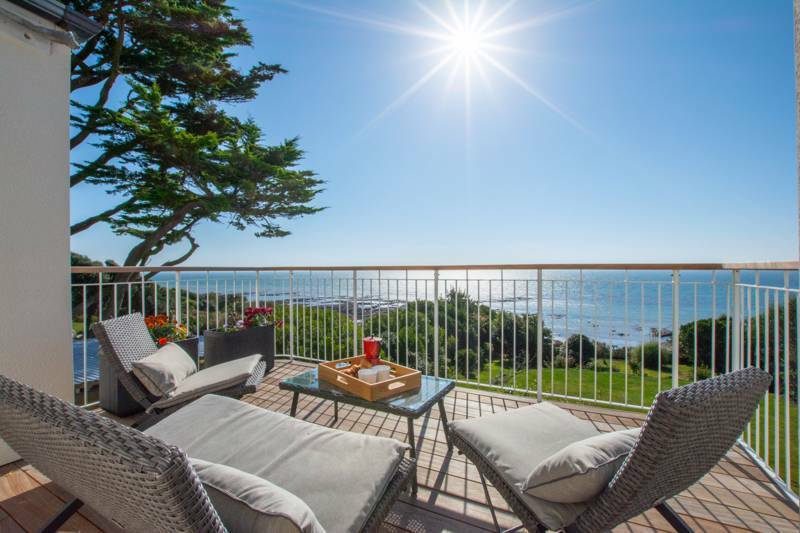 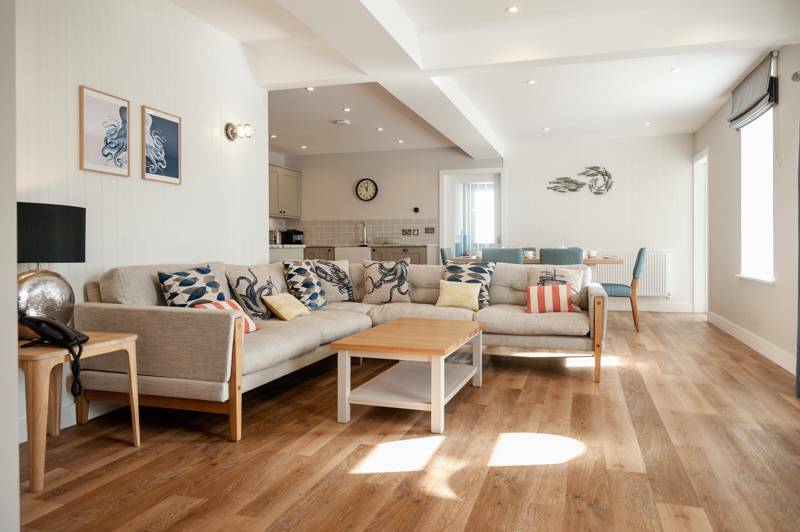 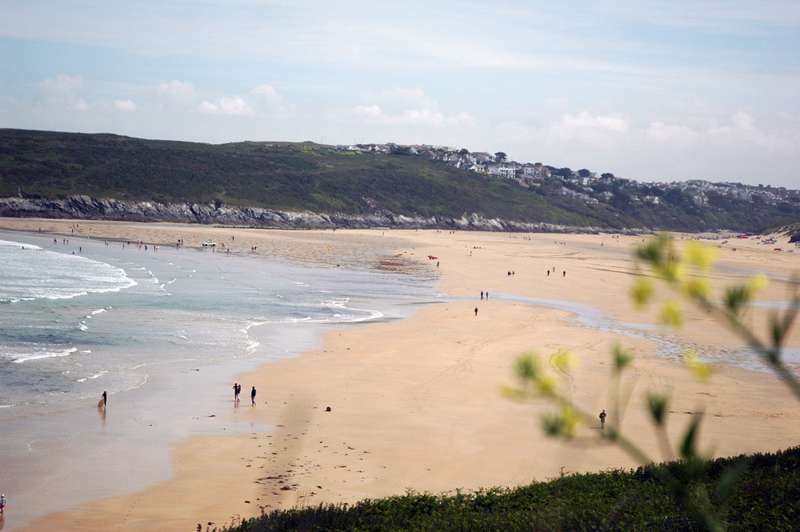 From family-friendly cottages and boutique B&Bs, to beach retreats and self-catering cottages, Newquay has a place to stay to suit everyone – expertly chosen by Cool Places. 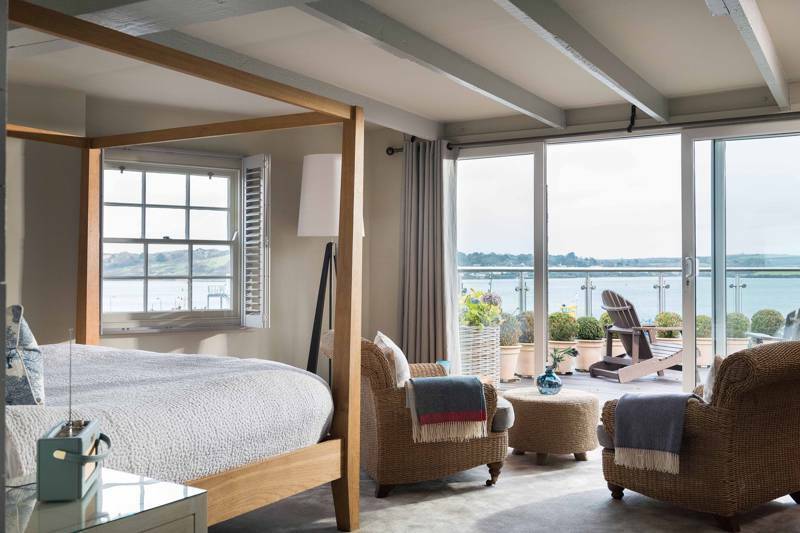 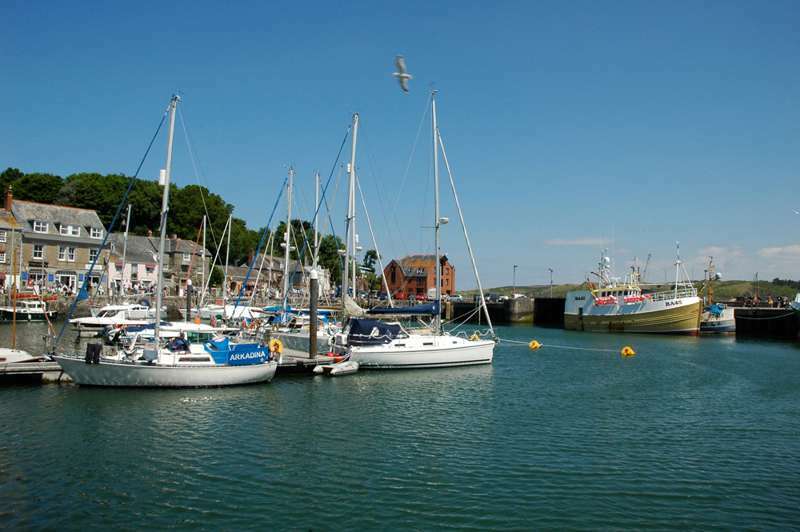 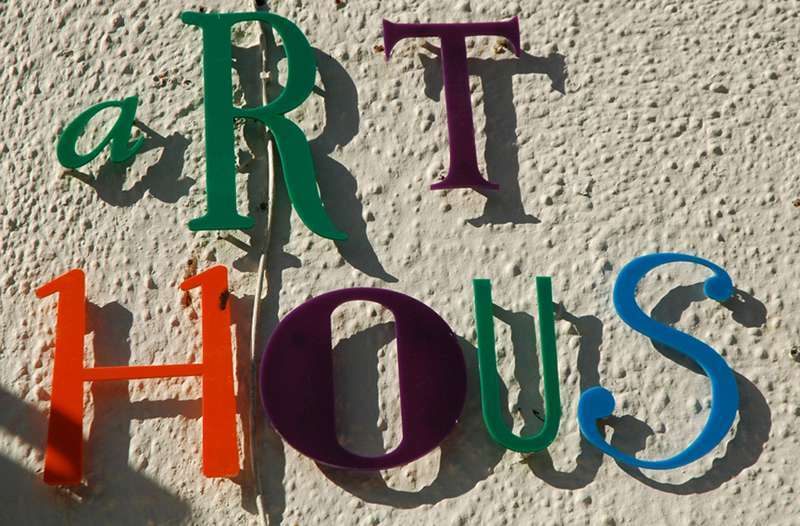 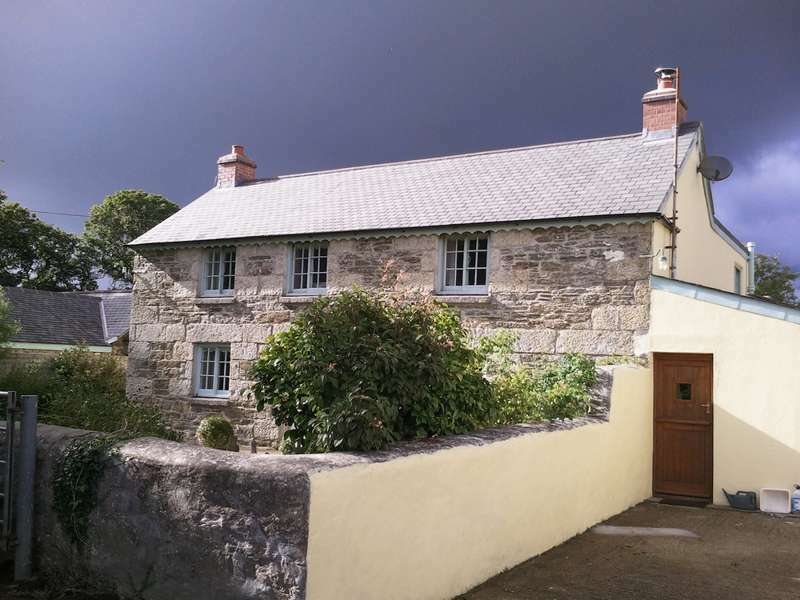 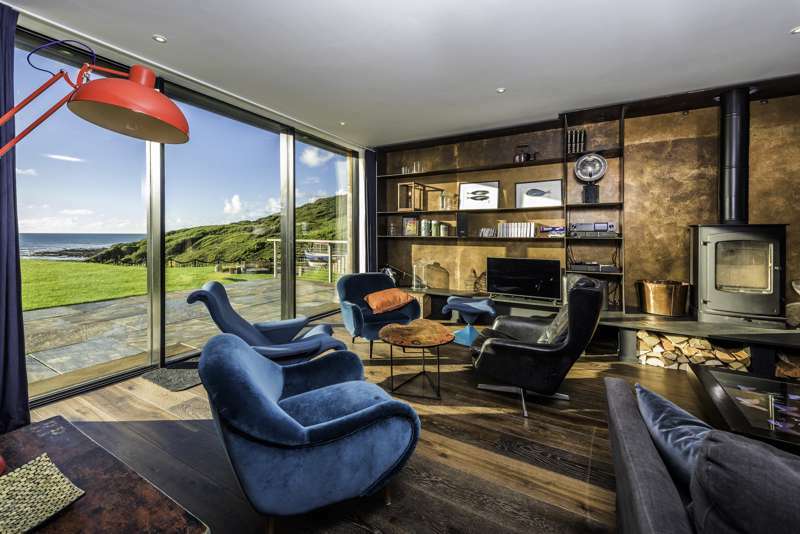 The best places to stay in Padstow – including great value guesthouses, eco-friendly B&Bs, boutique hotels and coastal cottages. 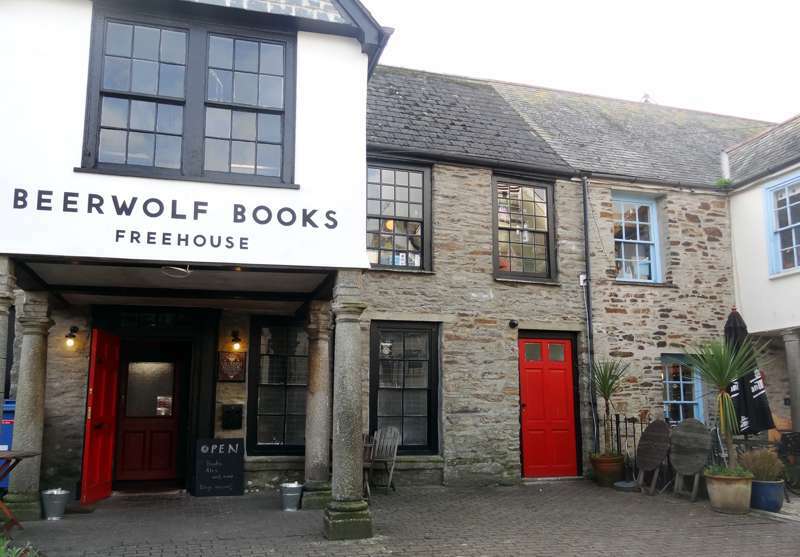 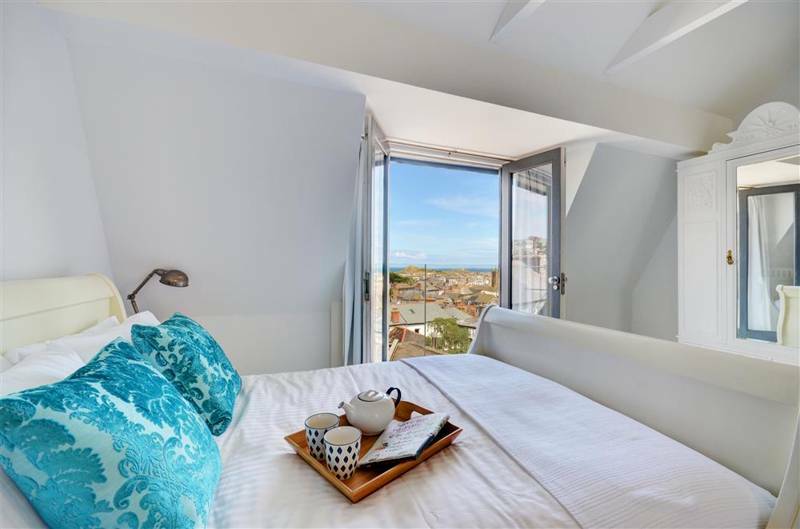 The best places to stay in St Ives, ranging from welcoming B&Bs and affordable hostels to luxury hotels and pubs with rooms and great food. 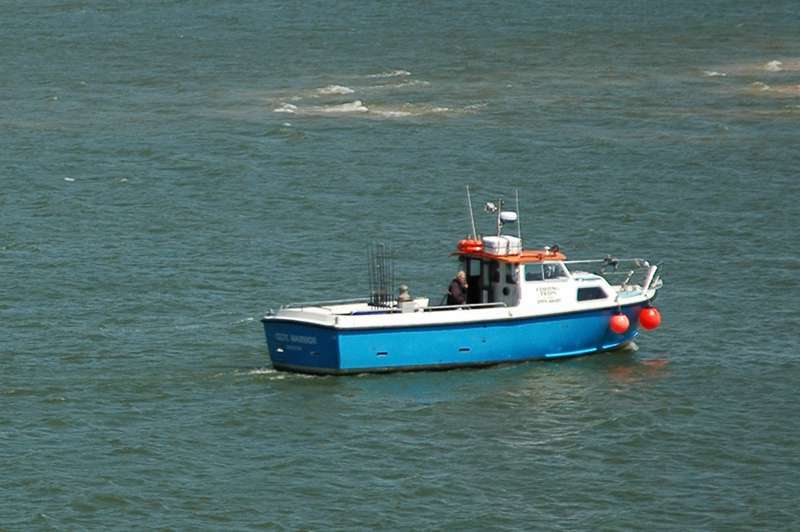 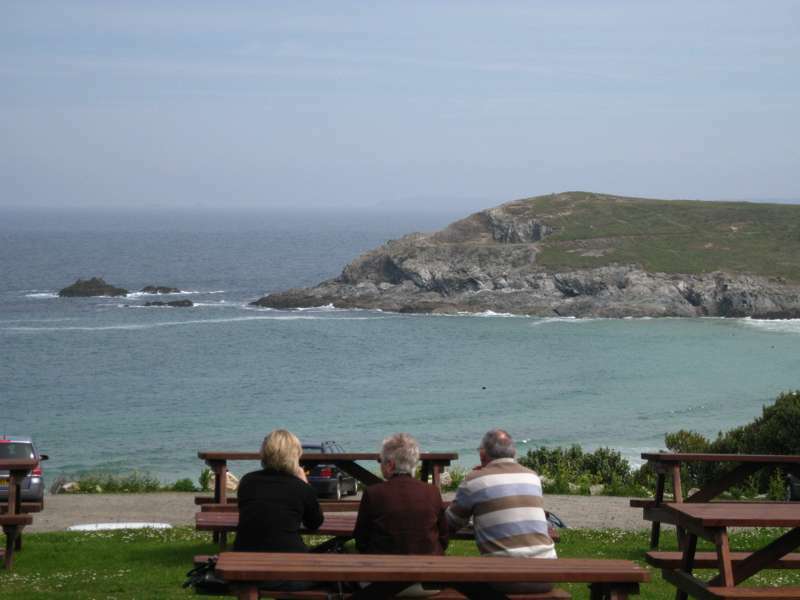 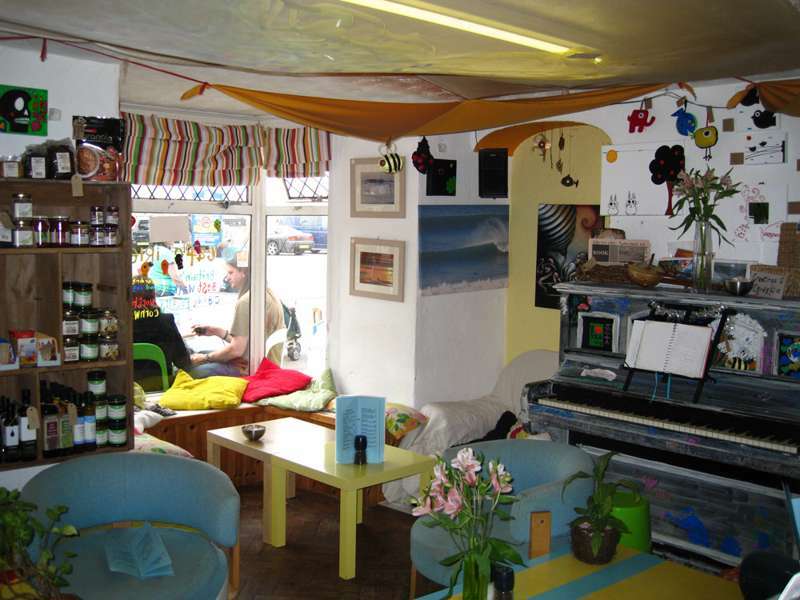 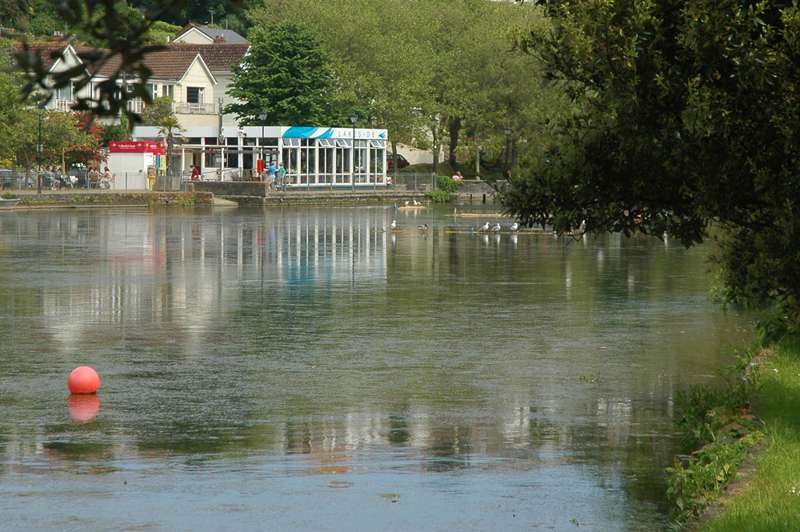 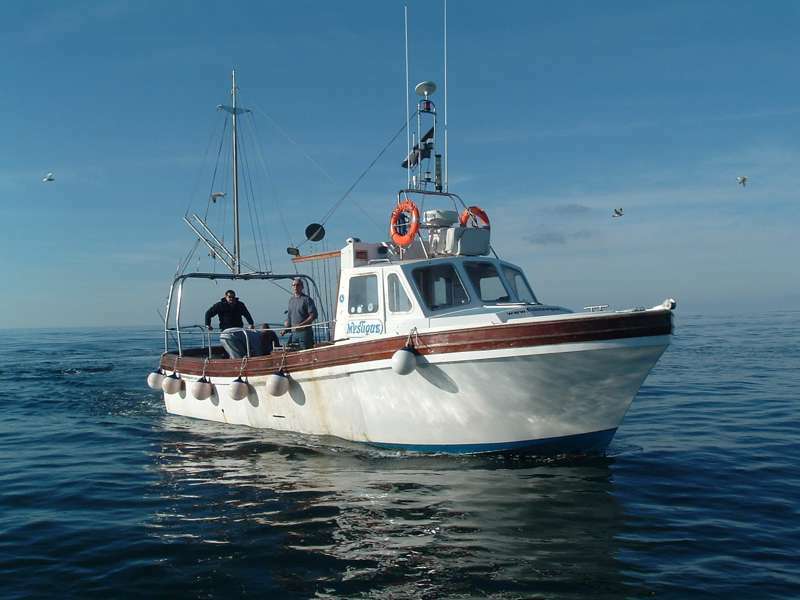 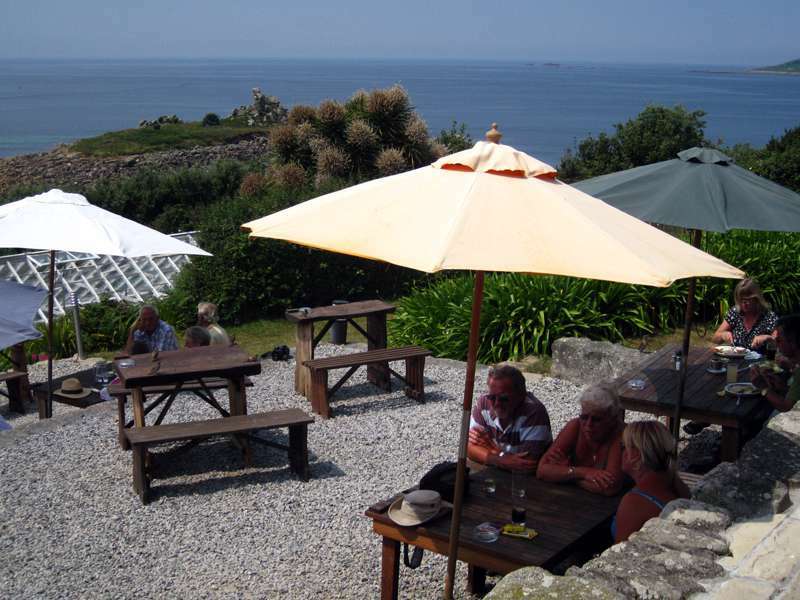 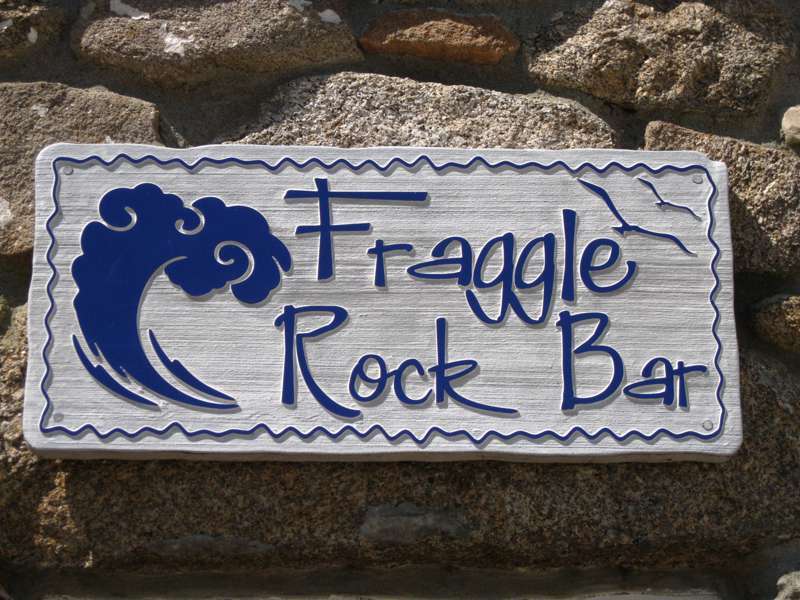 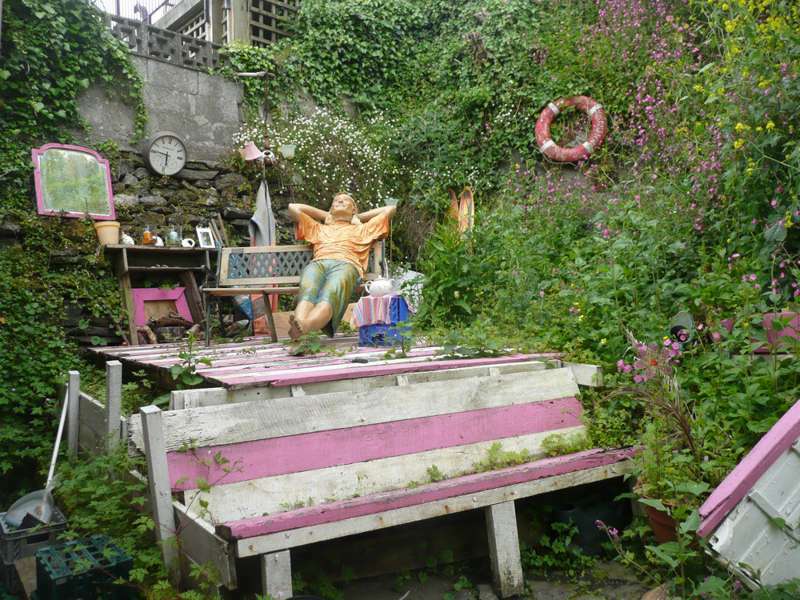 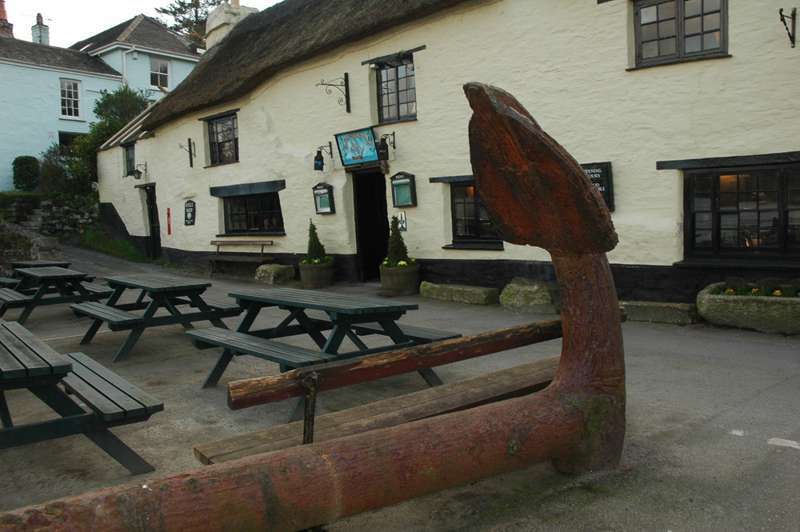 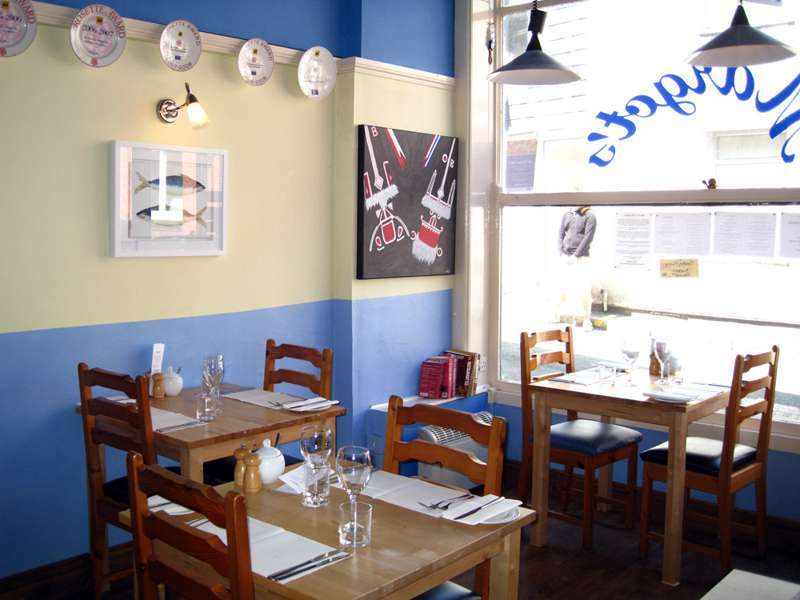 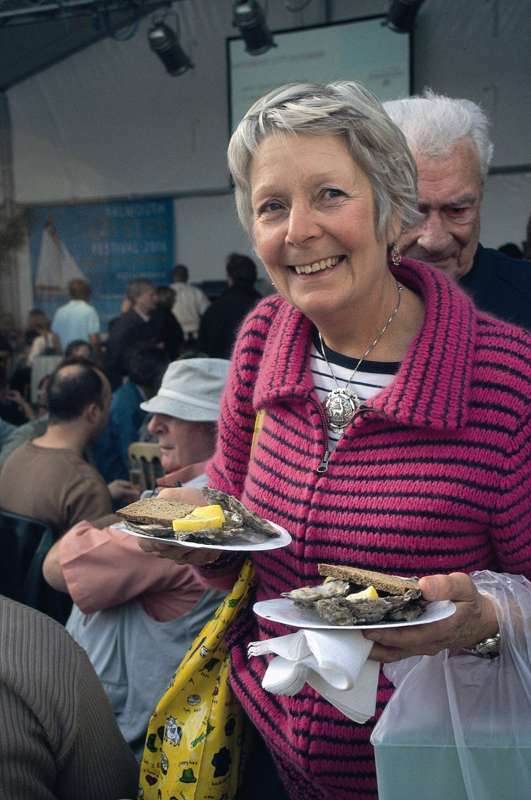 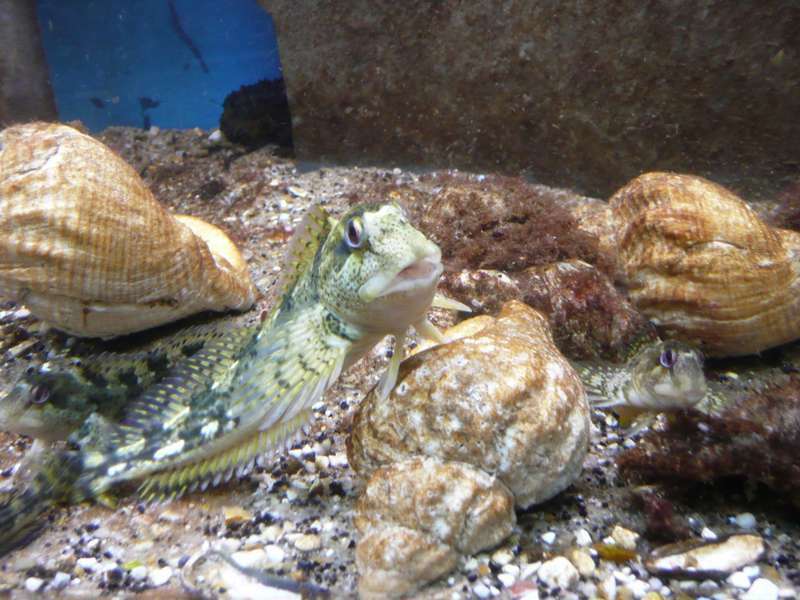 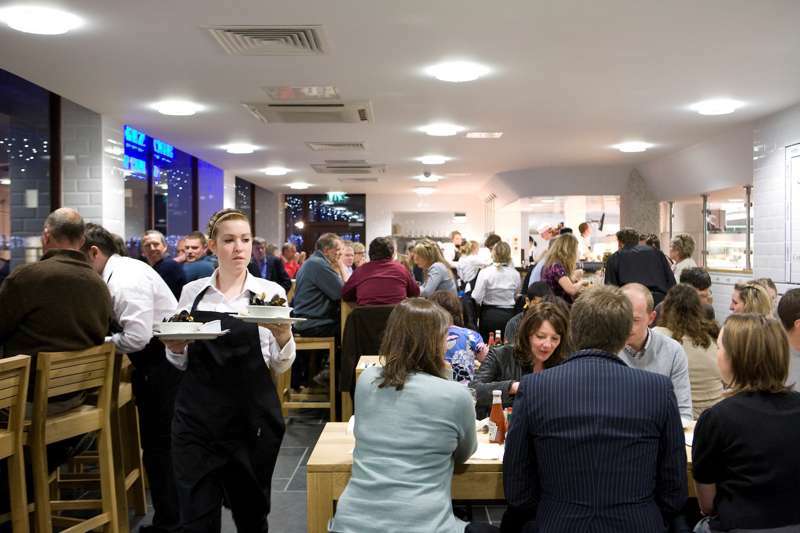 The ever booming tourist industry has given Cornwall a dazzling range of restaurants, often concentrating on seafood. 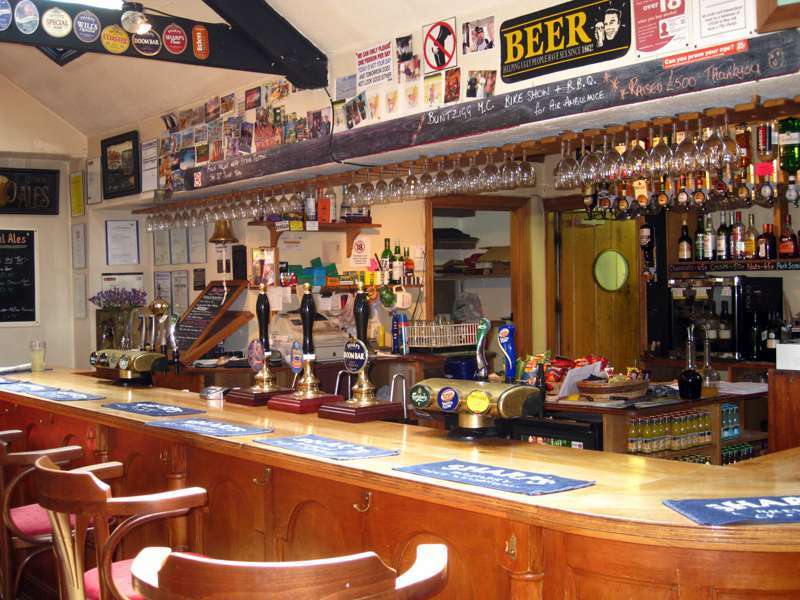 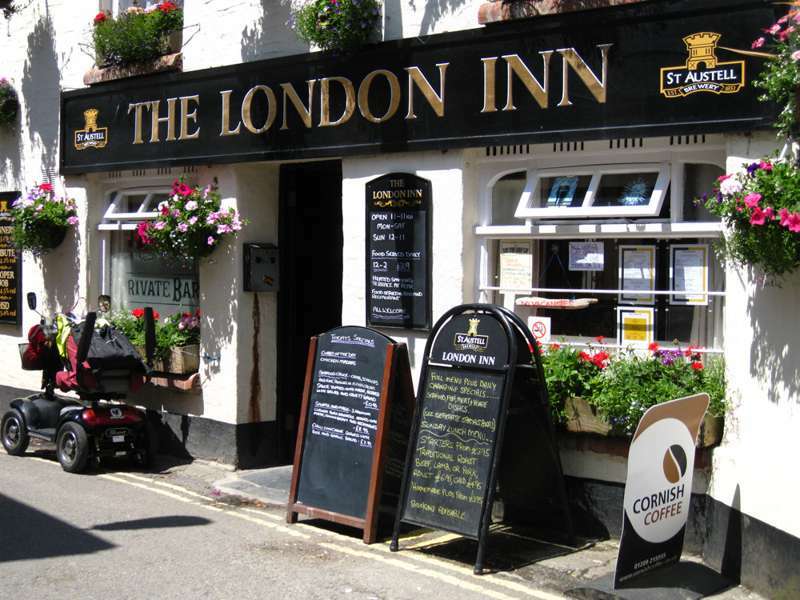 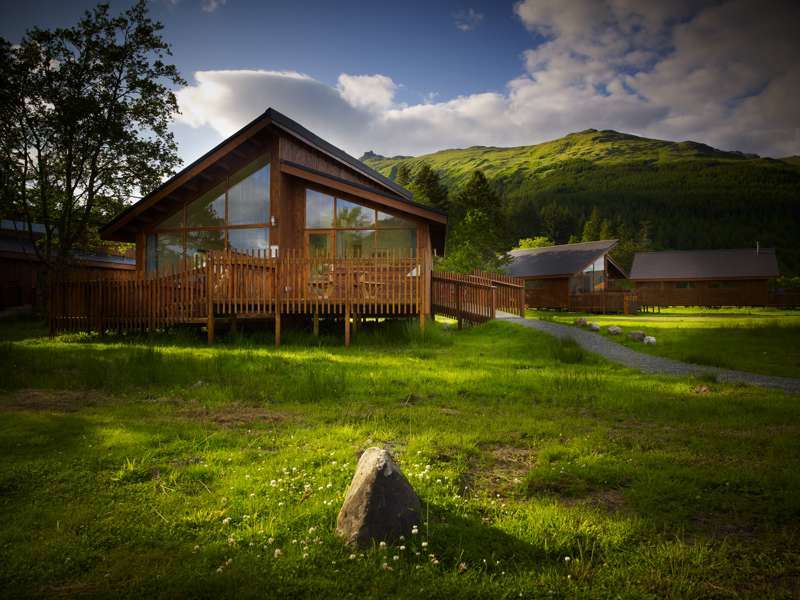 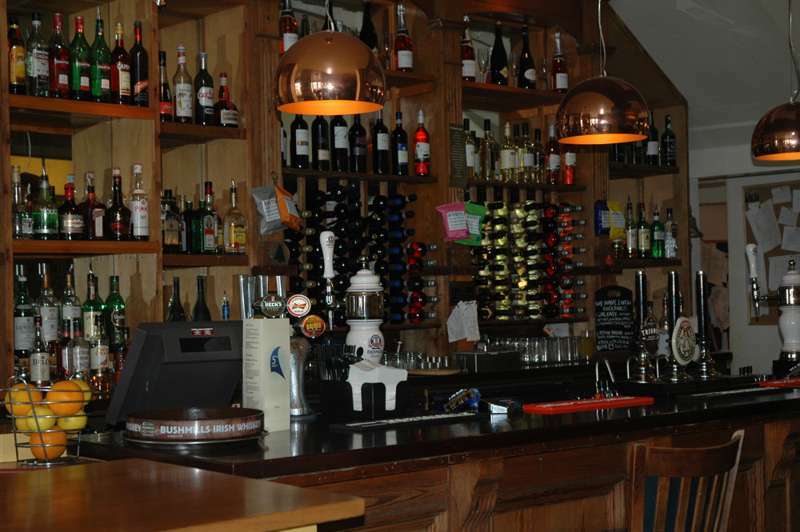 Pubs and Inns are scattered throughout the countryside, offering the traditional meals you'd expect in a cosy setting. 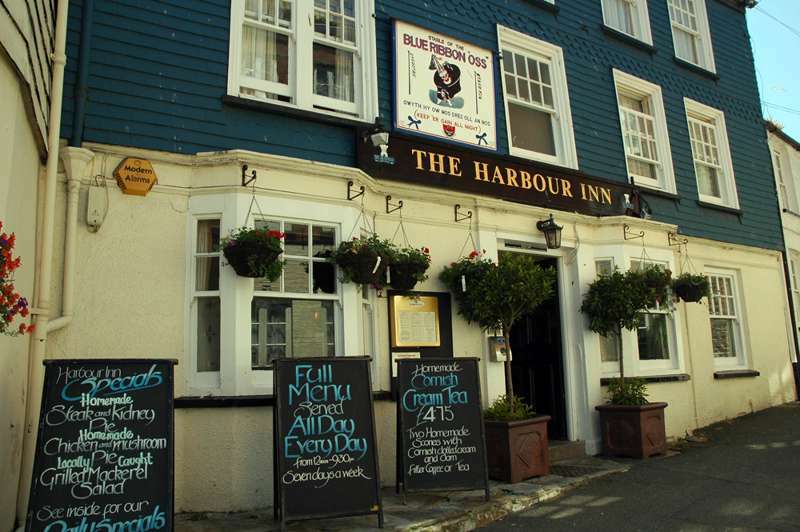 Meanwhile, in the coastal towns, these haunts are supplemented by newer bars and high-end restaurants. 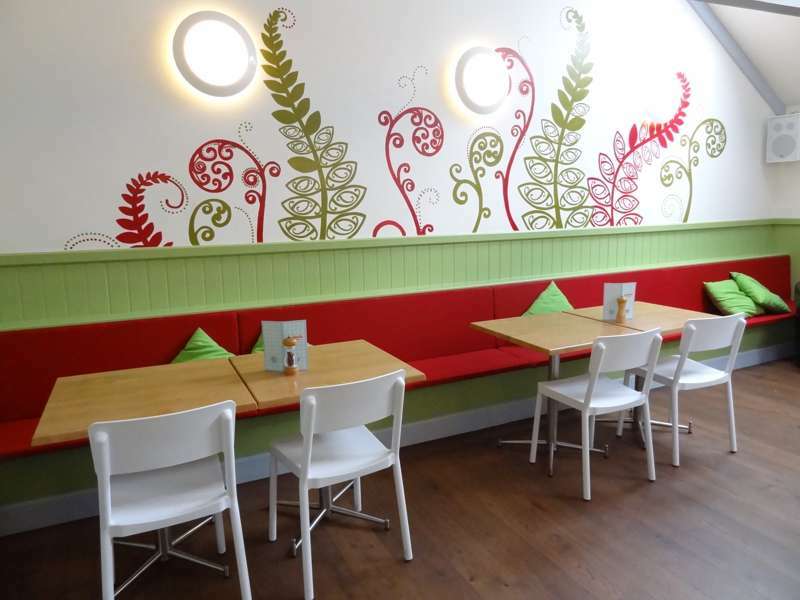 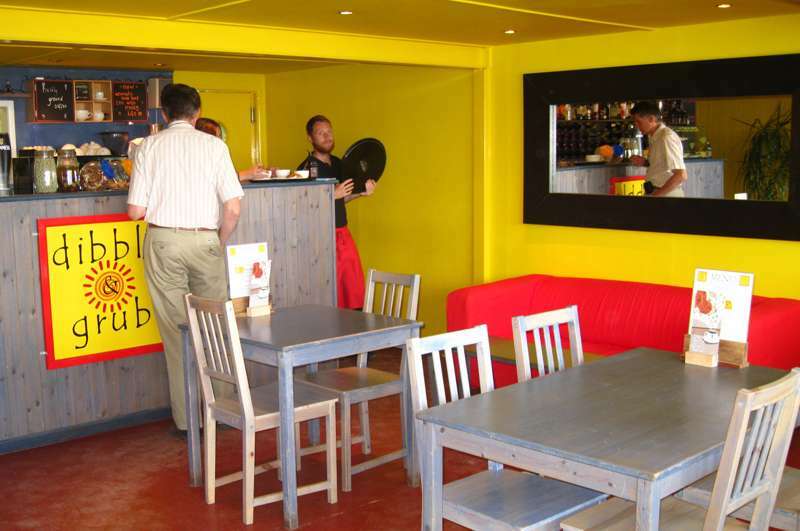 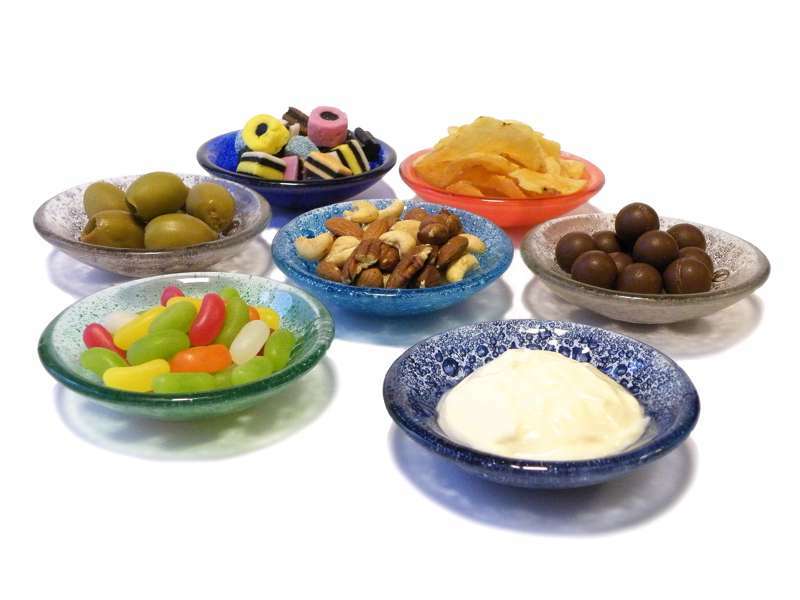 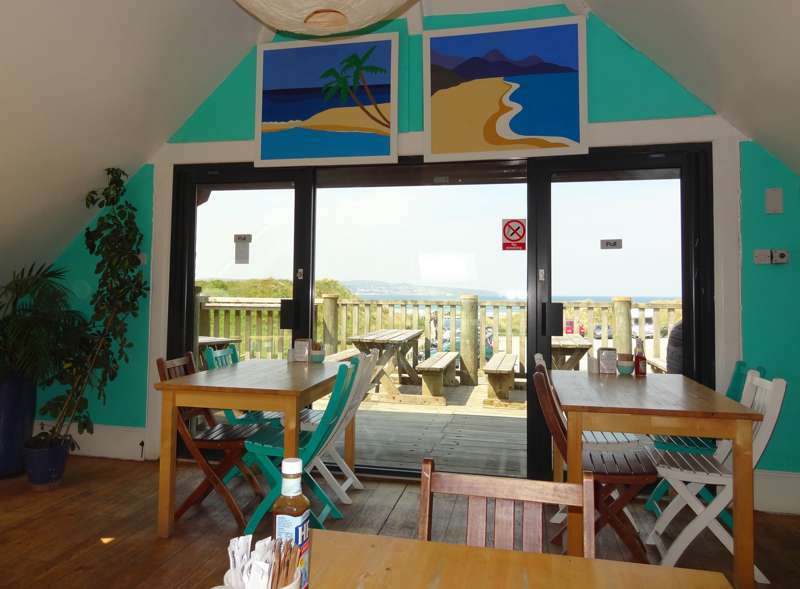 An array of take-away food can also be found for those who want to maximise their time relaxing on the beaches or are on the hop between attractions. 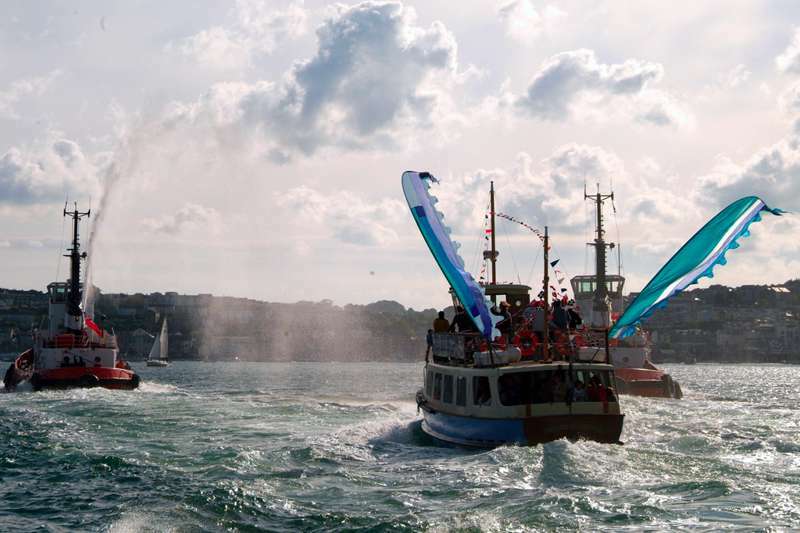 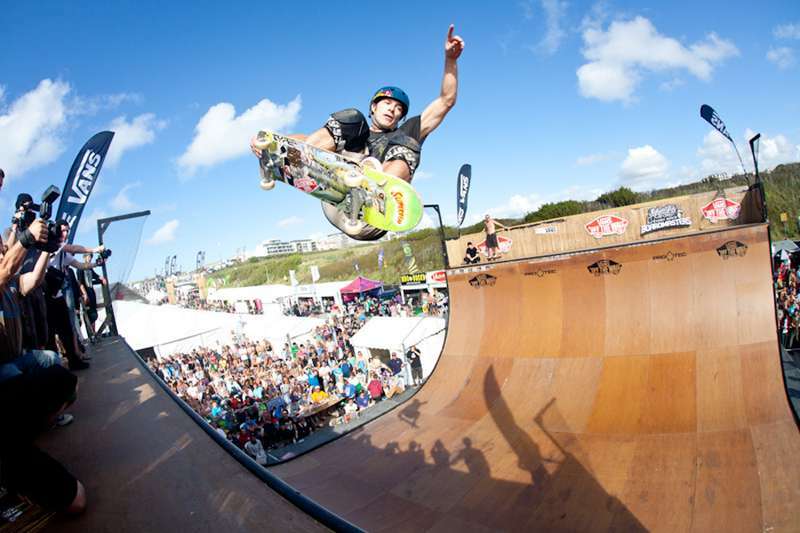 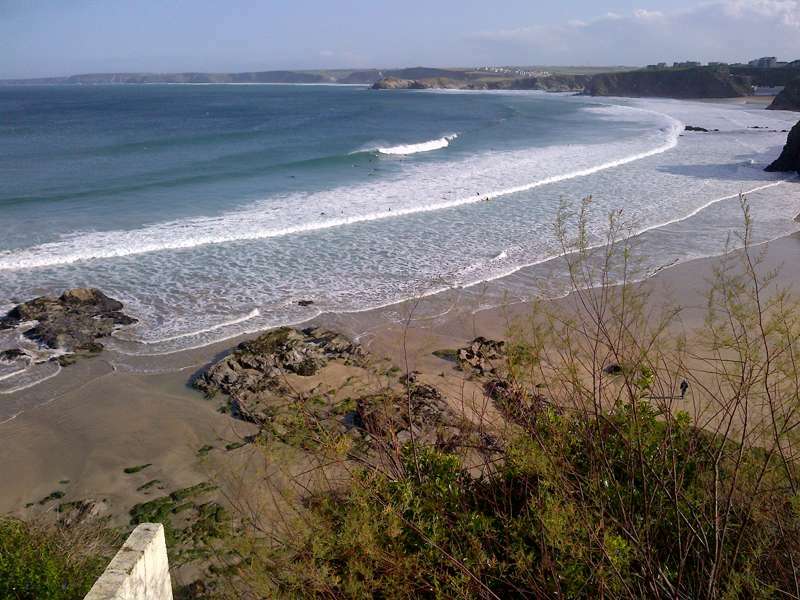 When it comes to clubs and nightlife, Newquay, on the north coast, is the most famous location, drawing in crowds from around the country at the weekends. 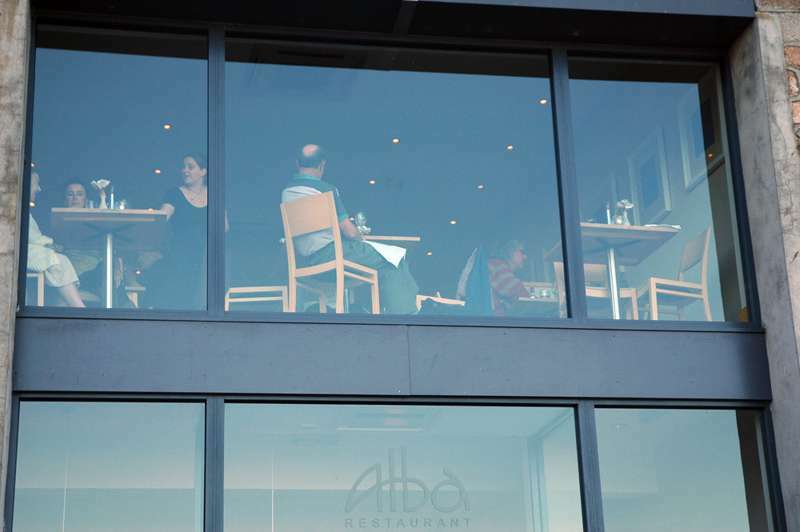 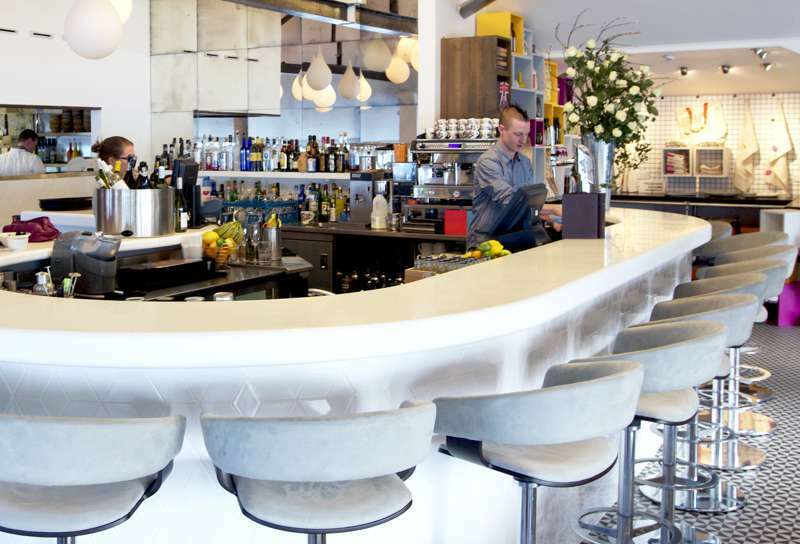 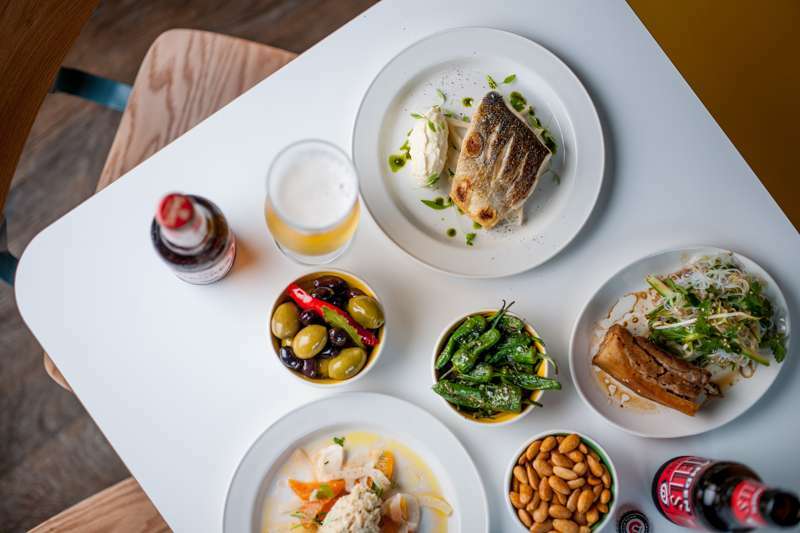 In the summer it can be a little overwhelmed, but the raucous nightlife should not detract from the good food and range of cuisines that are on offer each day. 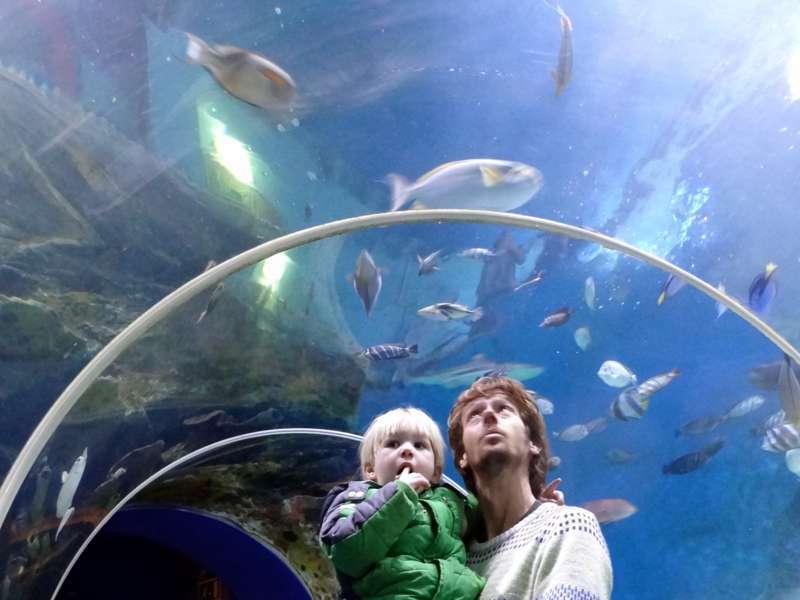 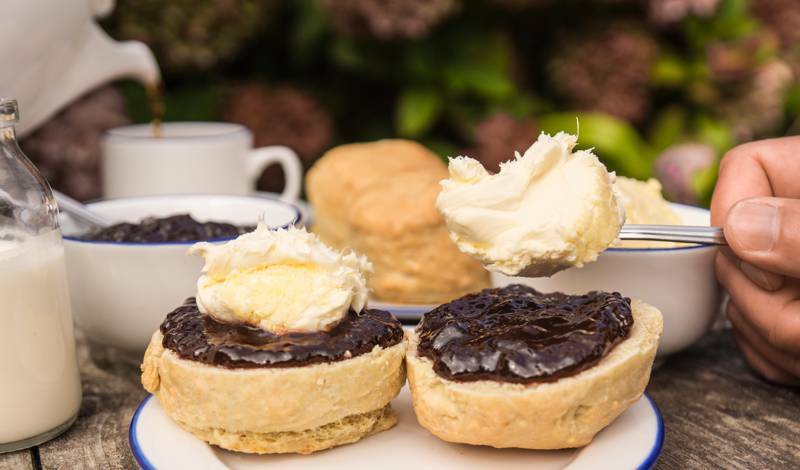 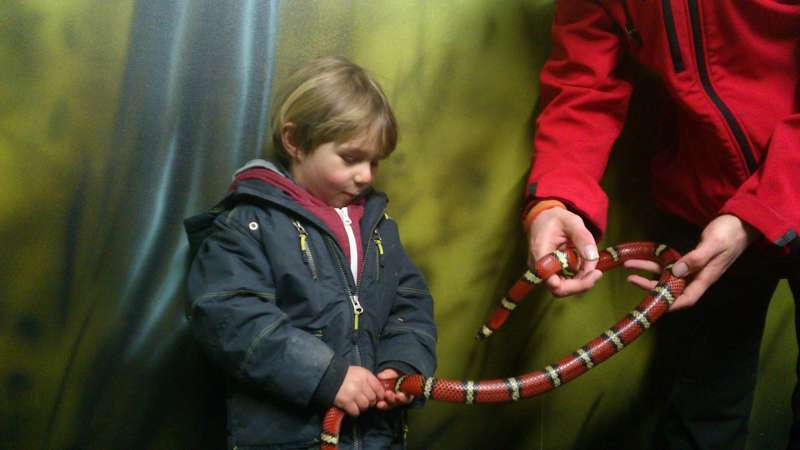 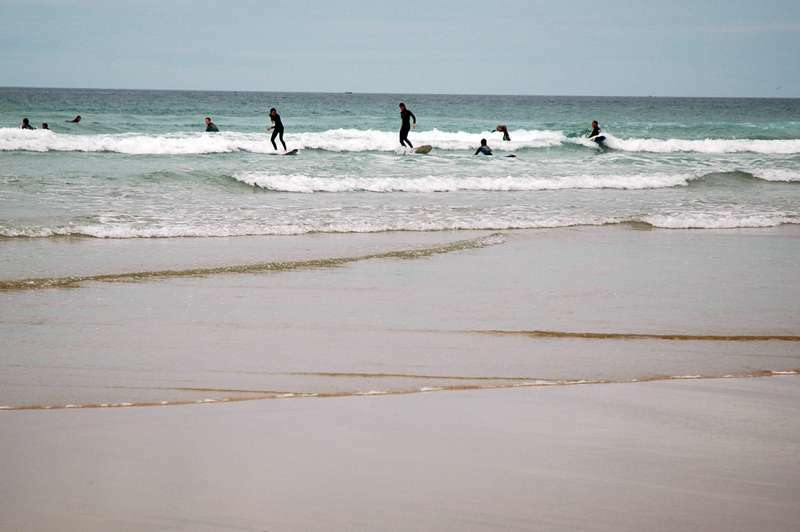 In all, Cornwall has something for everyone and for every taste. 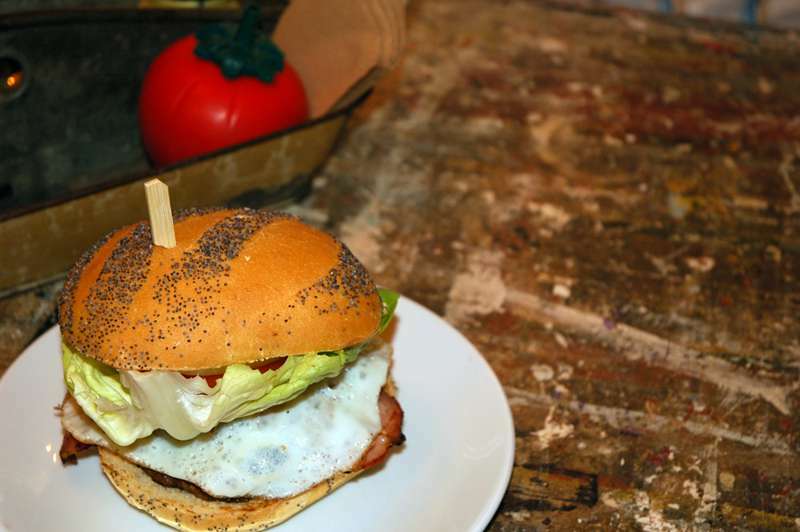 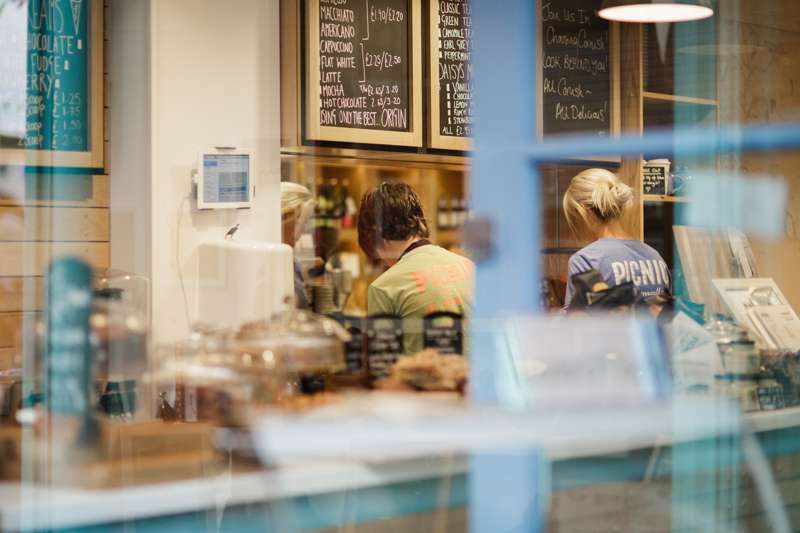 Passionate about good food, and the environment, Blas has set a new precedent for burger bars. 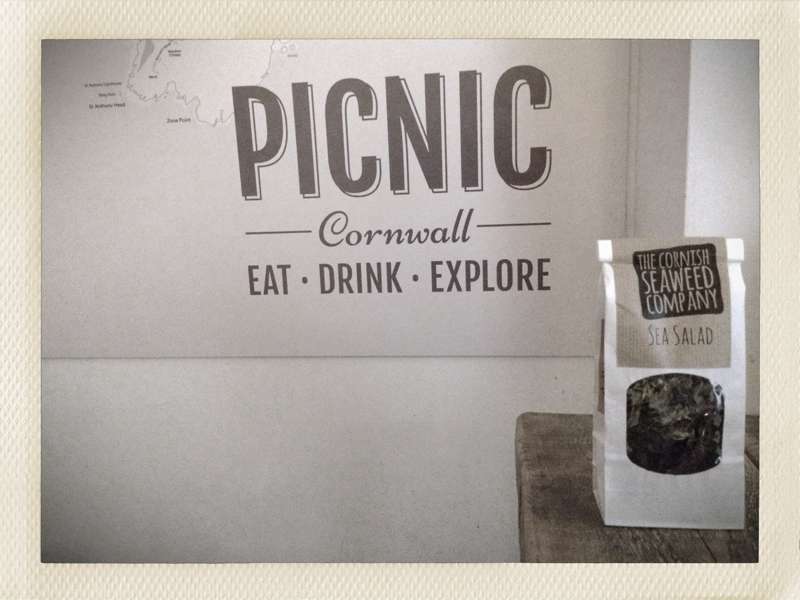 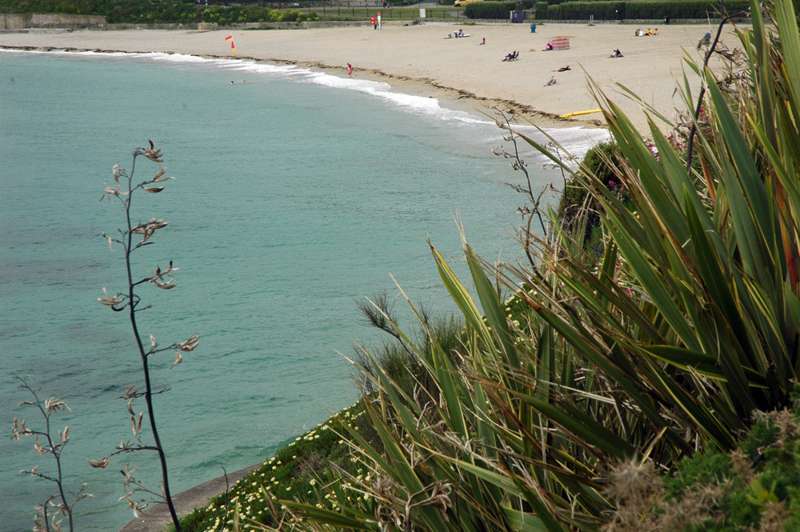 Cornish deli that delivers picnic hampers to local beaches and beauty spots around Falmouth. 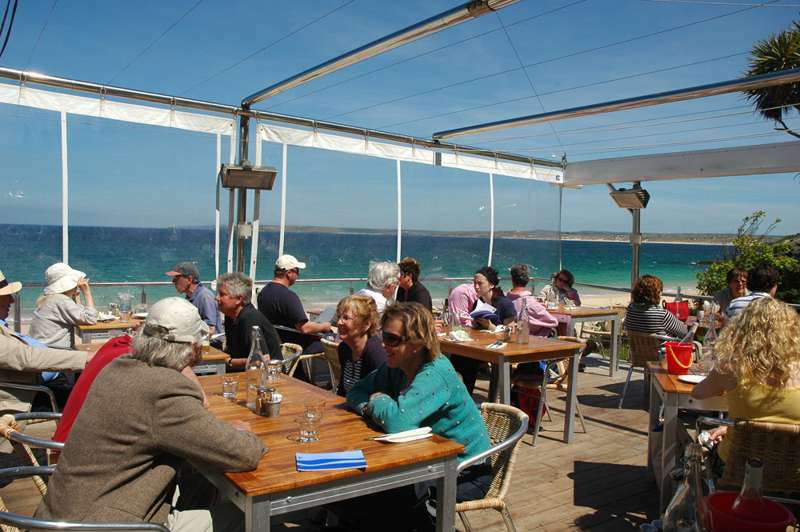 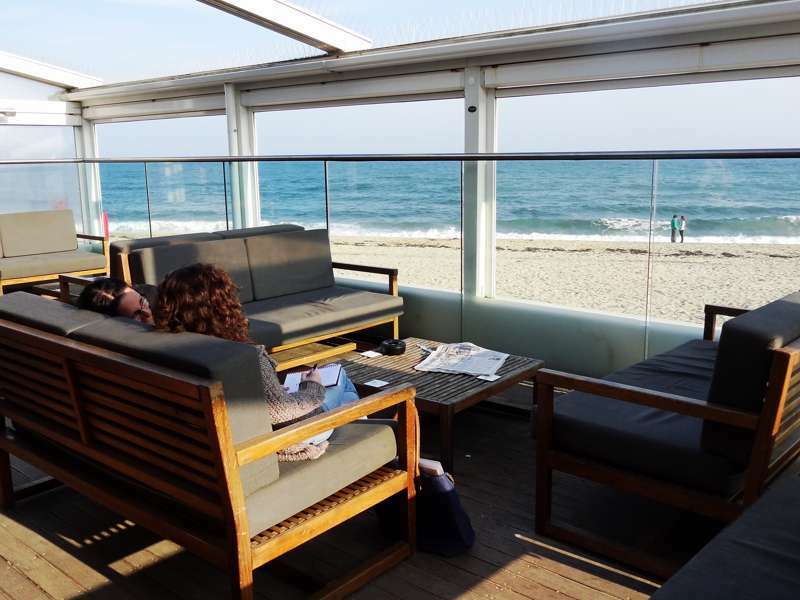 It’s not just the bang-on-the-beach location that’s earned this place its reputation – the food is outstanding. 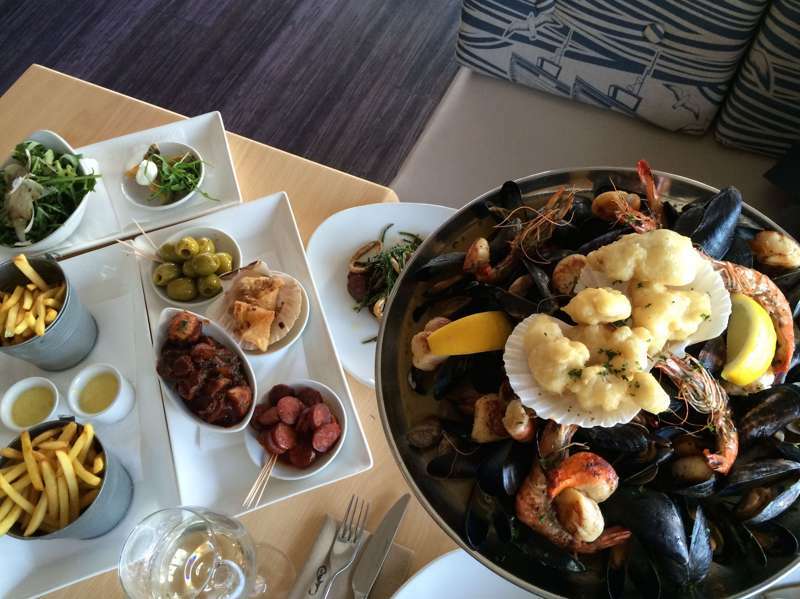 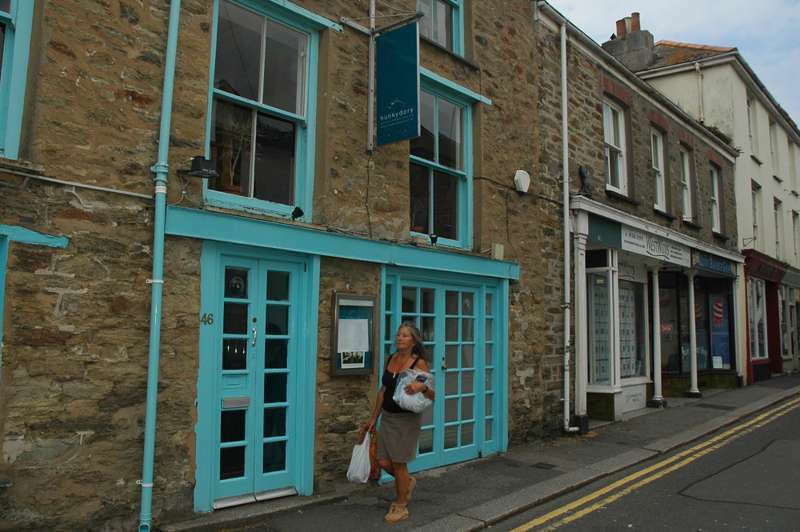 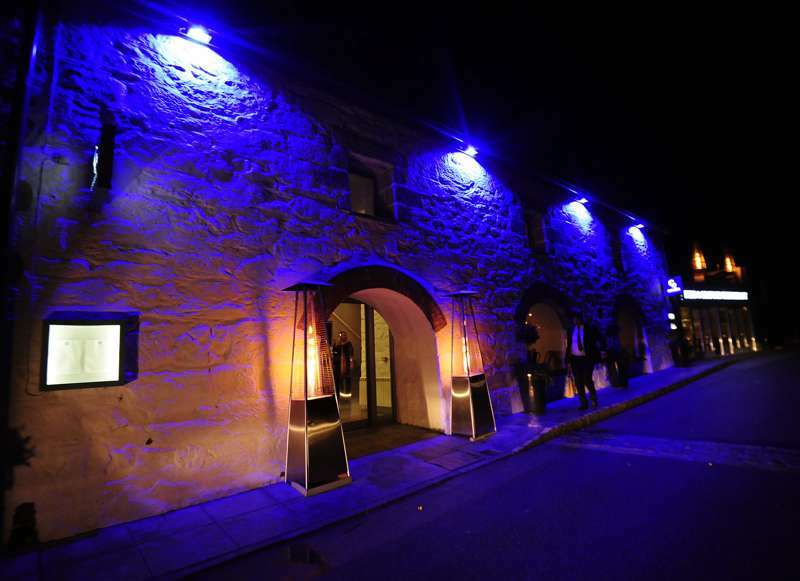 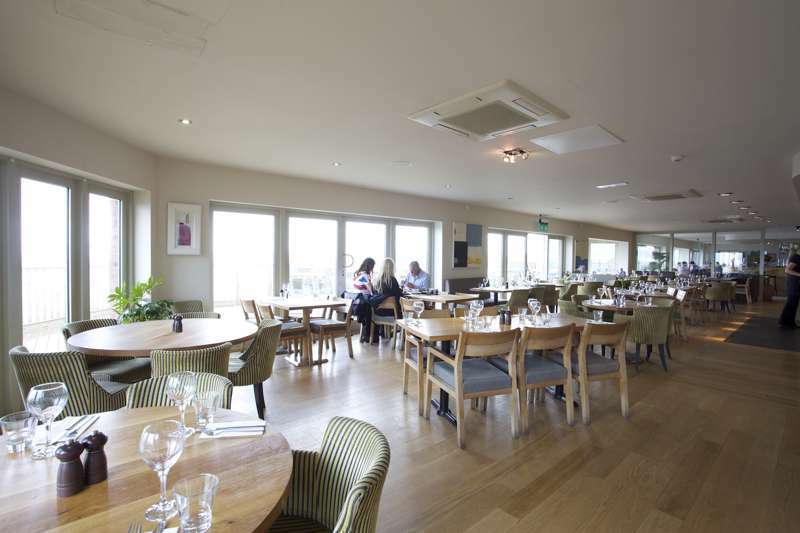 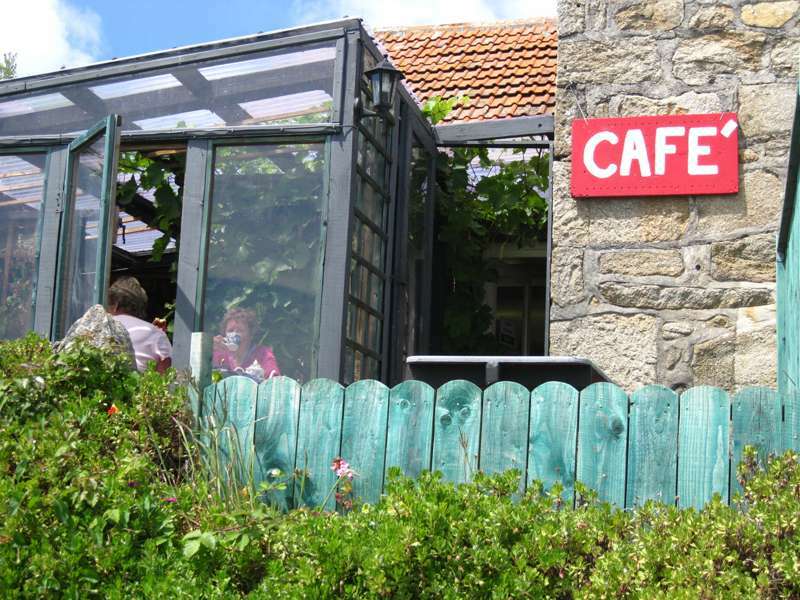 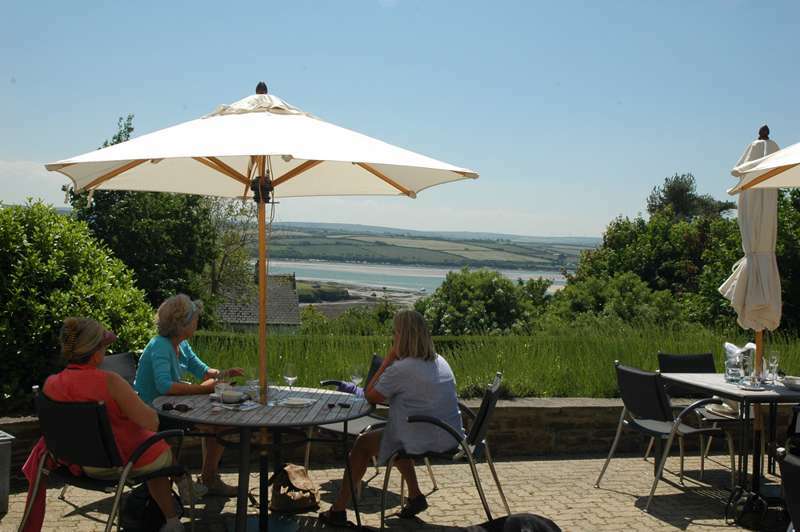 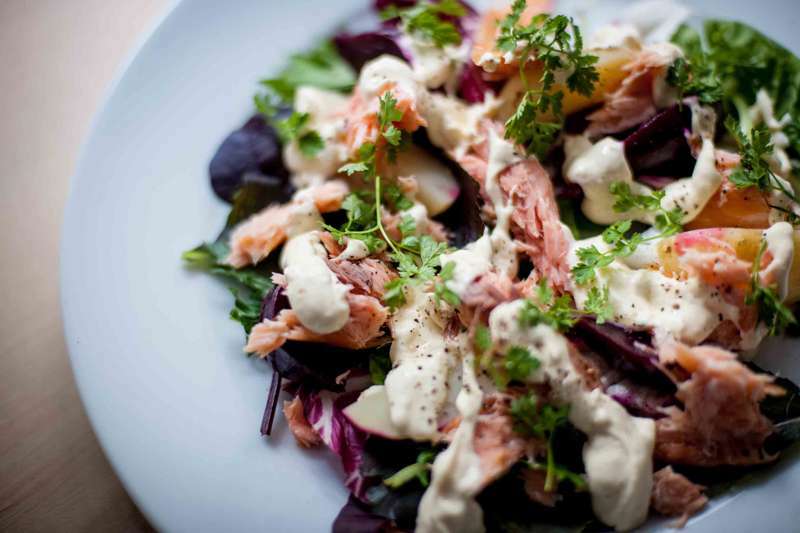 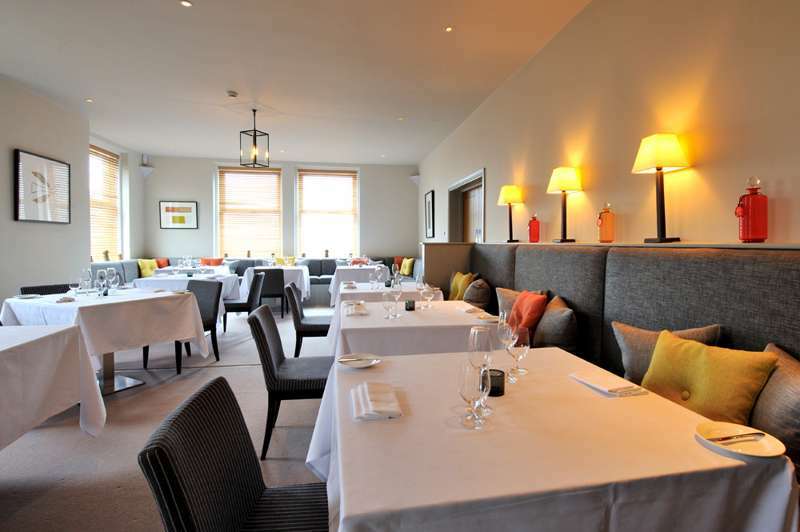 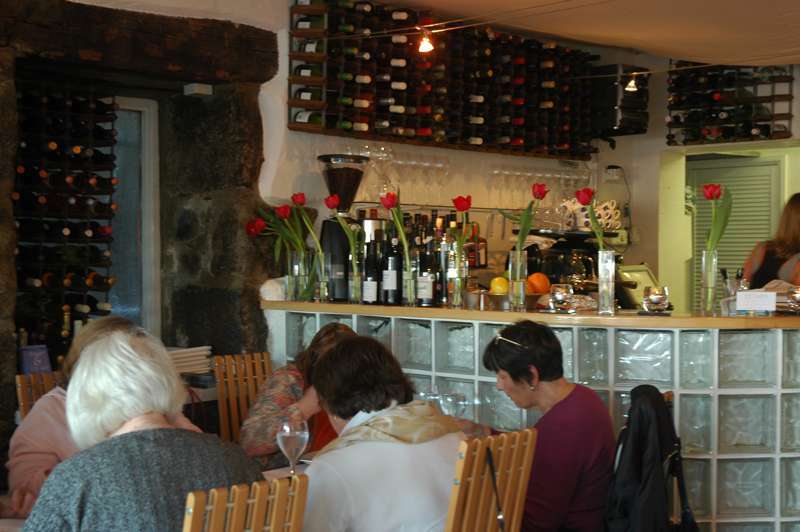 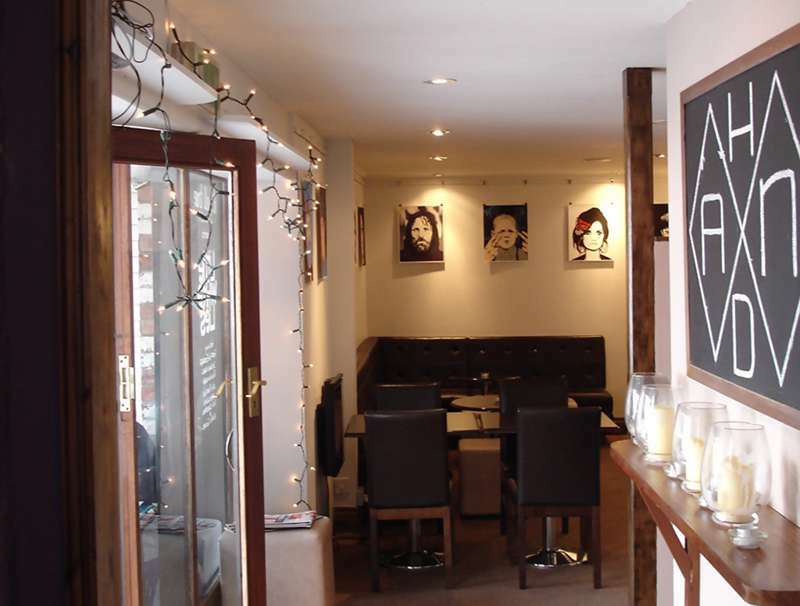 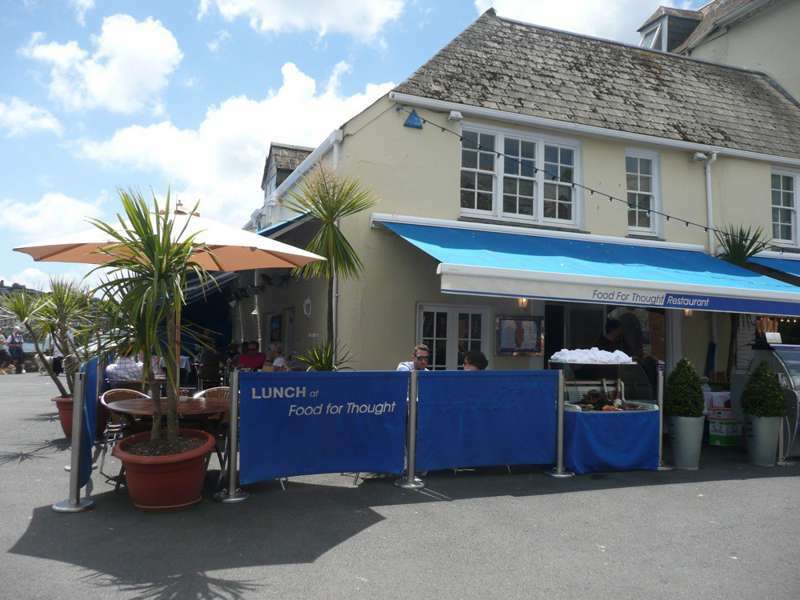 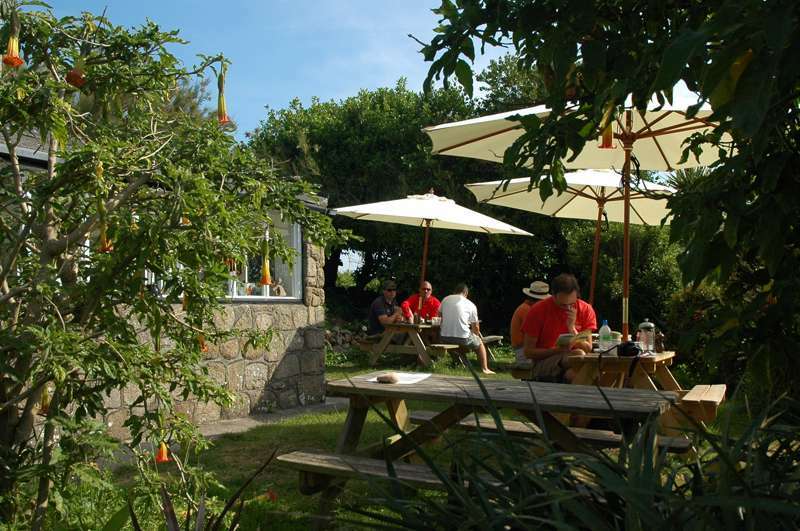 The relaxed restaurant of the Old Quay House Hotel serves a fab menu based on local ingredients. 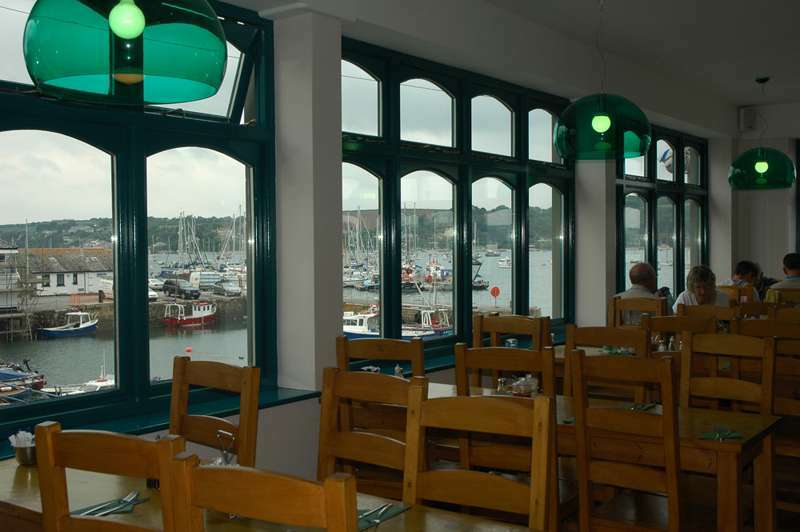 Stein-calibre fish and seafood in Falmouth. 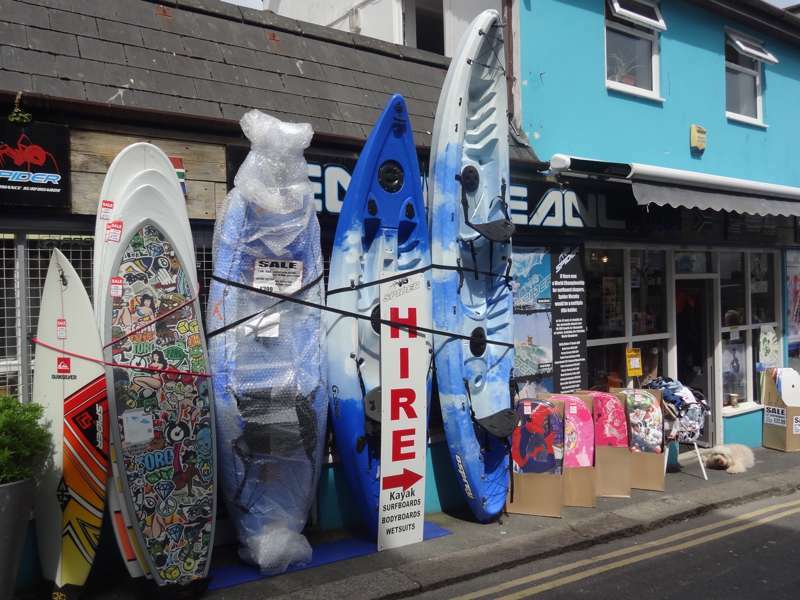 On the Cornwall coast you find the inevitable mix of local goods combined with tourist memorabilia and every item of beach-ware you could possibly need. 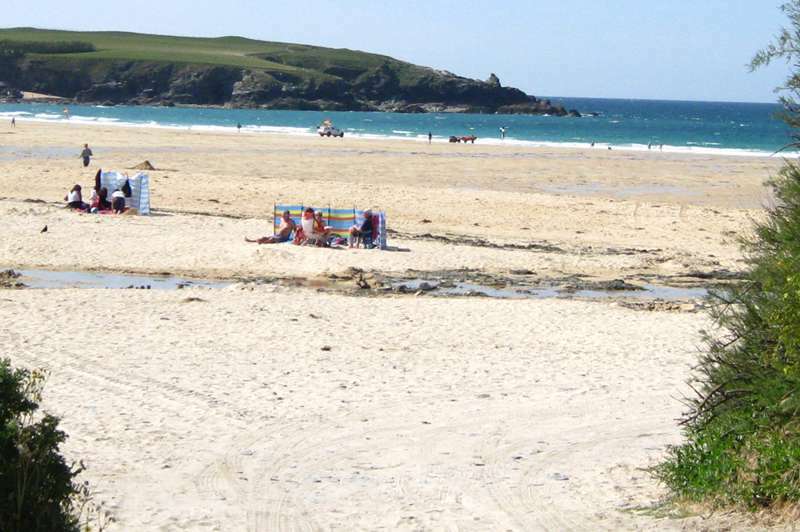 If you're looking for a bucket and spade you won't struggle, but for a full weekend of retail therapy, Cornwall is not exactly the worlds leading destination. 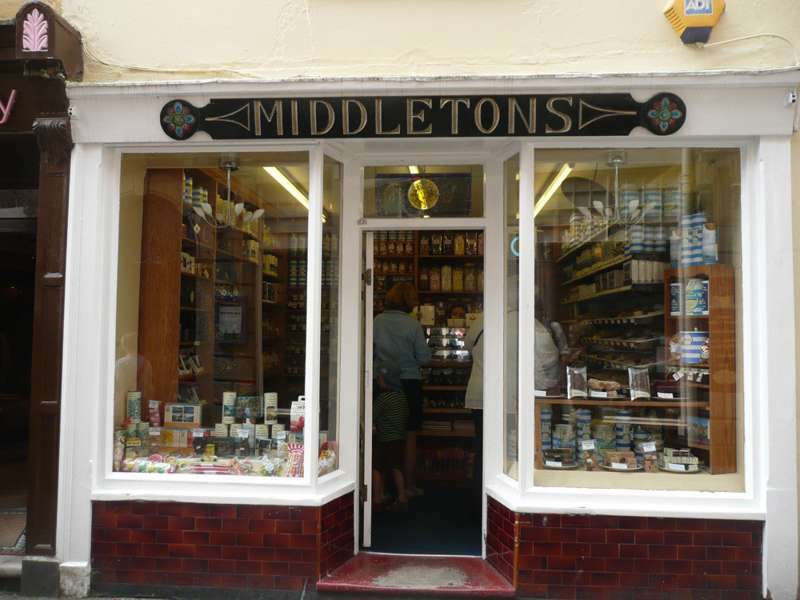 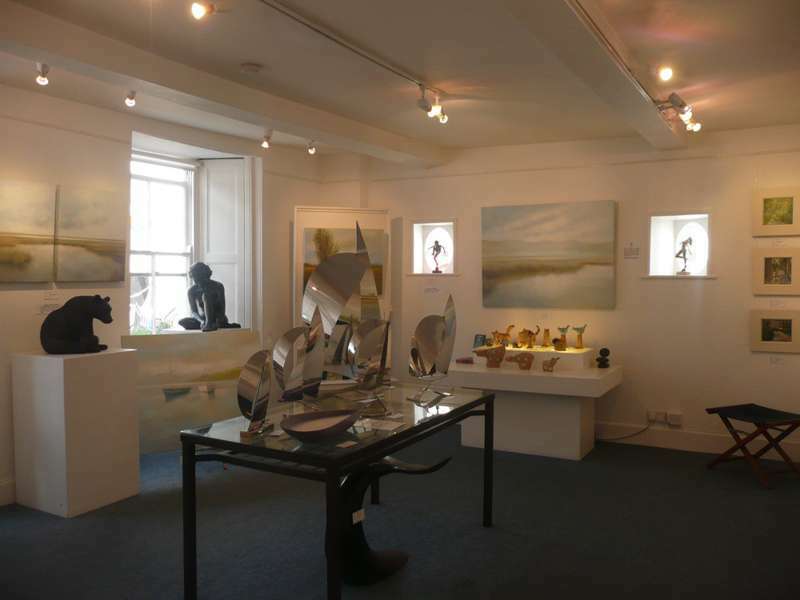 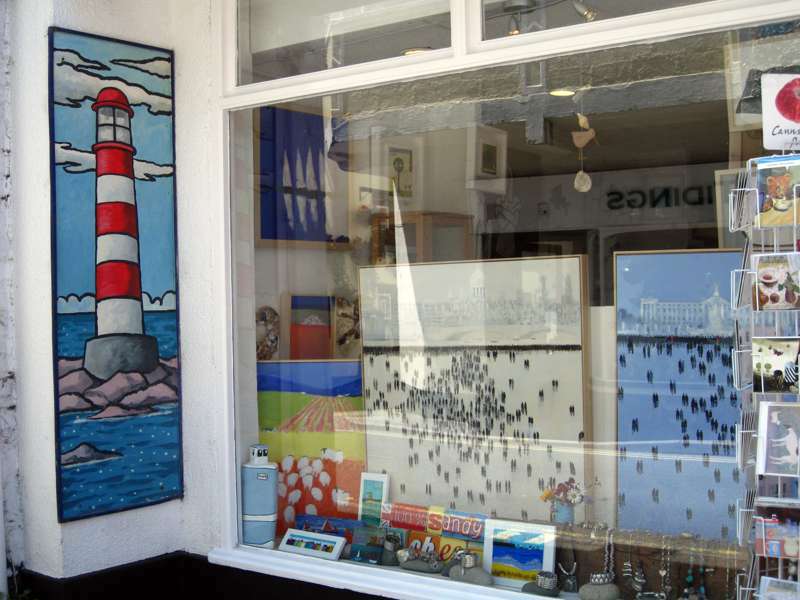 That said, when you look around, there are some good boutiques and galleries and the small towns draw in high-end independent shops, rather than commercial, high-street giants. 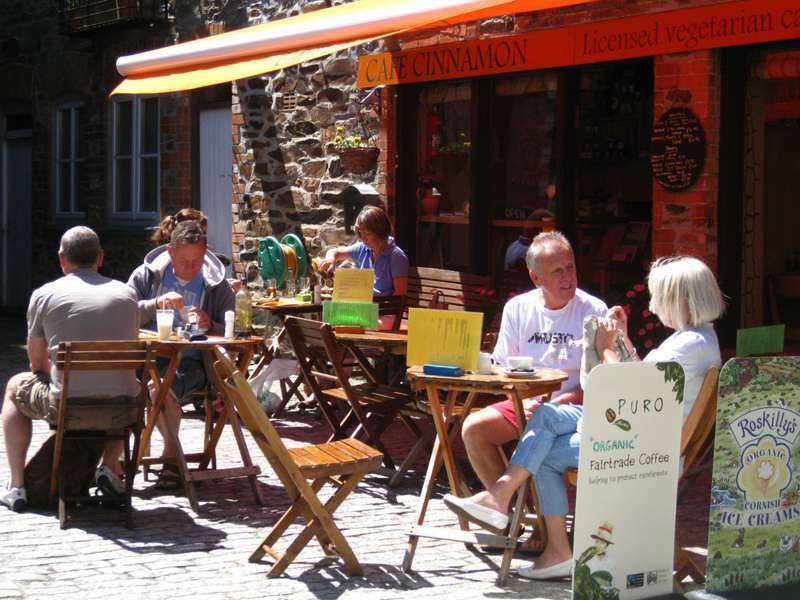 The result is quaint stores ideal for browsing and you'll find the time flying by as you wander around in the relaxed atmosphere that these settlements provide. 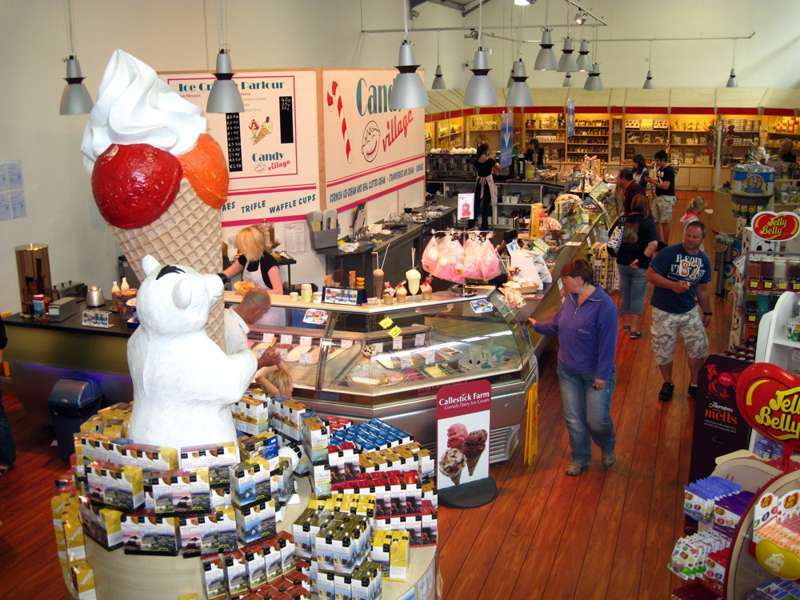 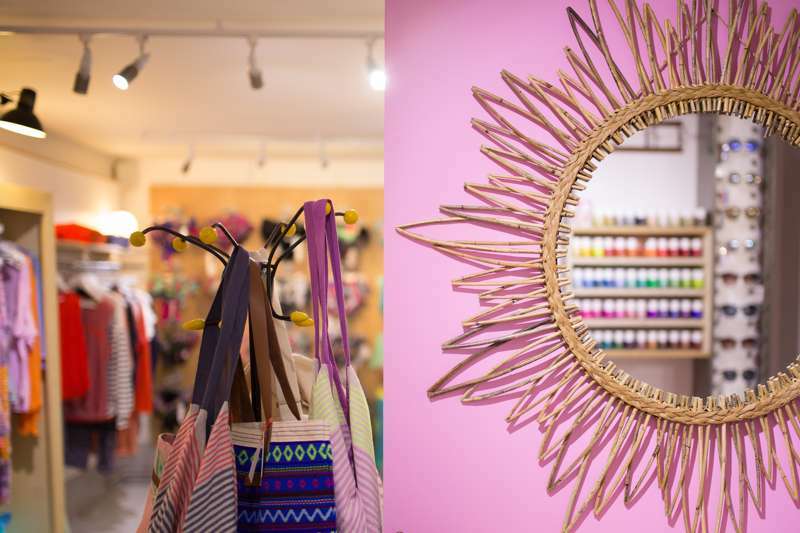 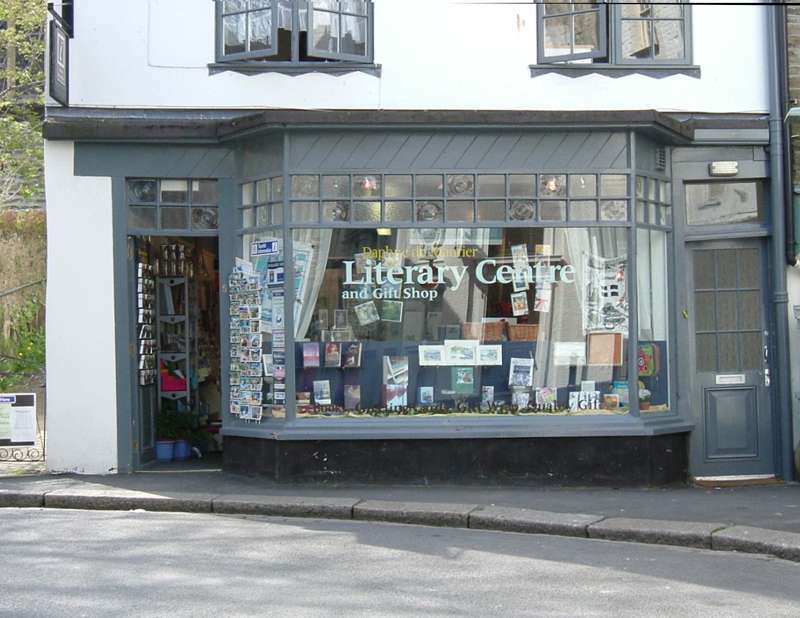 Many places are specialist stores that offer something unique and well crafted, so if there is something very particular you need, this might be the place to search it out. 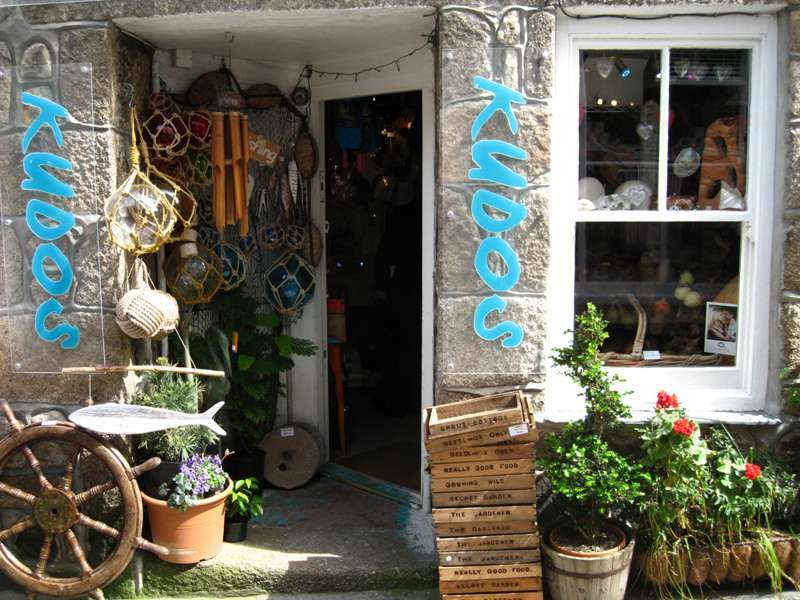 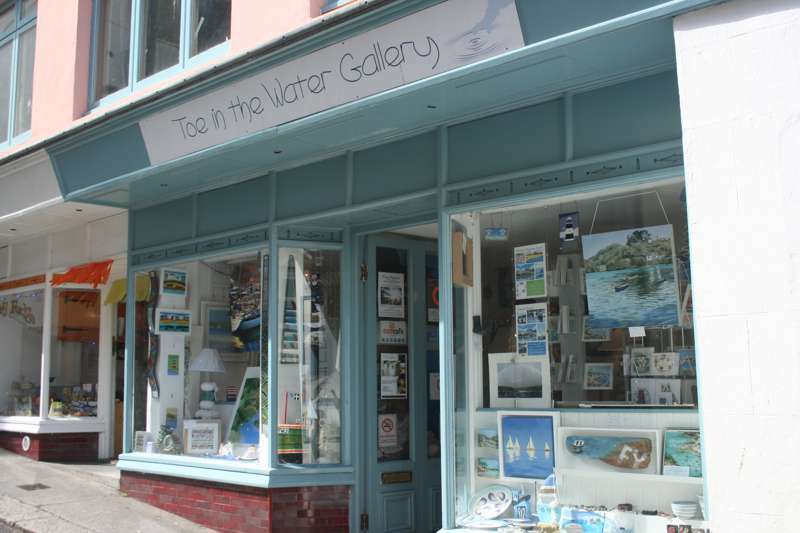 For quality without the glare of big-name stores, Cornwall is a good spot, just make sure you don't waste all your time in the cheap beach-hut shops. 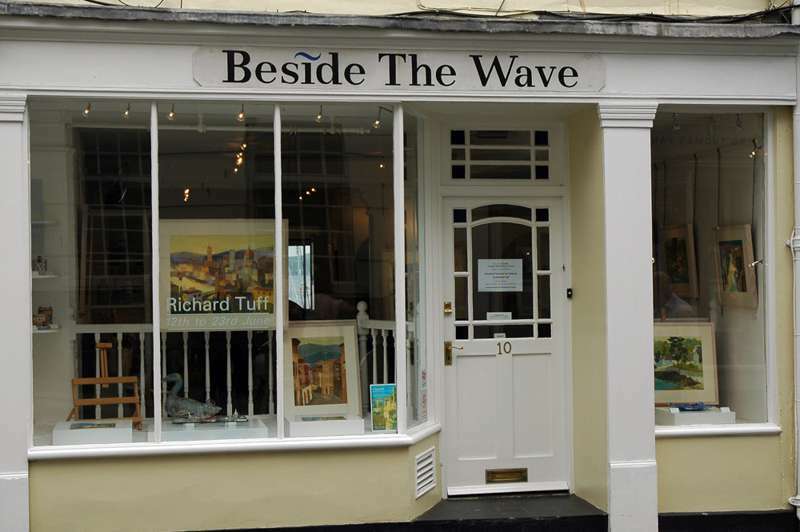 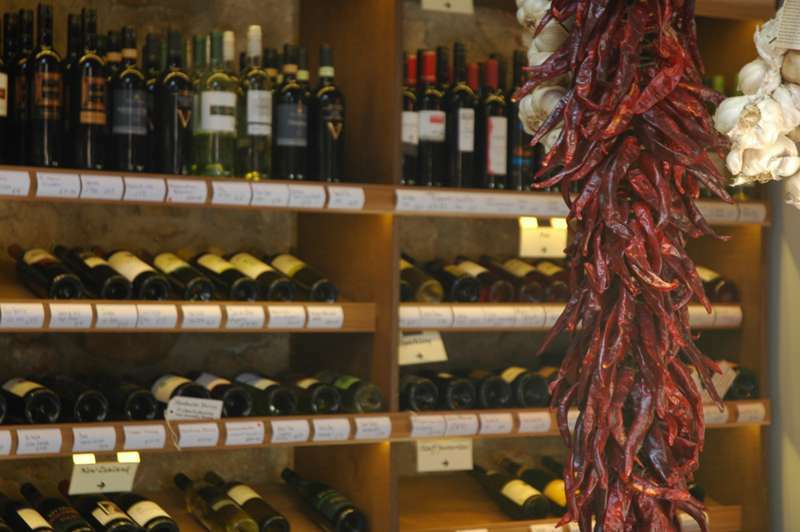 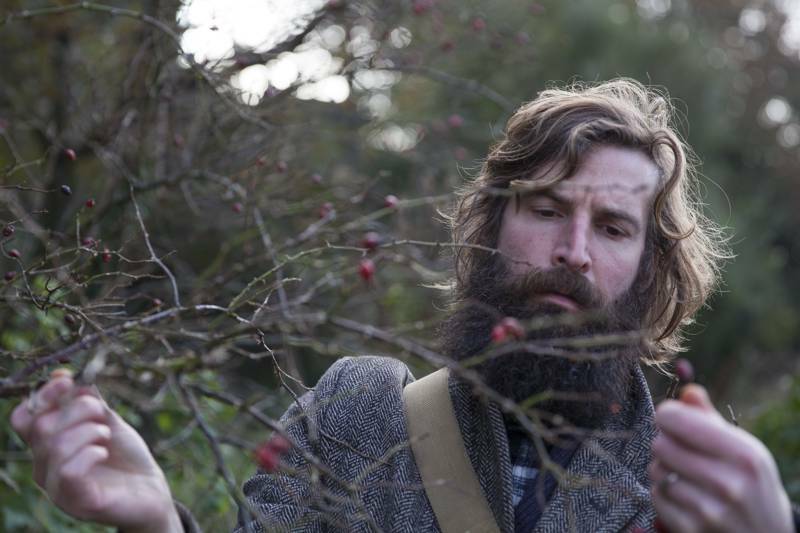 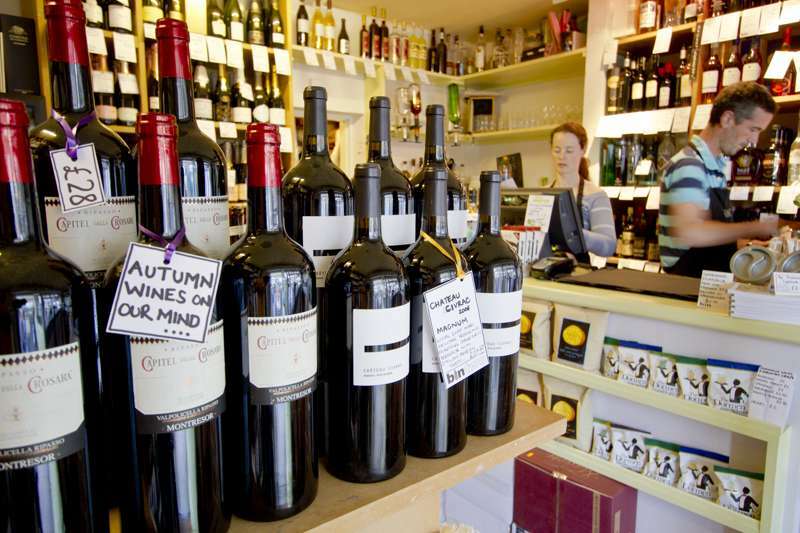 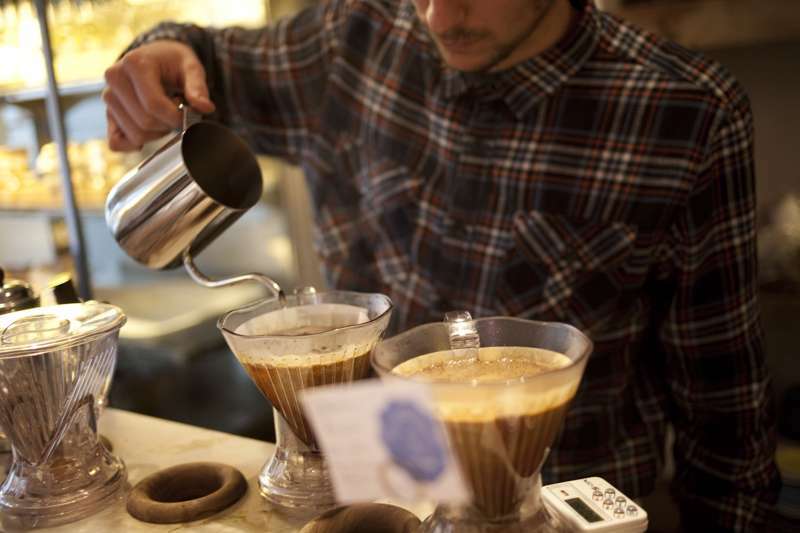 If you want to get your hands on something rare and unusual this is the shop to head for. 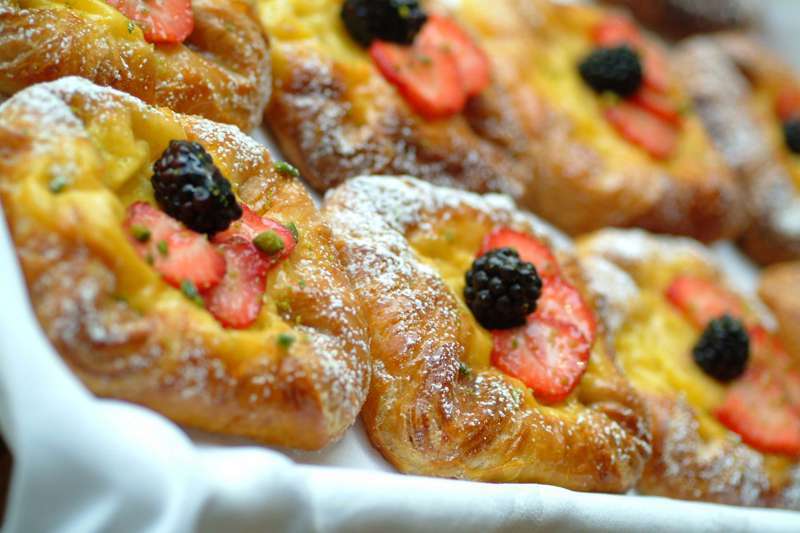 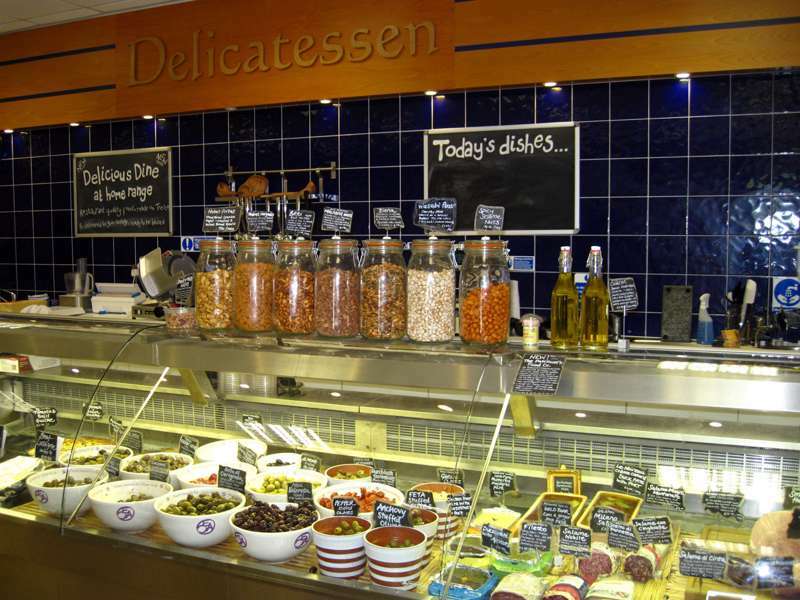 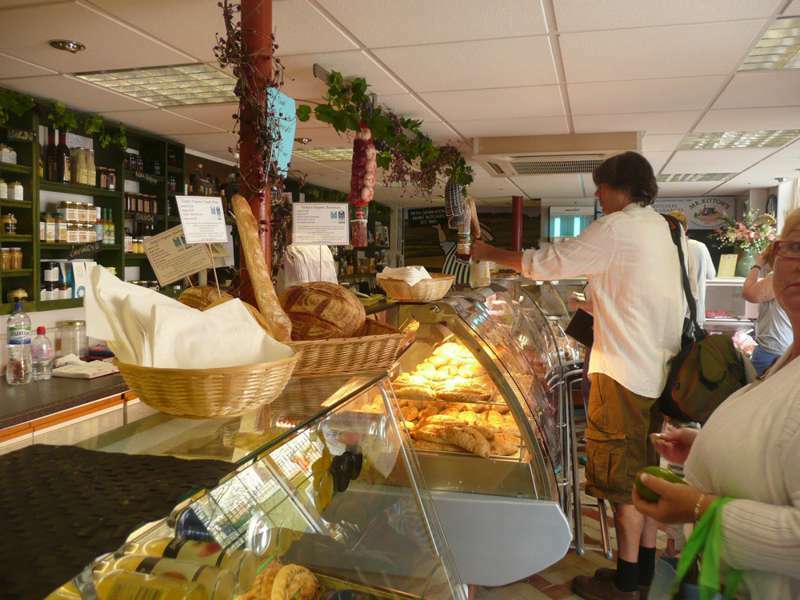 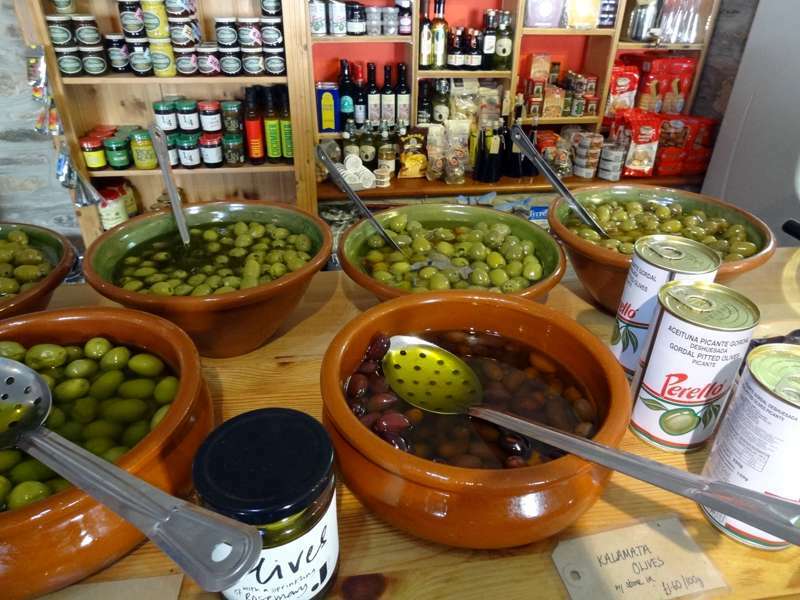 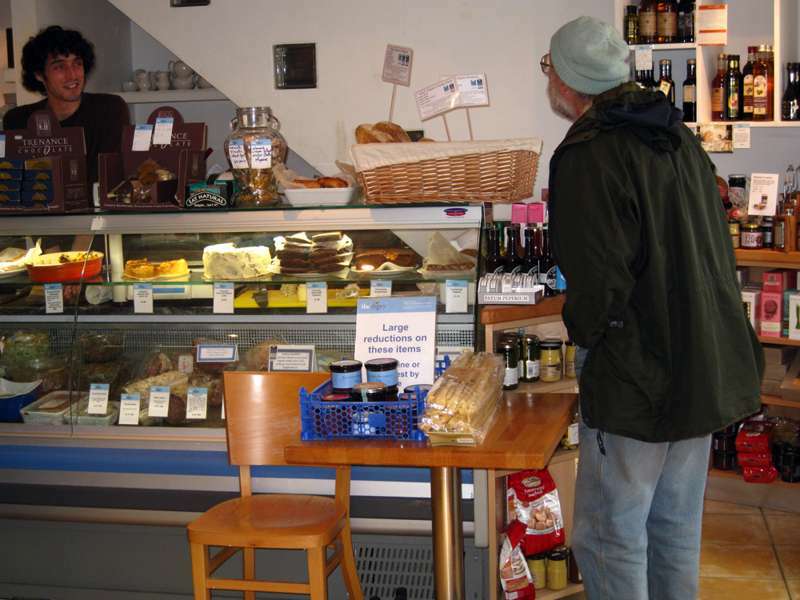 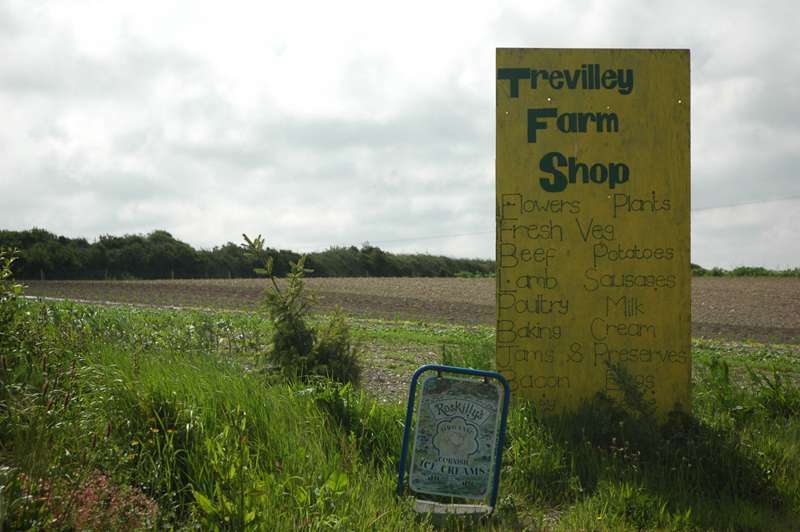 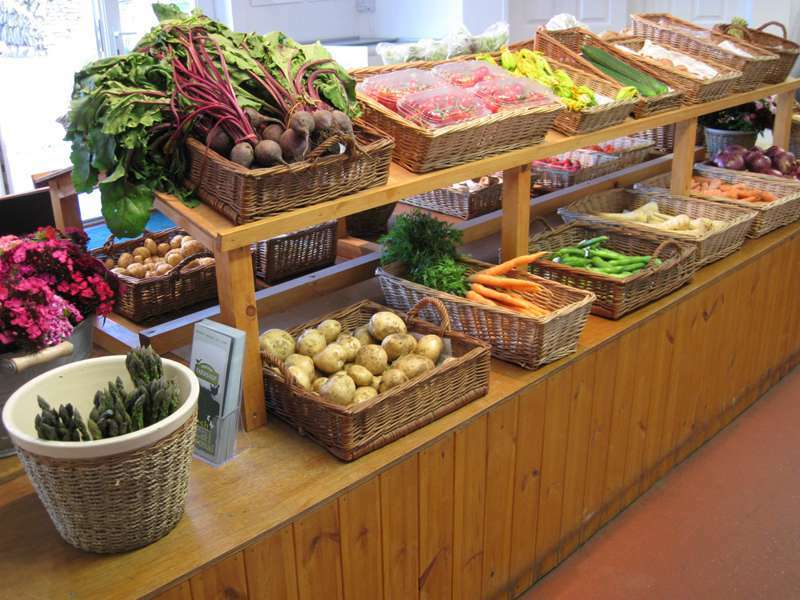 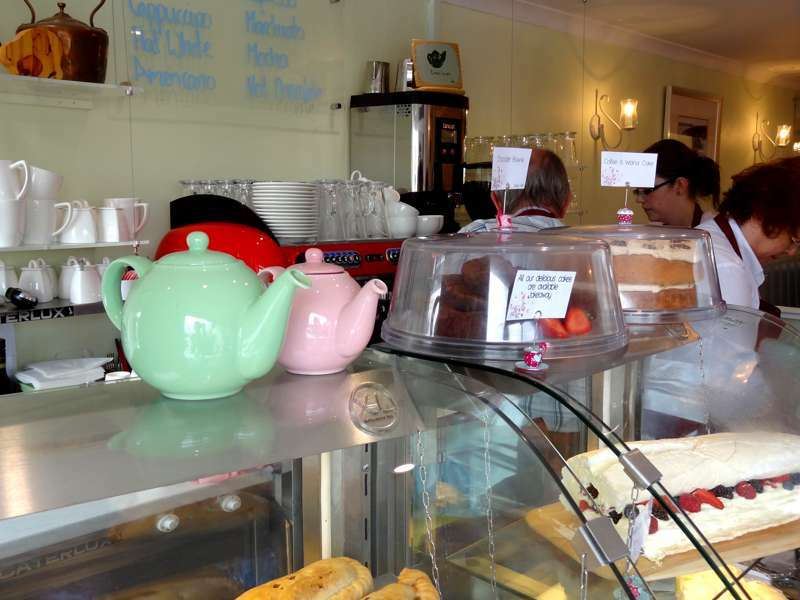 A fantastic local deli selling fresh local produce, homemade pies and pastries. 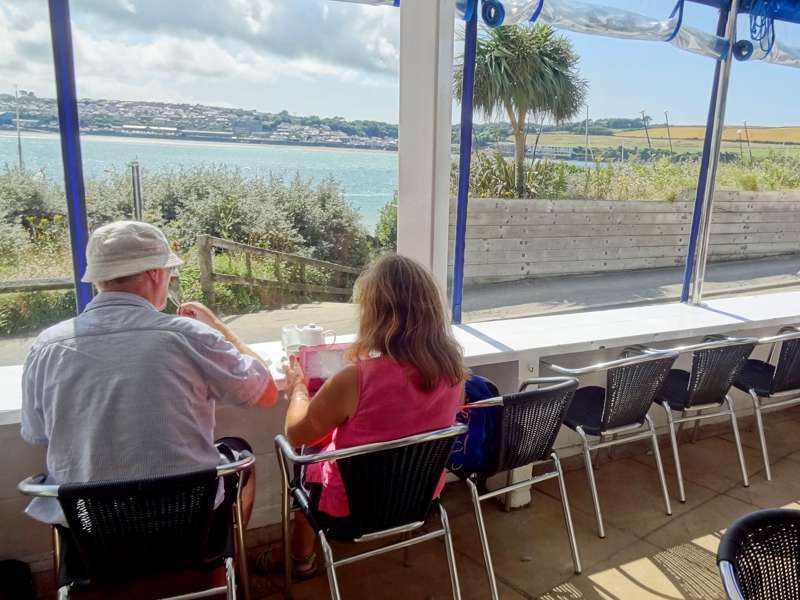 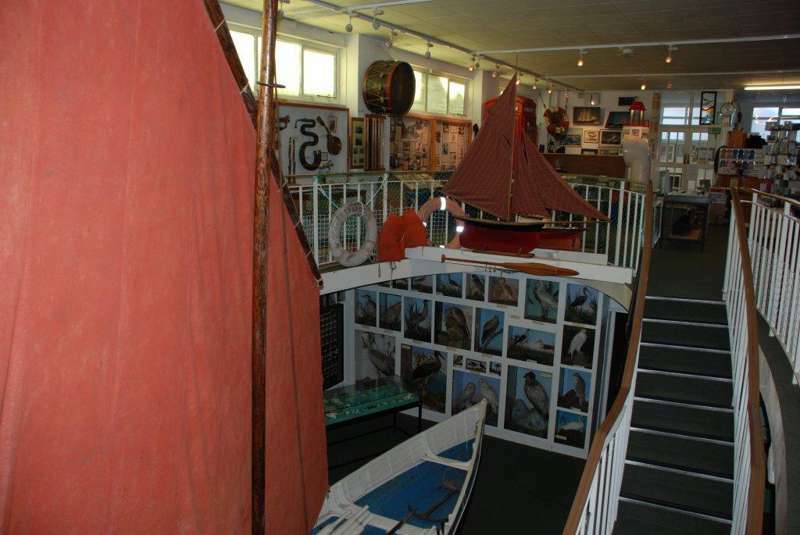 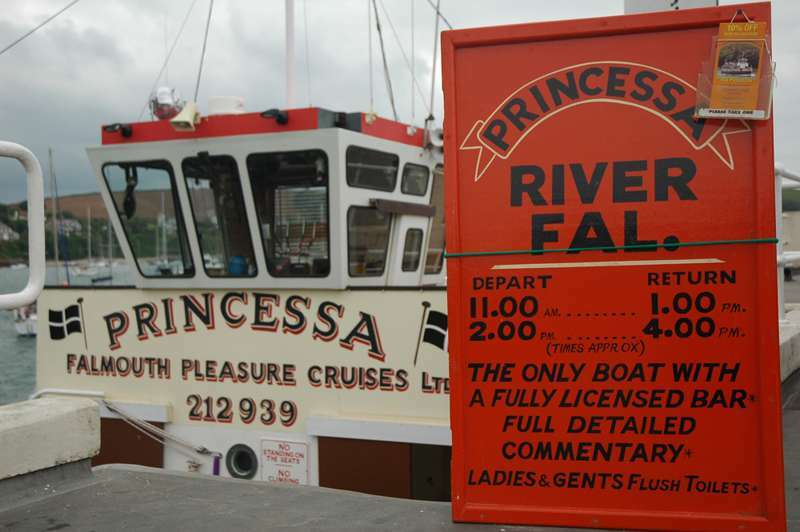 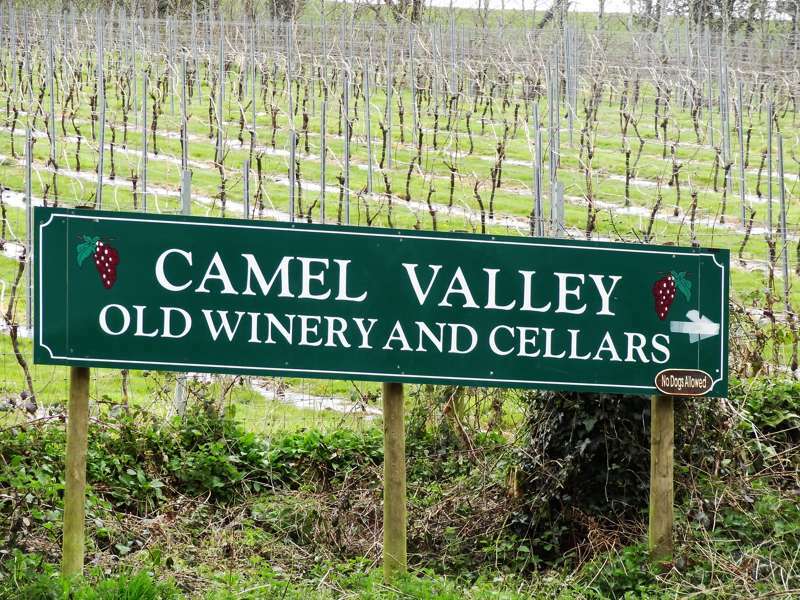 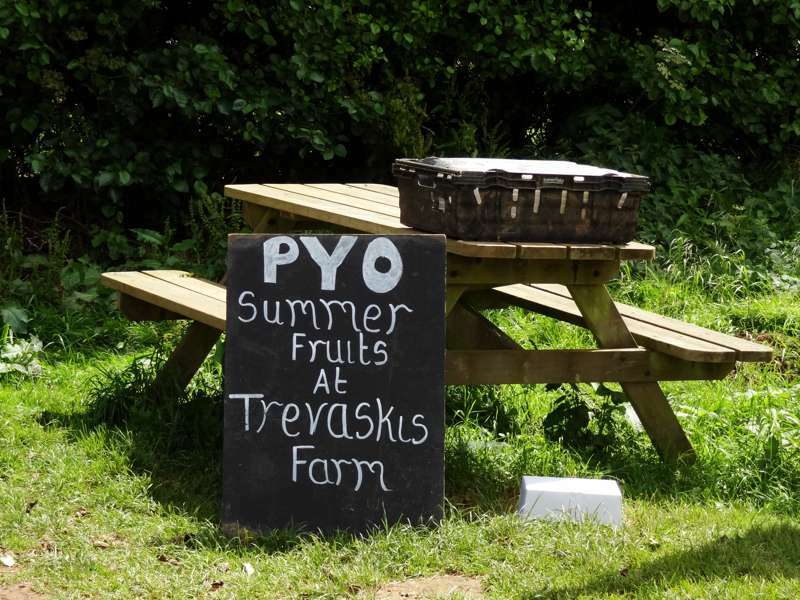 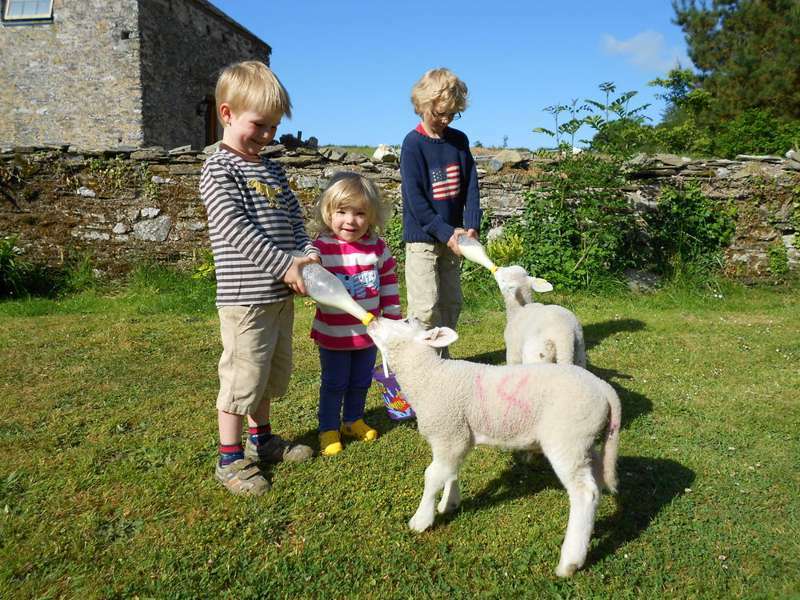 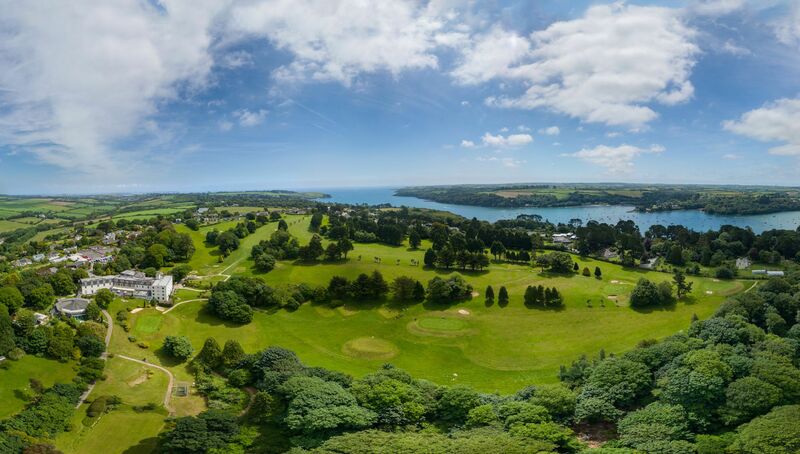 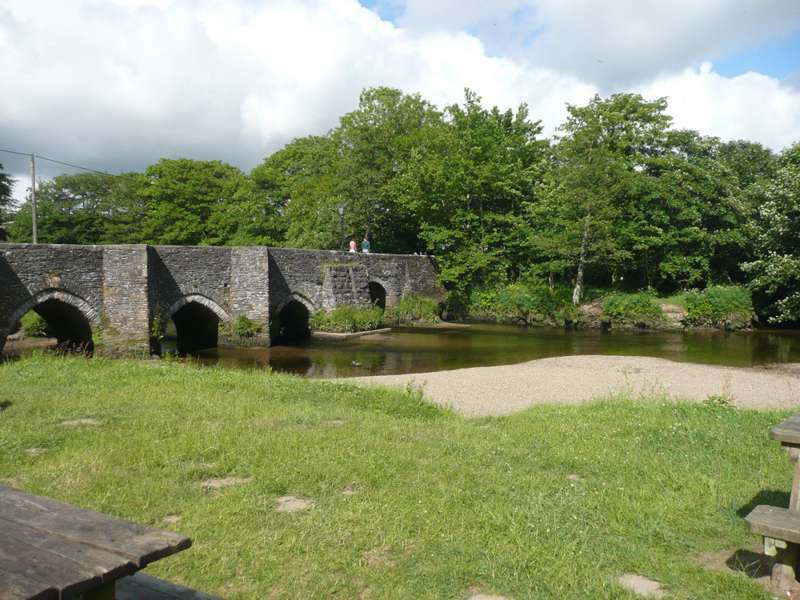 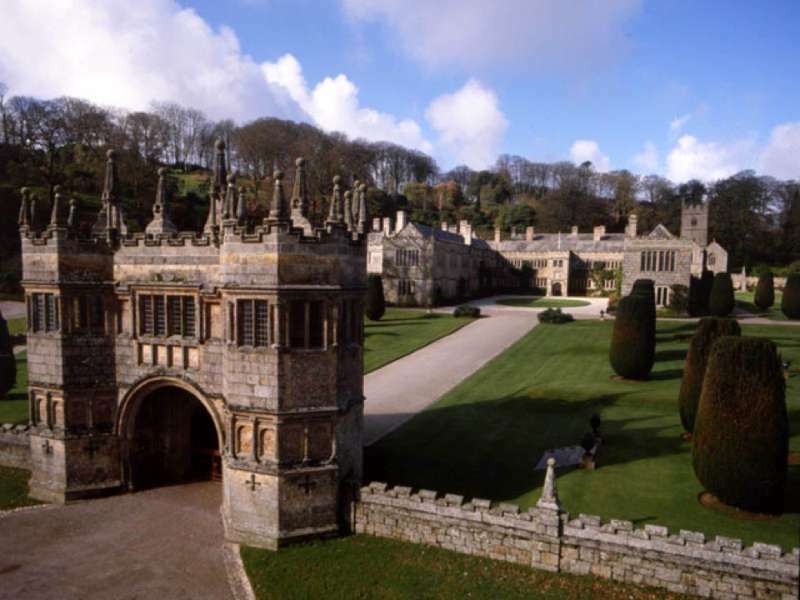 Tourism is Cornwall's biggest industry and, while in the summer it can somewhat overwhelm the charm of smaller villages, it is merely testament to the numerous attractions on this picturesque peninsula. 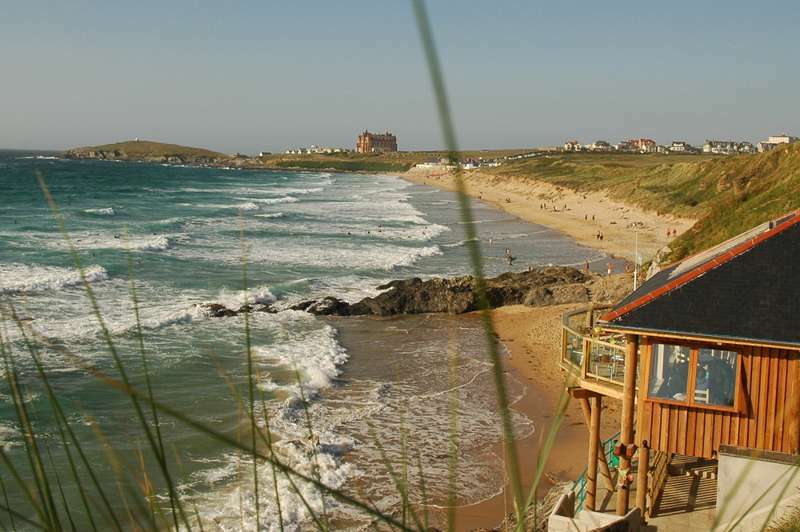 For most, of course, the coastline is the destination, the county proud to call itself the chief surfing centre of the UK. 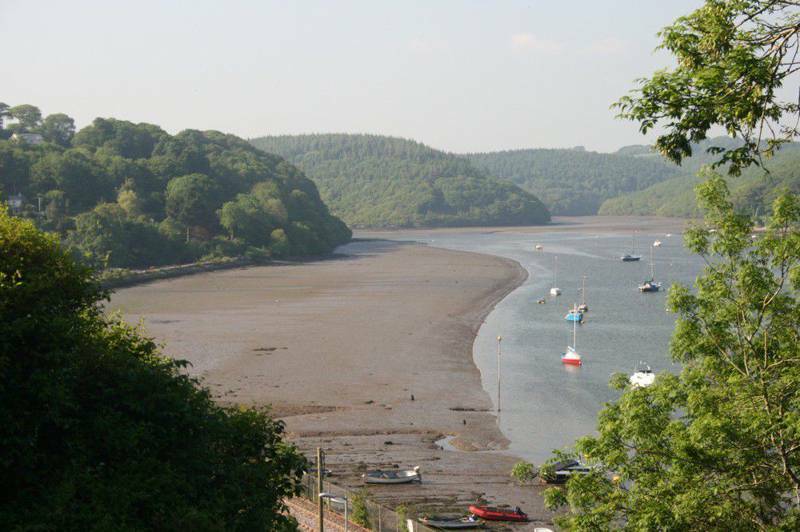 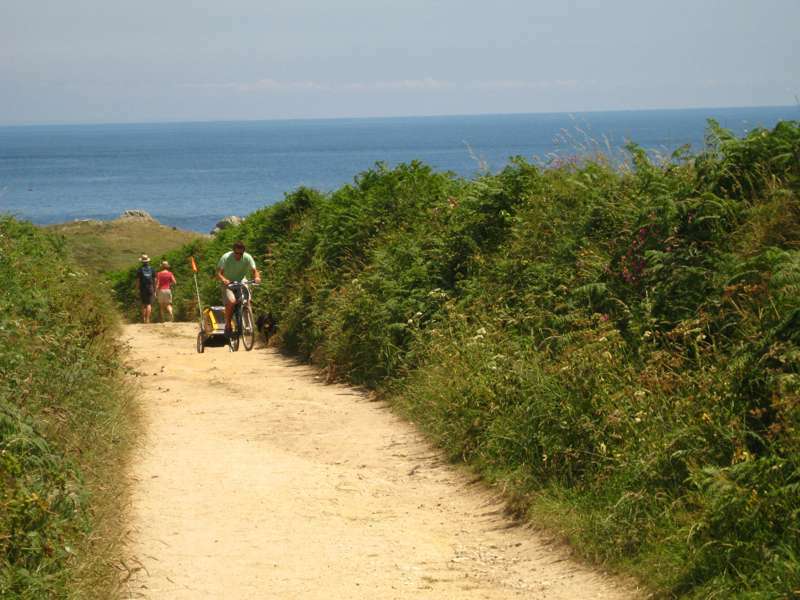 The best way to reach the quietest spots is along the South West Coast Path that takes in the truly jaw dropping scenery of cliffs, moorland and beaches. 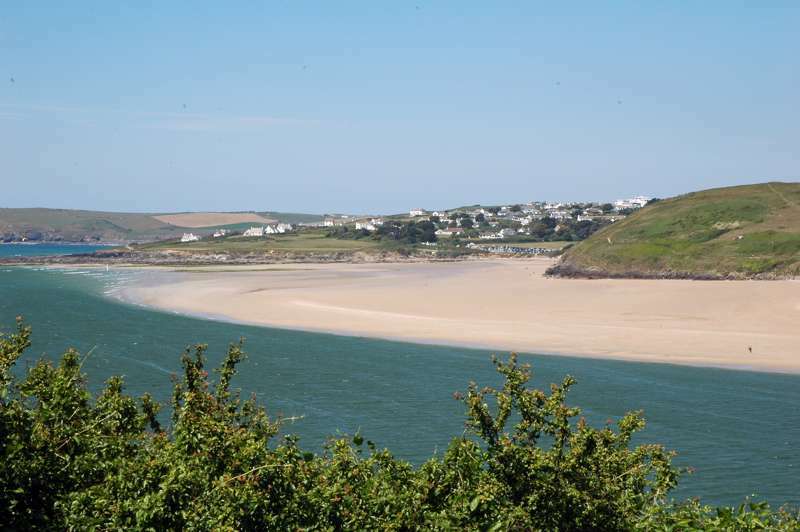 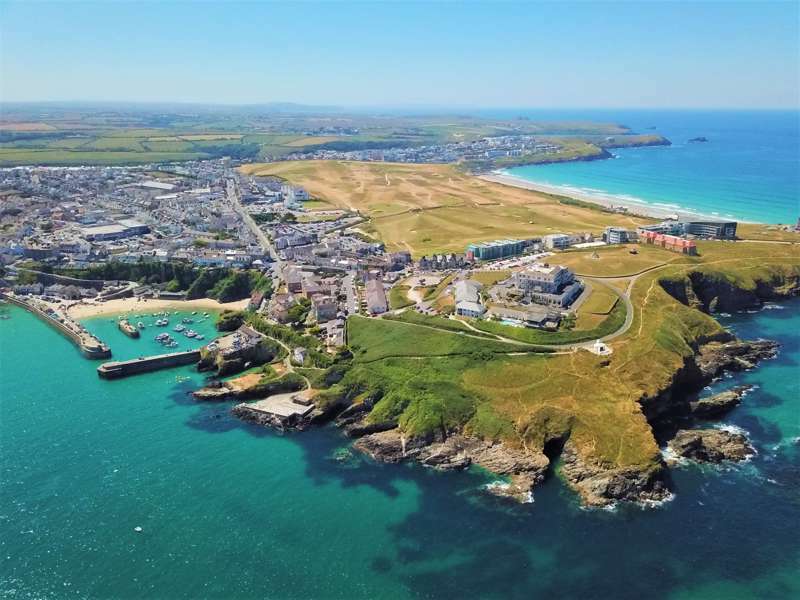 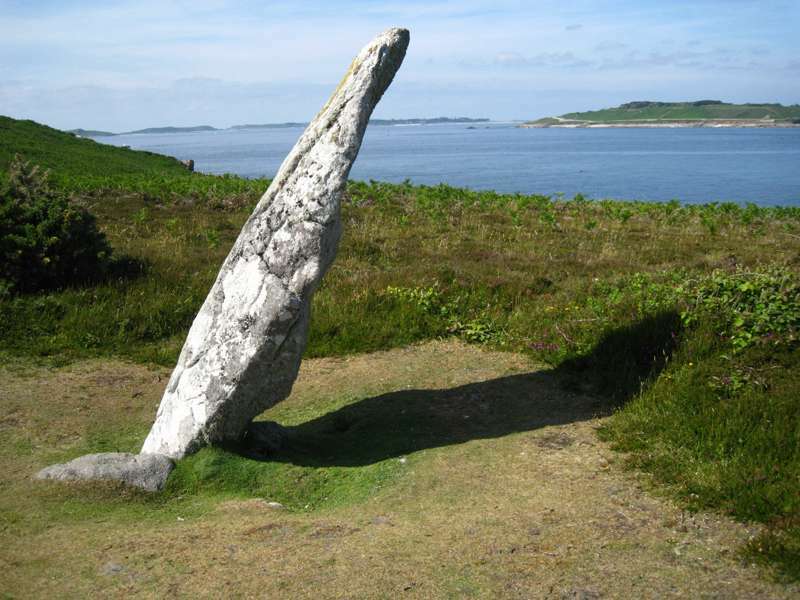 Beyond this famous coastline is a mix of towns and villages that host sites of interest, ranging from the National Maritime Museum and the Tate St. Ives to the Newquay Zoo and the high-profile Eden Project. 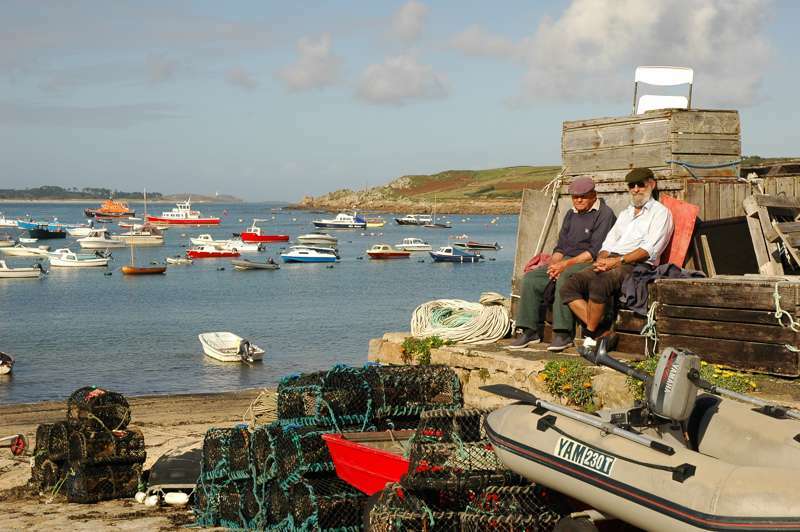 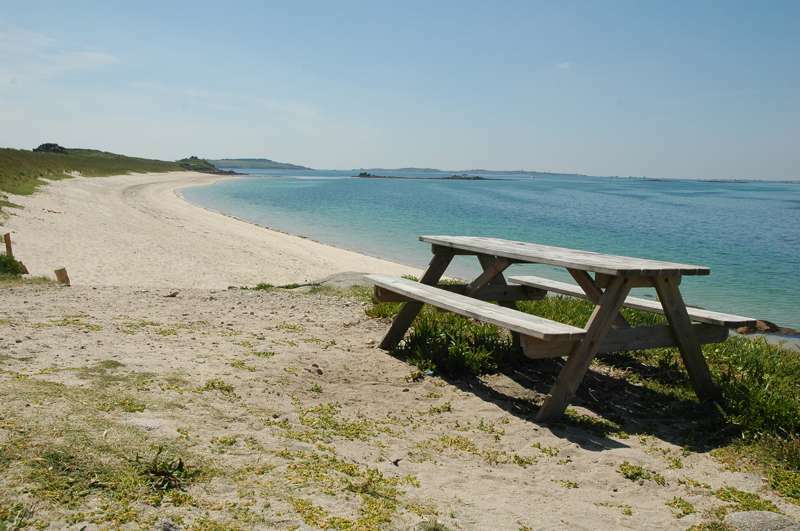 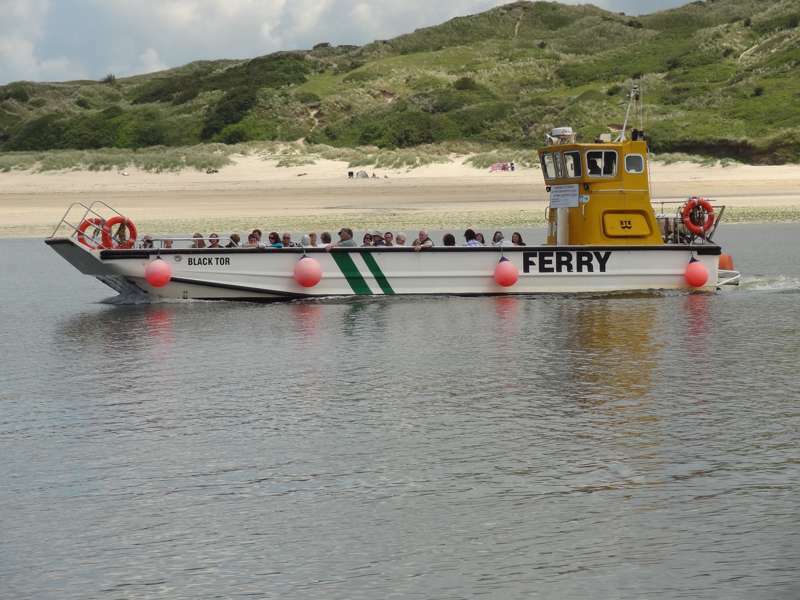 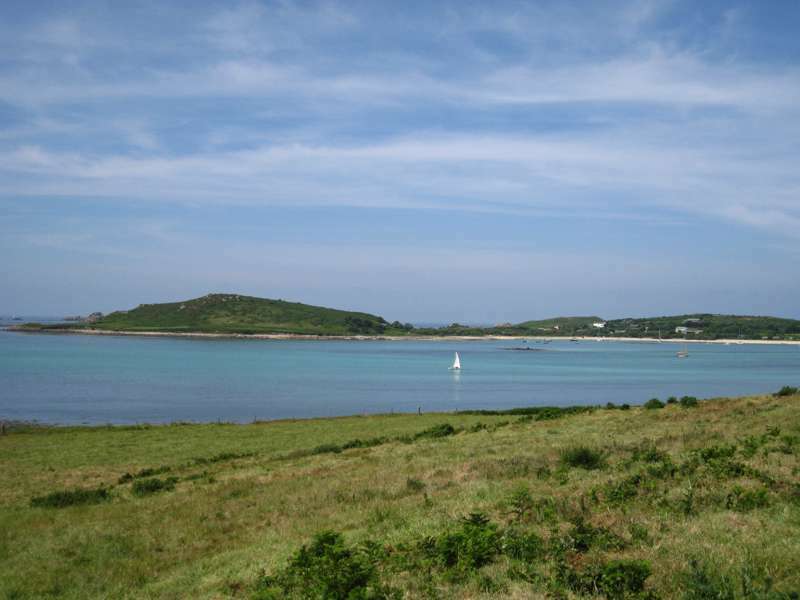 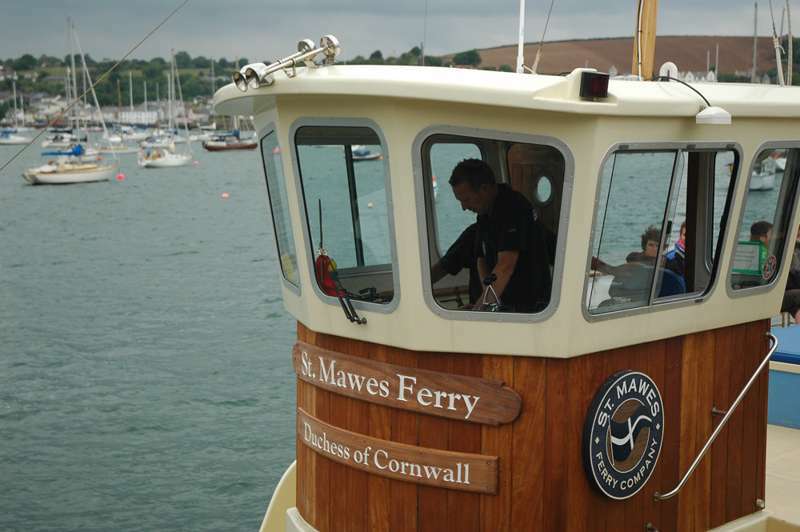 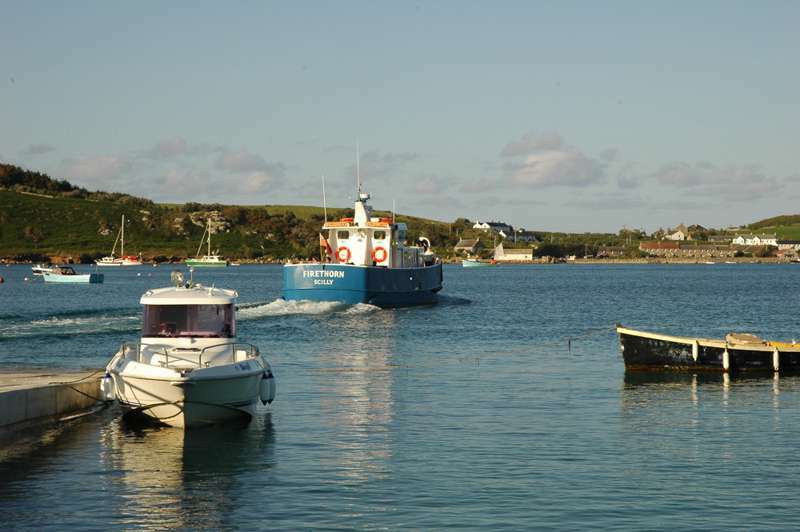 From Penzance you can also take a ferry out to the Isles of Scilly, a spectacular cluster of islands that offer the perfect getaway from the crowds. 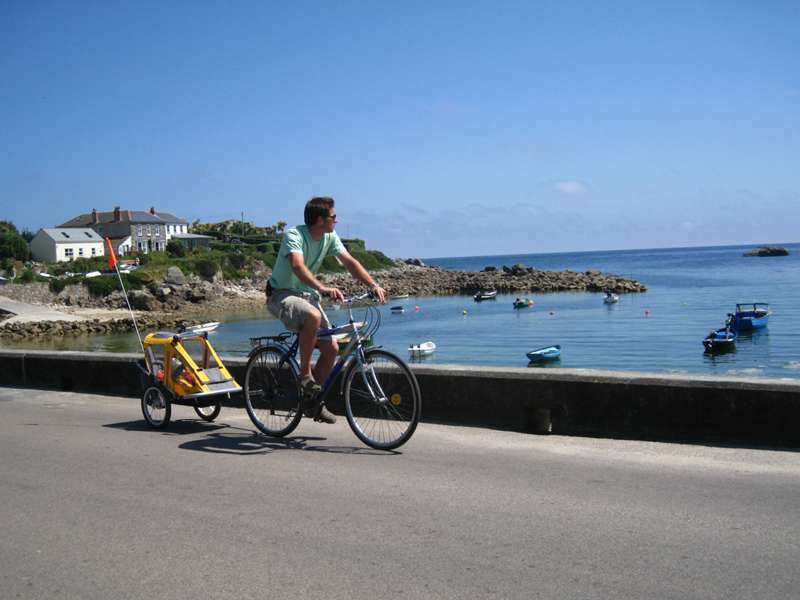 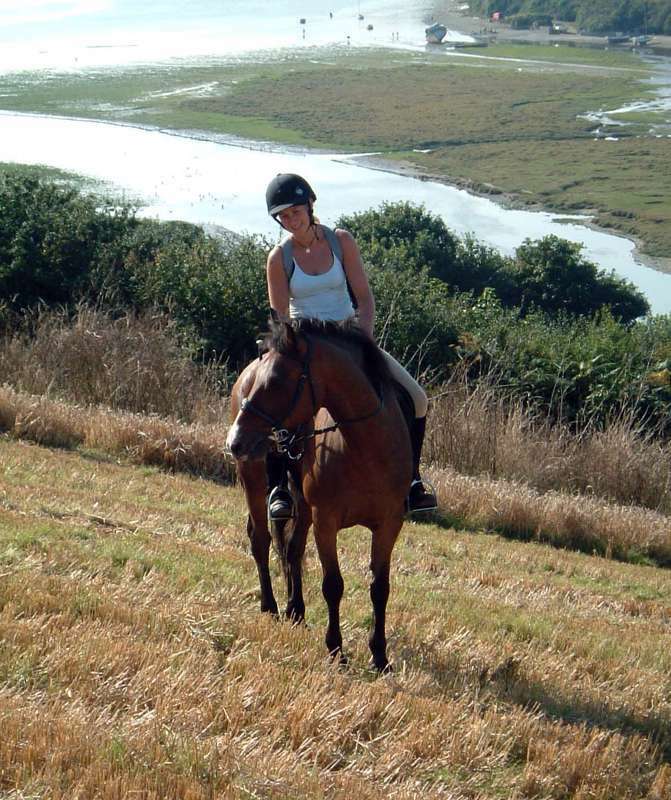 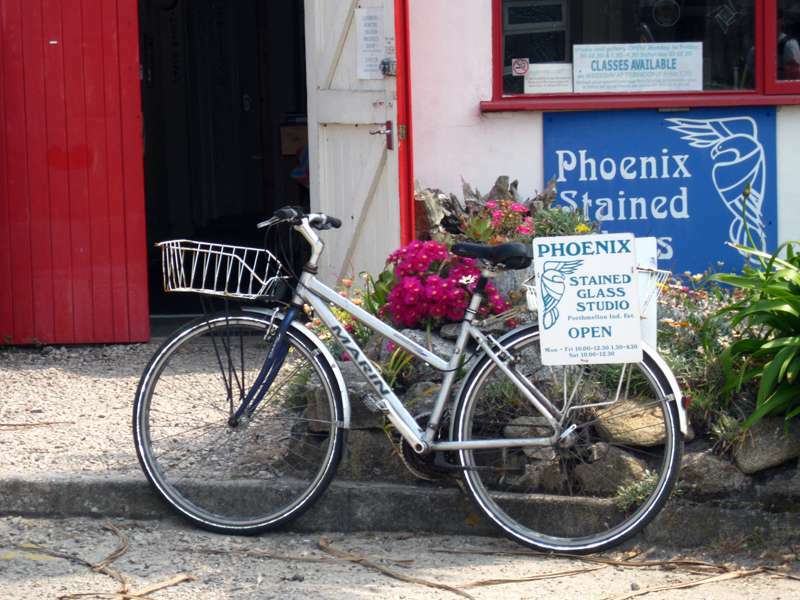 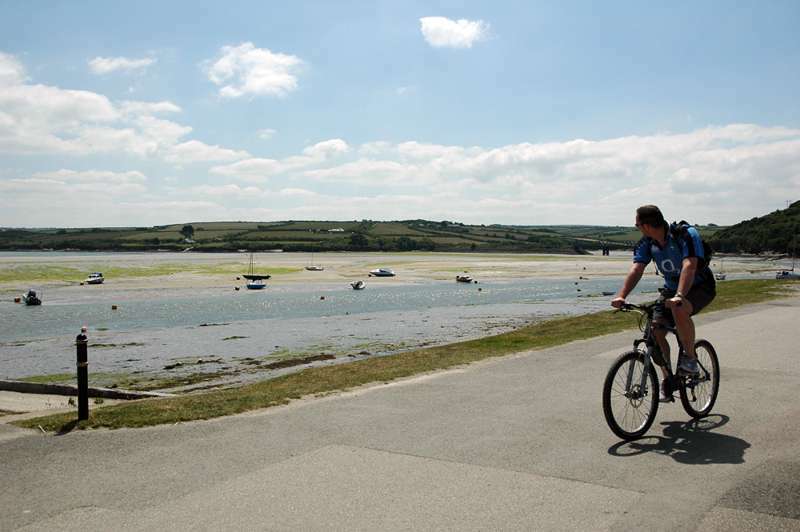 It’s the largest of the islands, so the best way to explore St Mary’s is by bike. 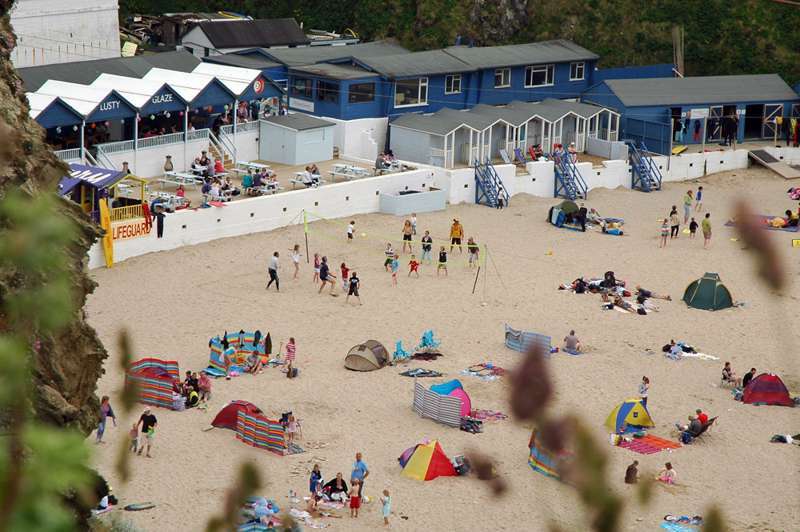 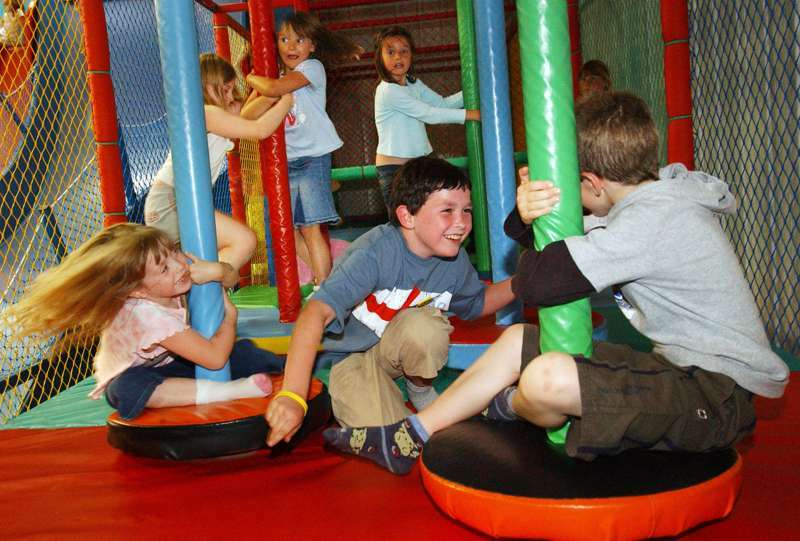 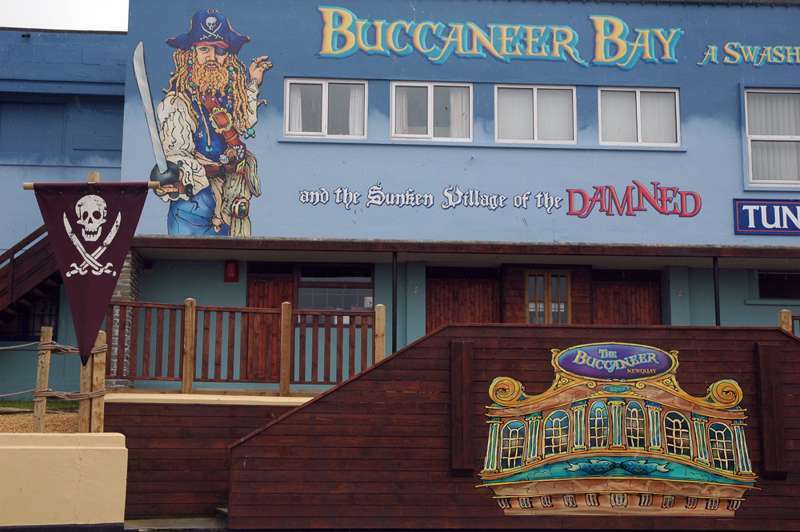 Areally cool beach-side activity centre in Newquay. 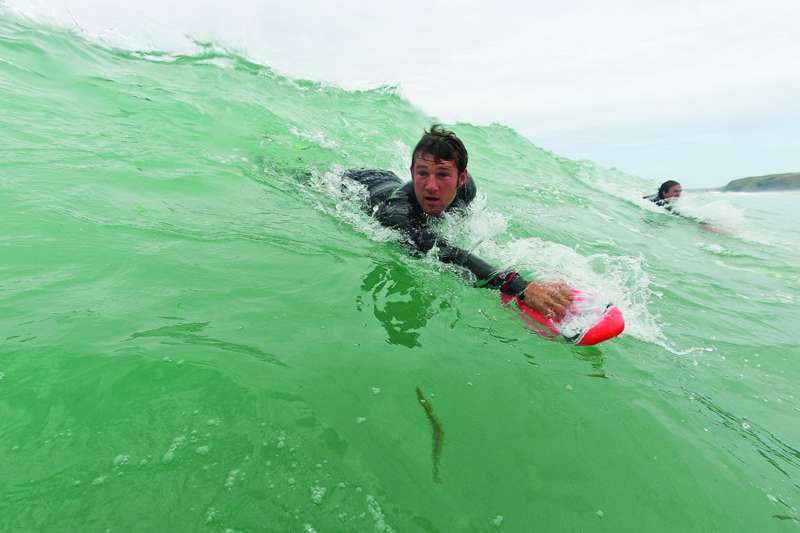 Turbo-charged body surfing, and an easy way to ride the waves without having to master surfing. 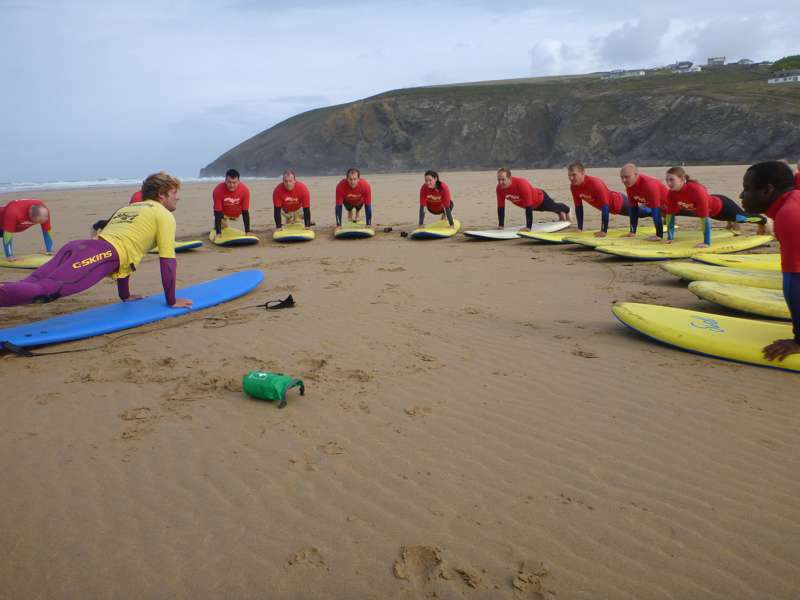 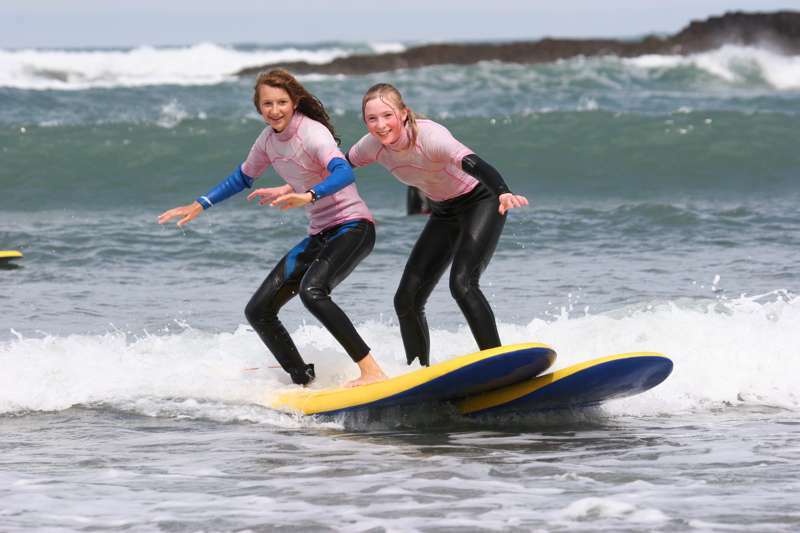 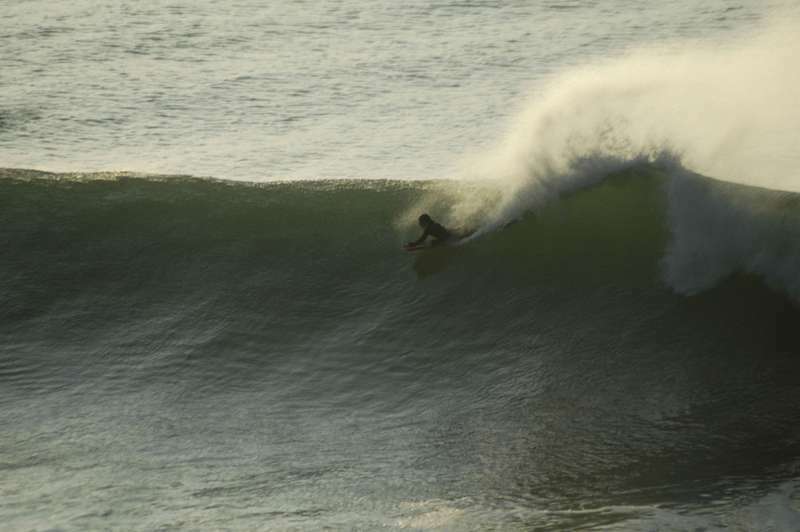 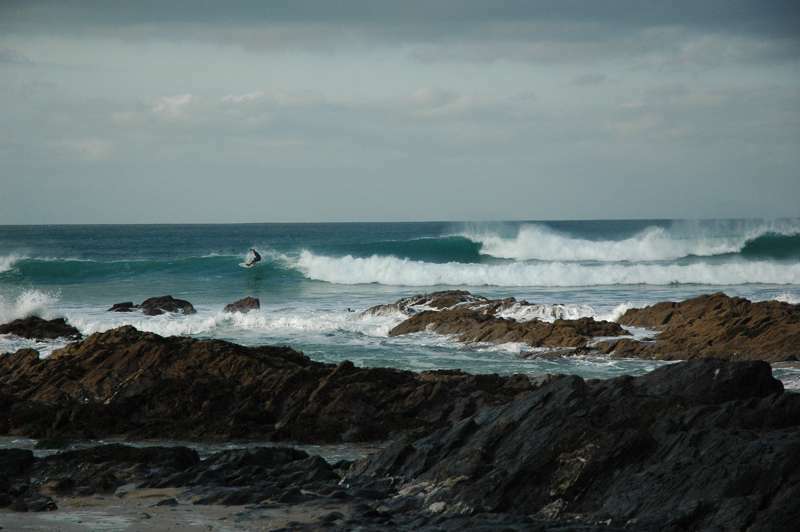 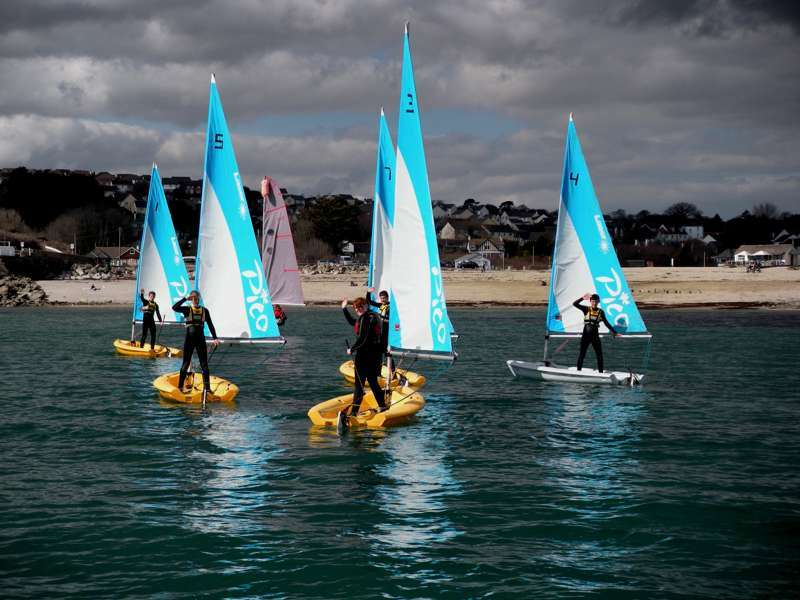 Learn to be king of the waves at one of Cornwall's most popular surf schools. 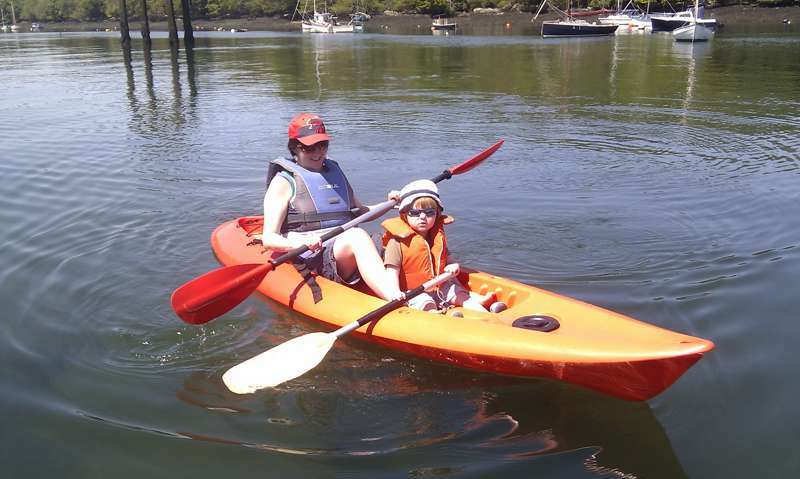 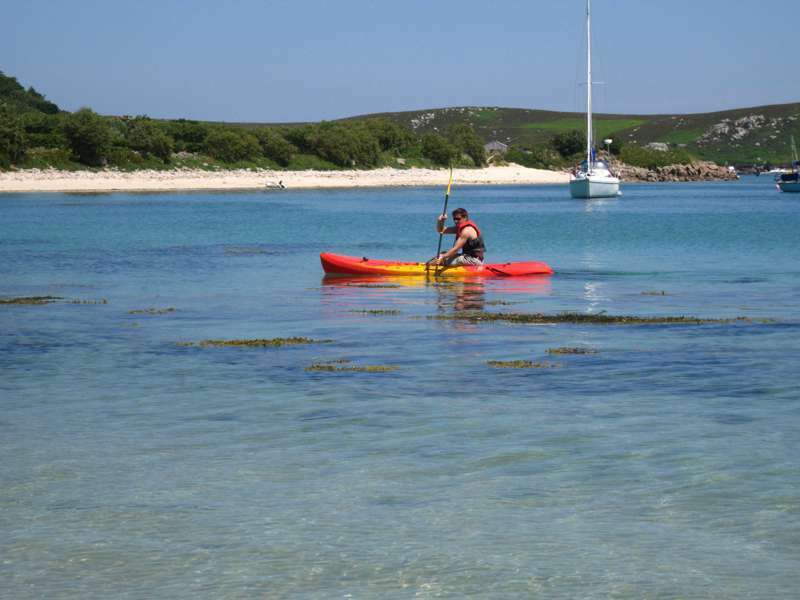 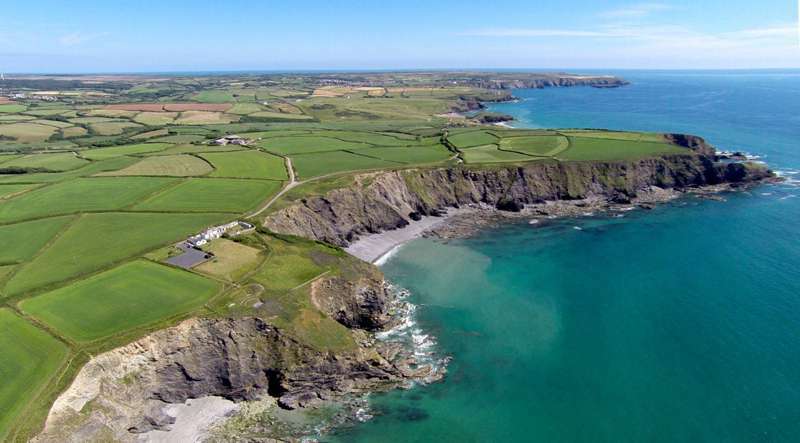 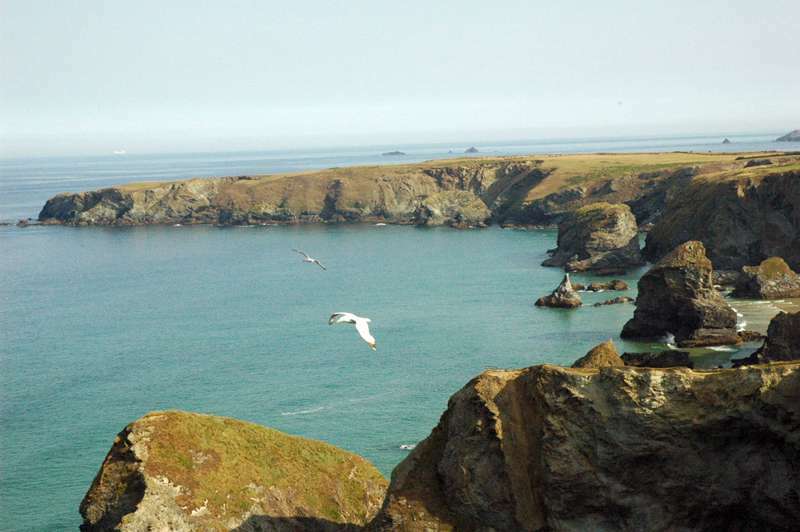 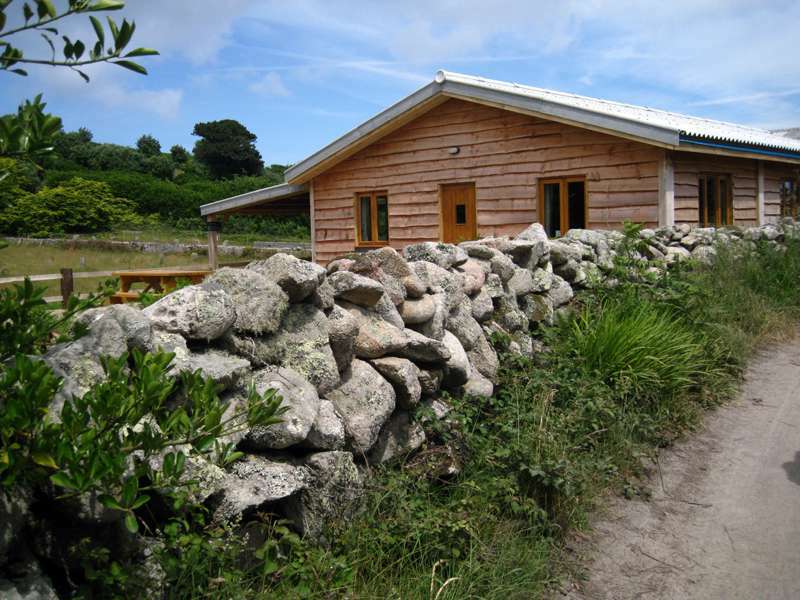 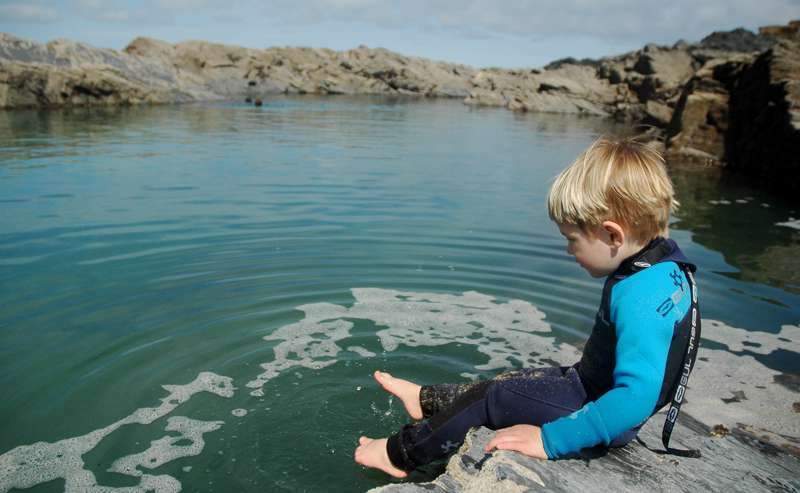 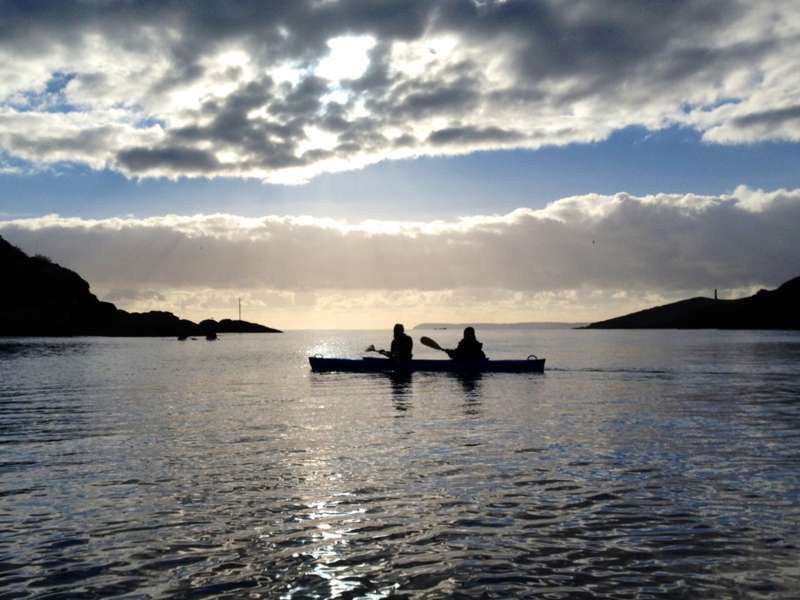 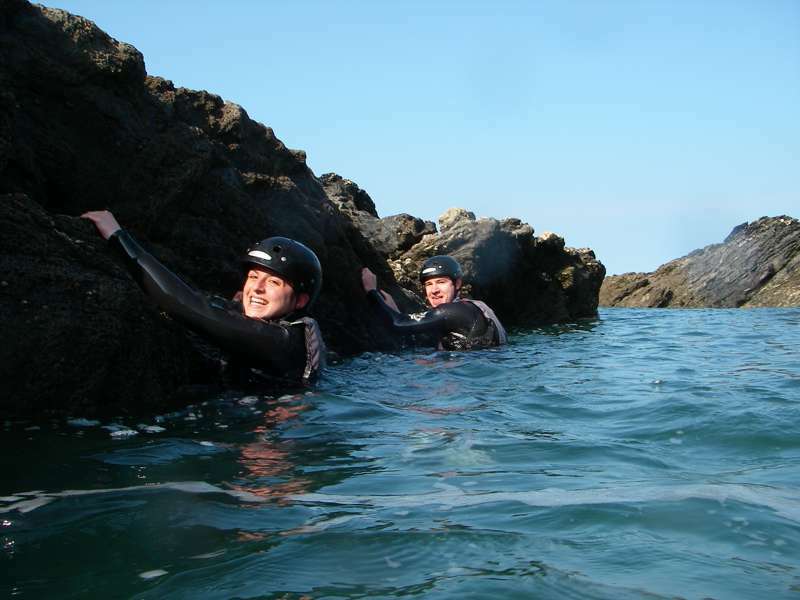 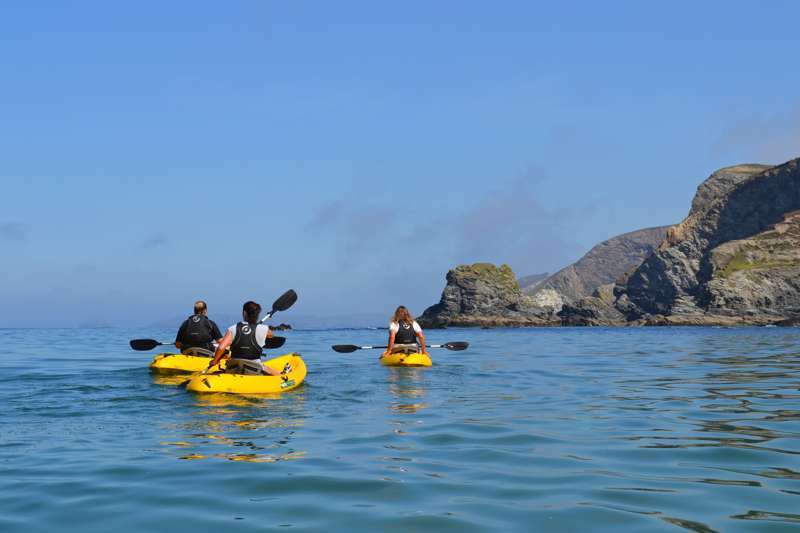 Coasteering, climbing, kayaking and much more, on the stunning Lizard Peninsula. 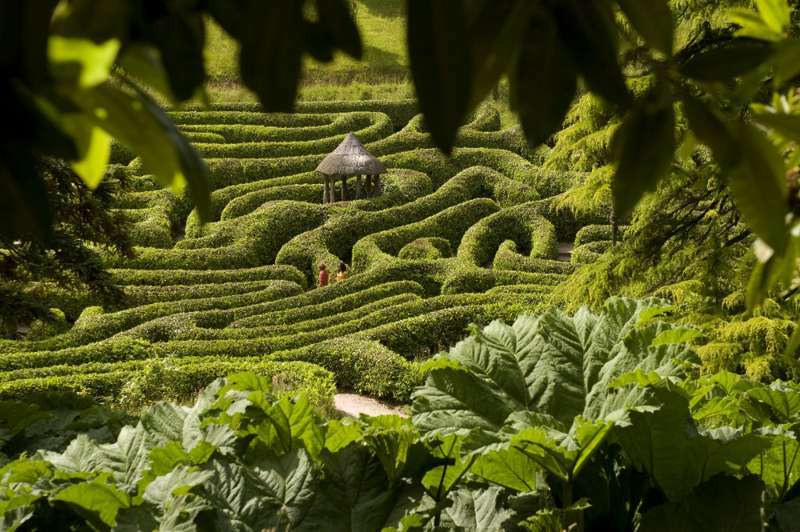 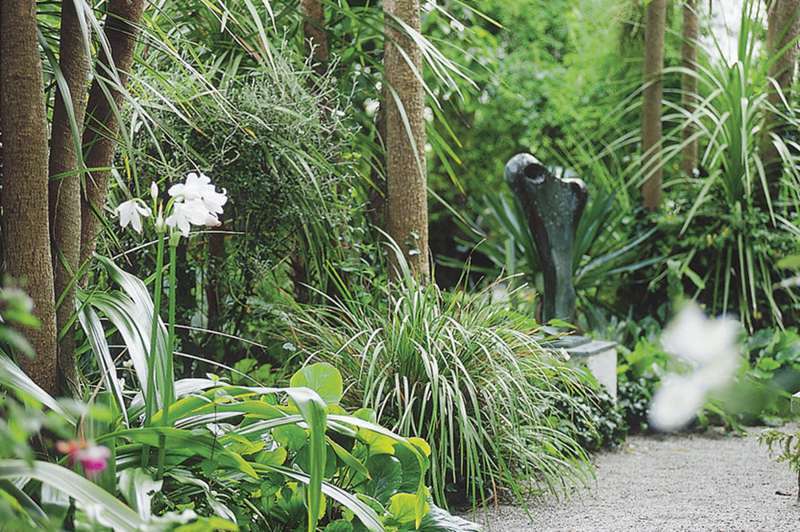 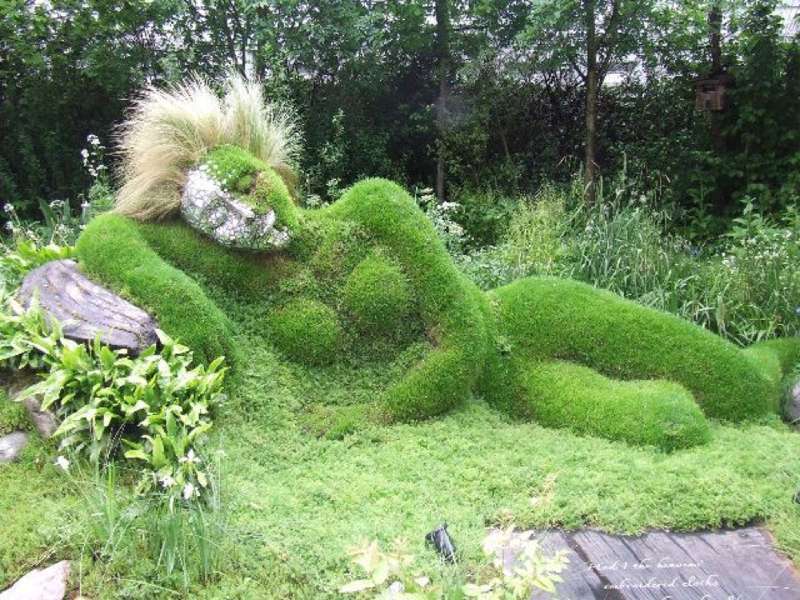 Re-discovered in the 1990s, these gardens have been painstakingly restored to their pre-war glory. 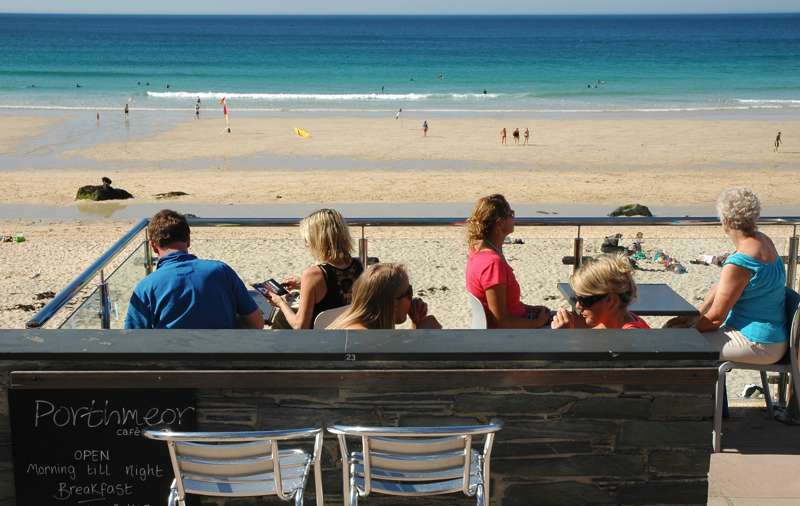 places to stay cornwall england hotels b&bs seaside beaches south west england at Cornwall, The best places to stay in Cornwall – expertly chosen by Cool Places – ranging from boutique B&Bs and classic country inns (that also happen to be foodie gems), to budget-friendly hostels, luxury hotels and self-catering cottages.